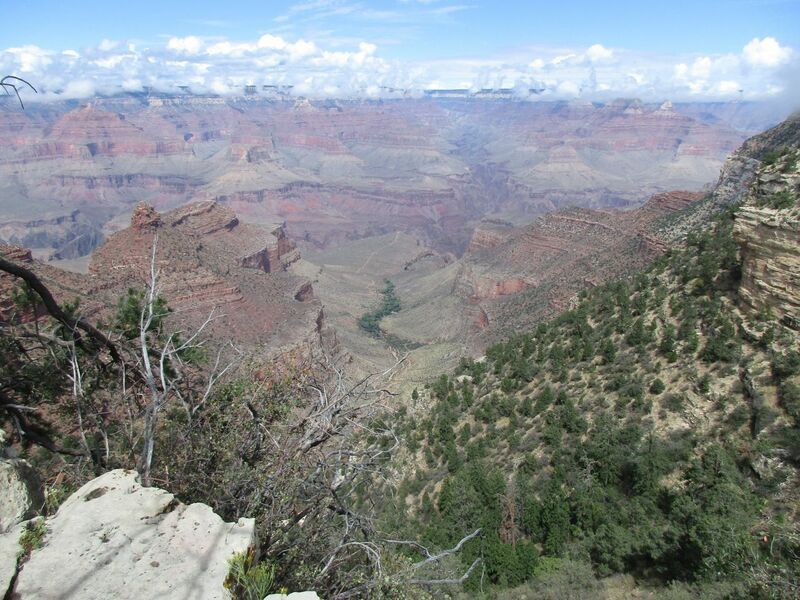 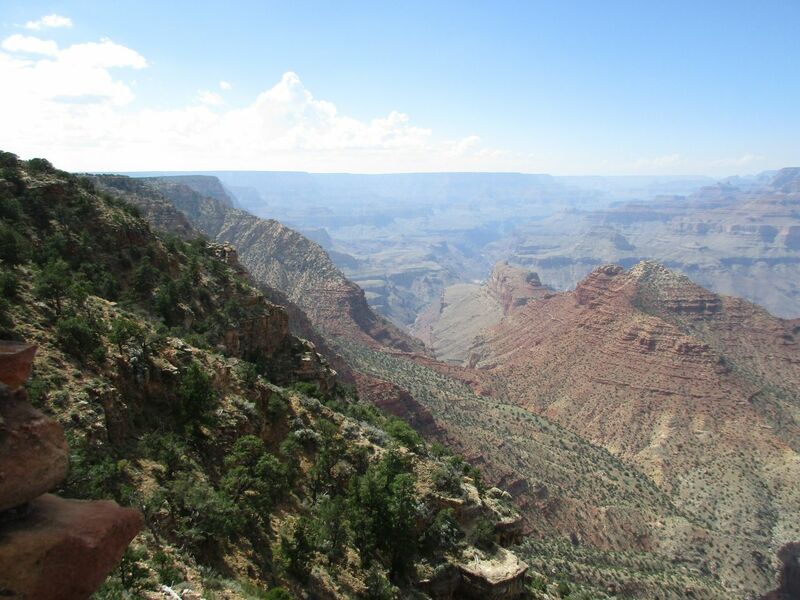 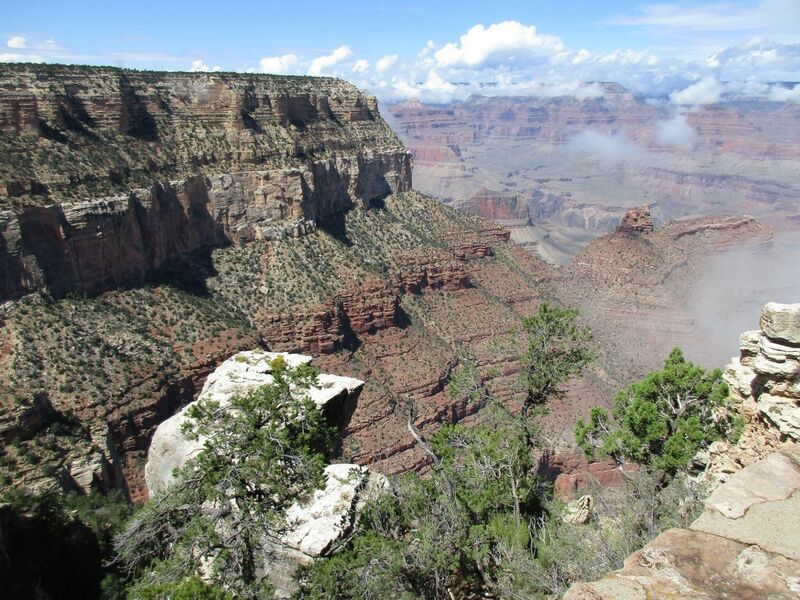 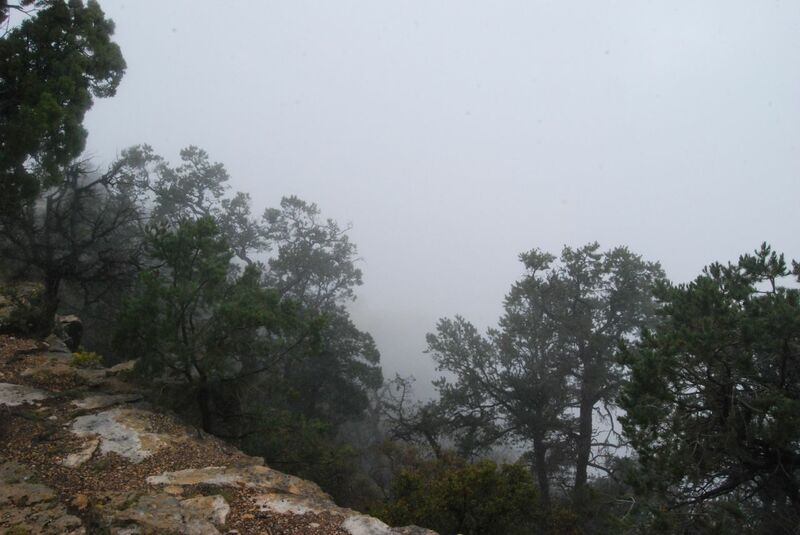 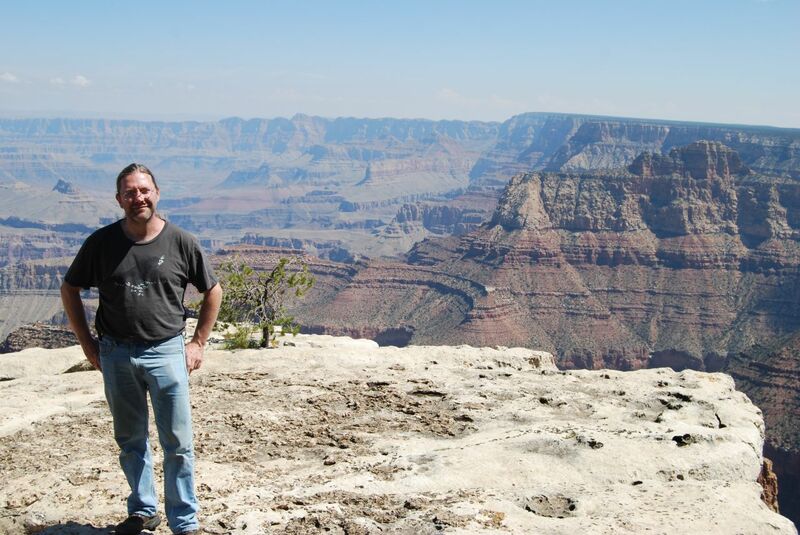 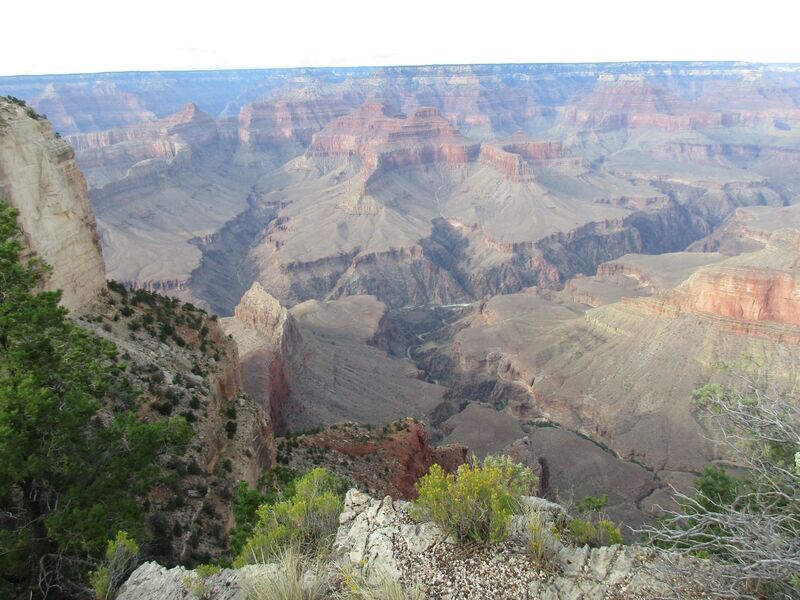 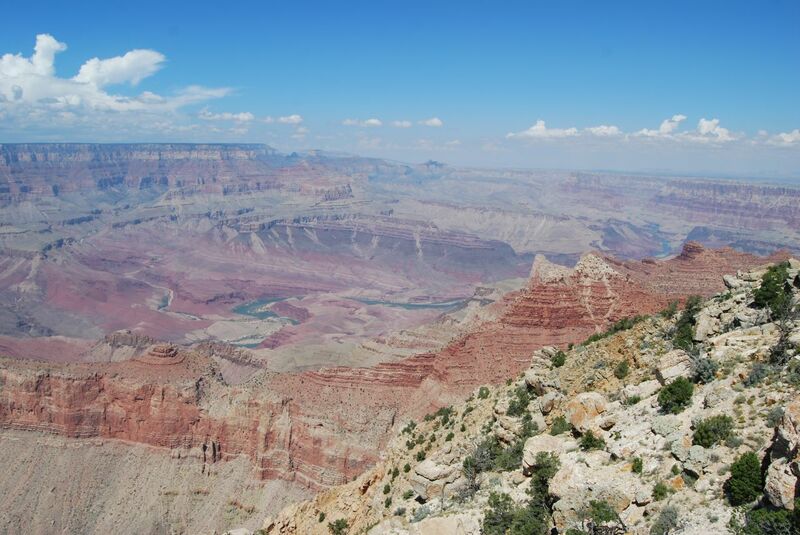 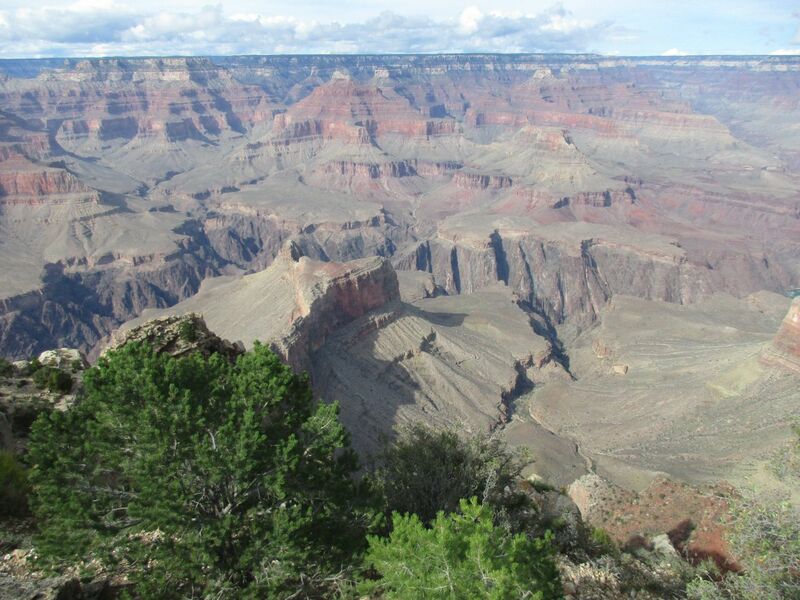 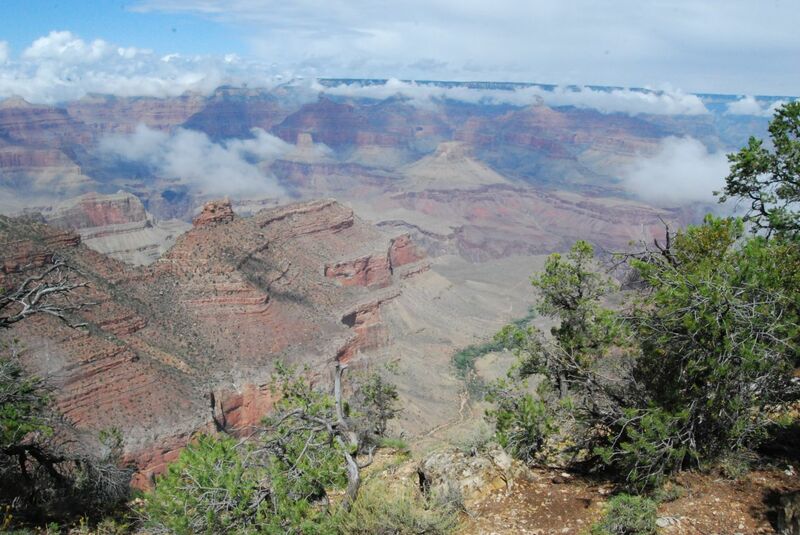 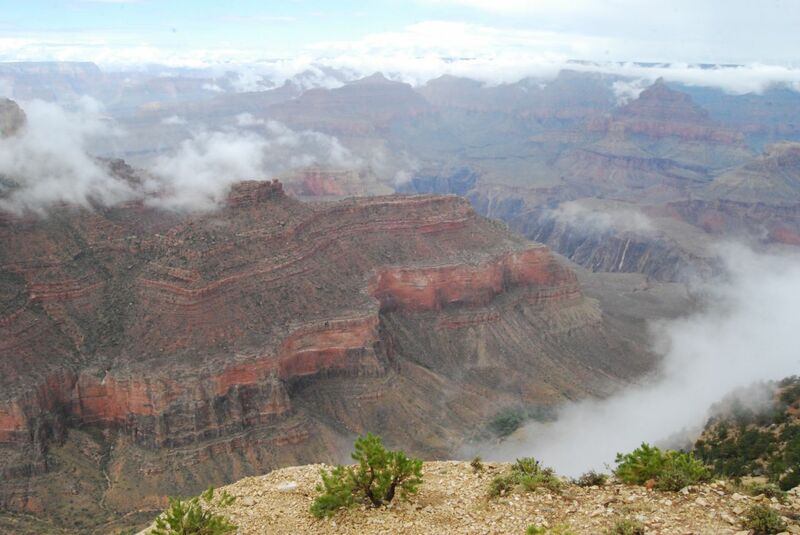 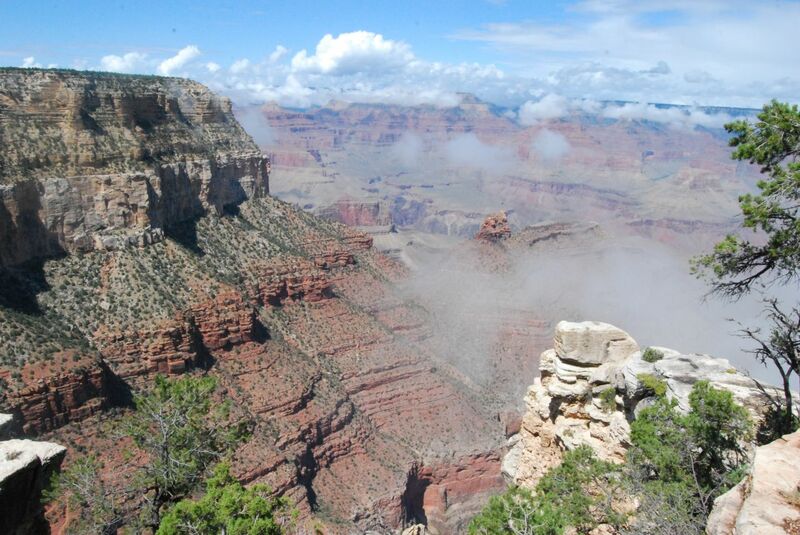 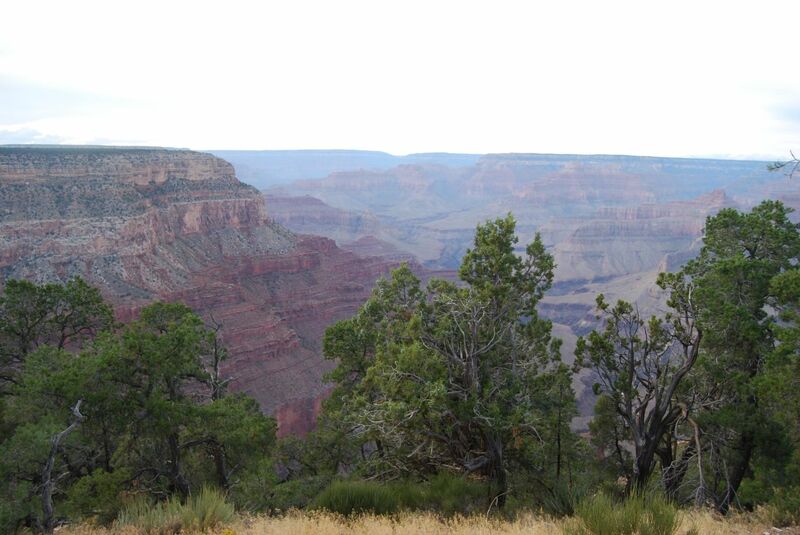 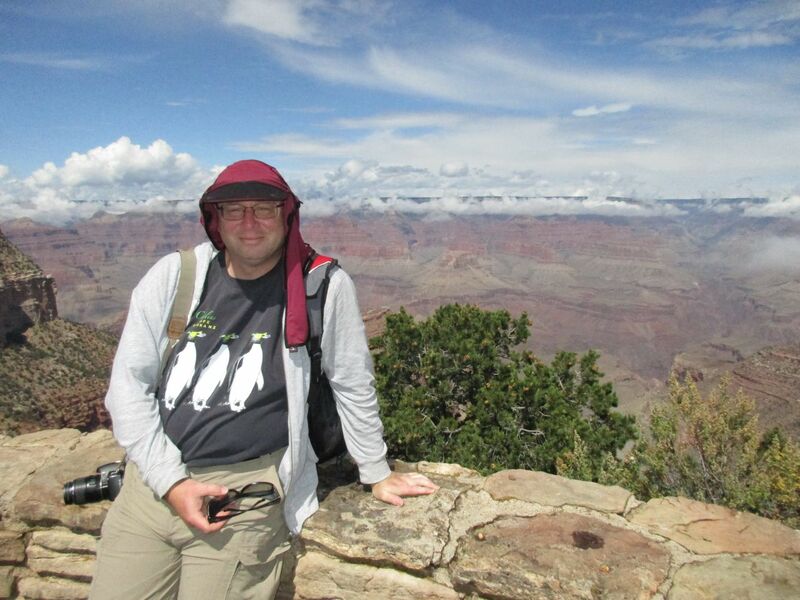 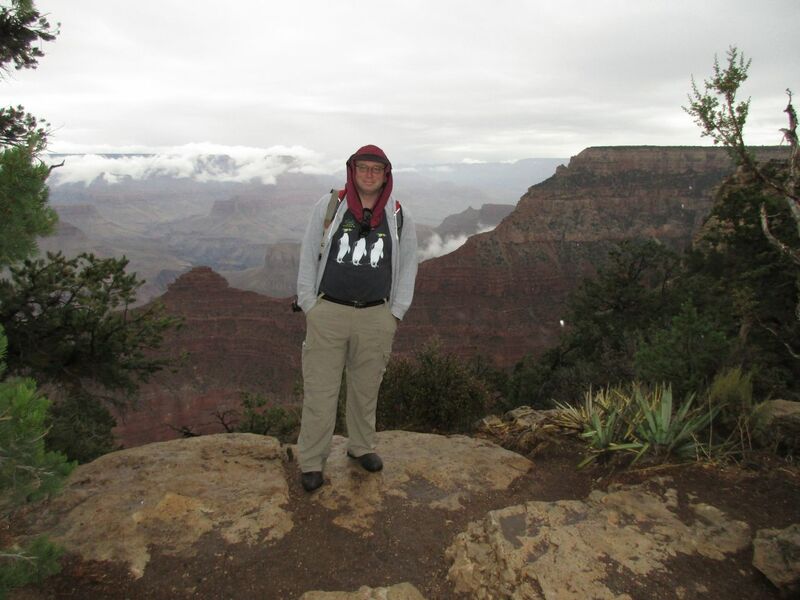 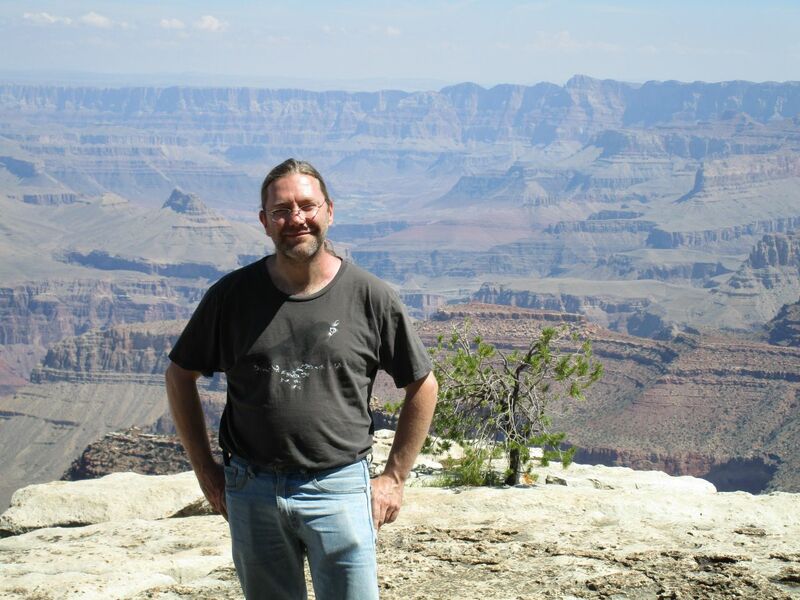 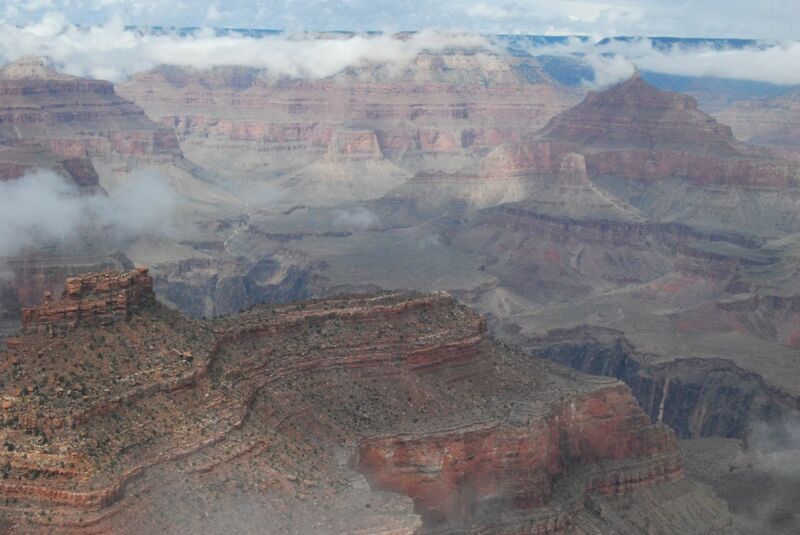 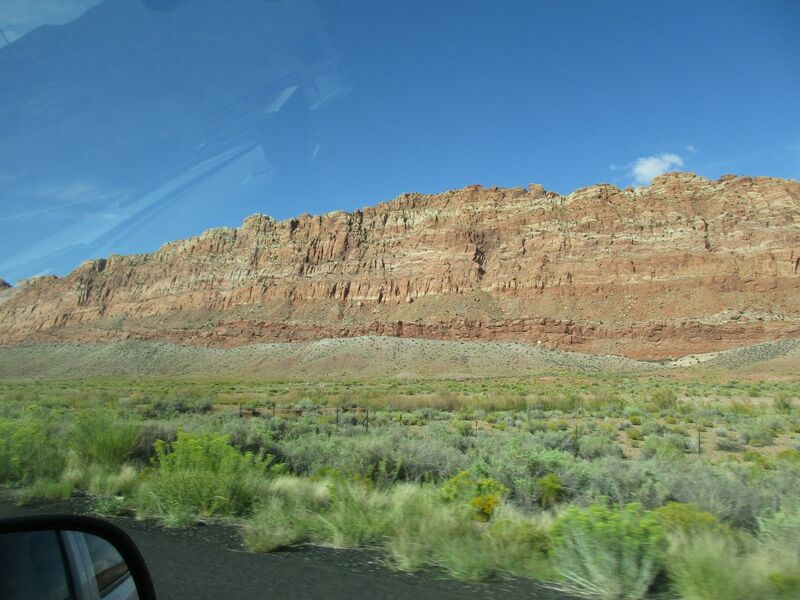 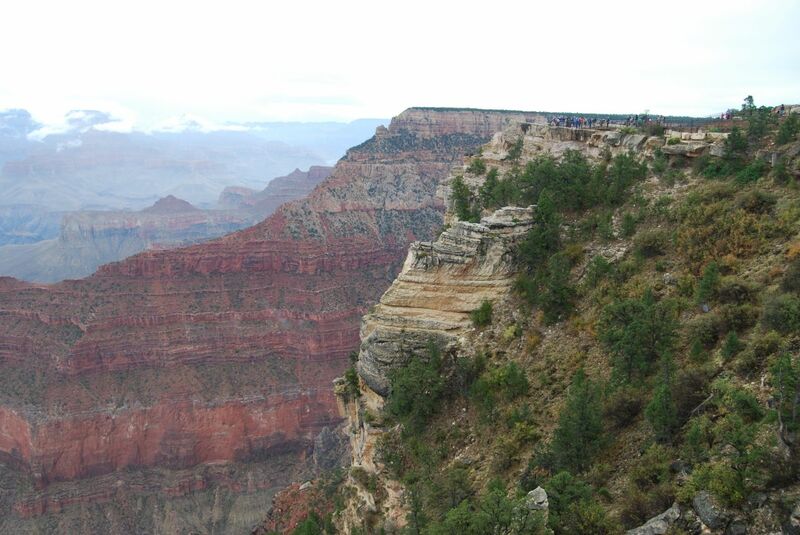 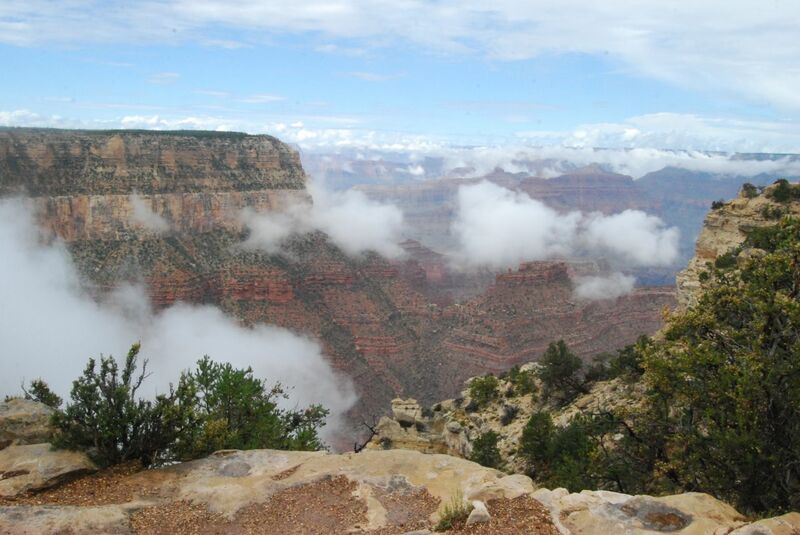 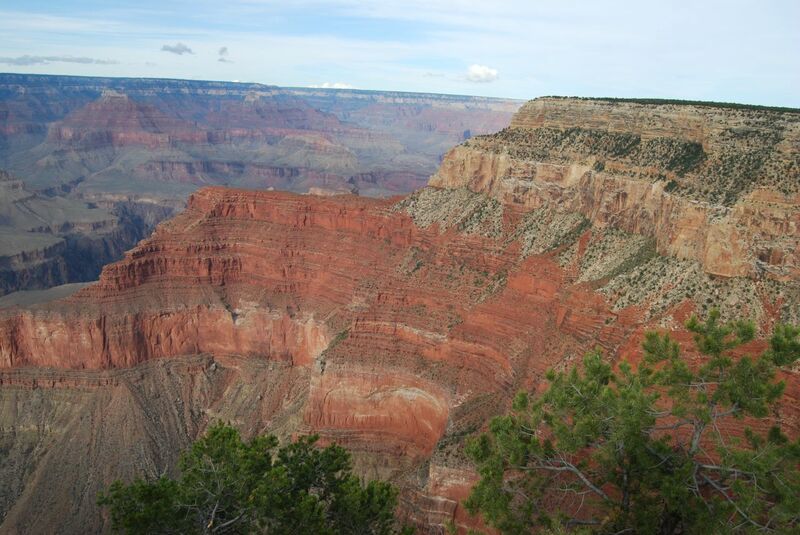 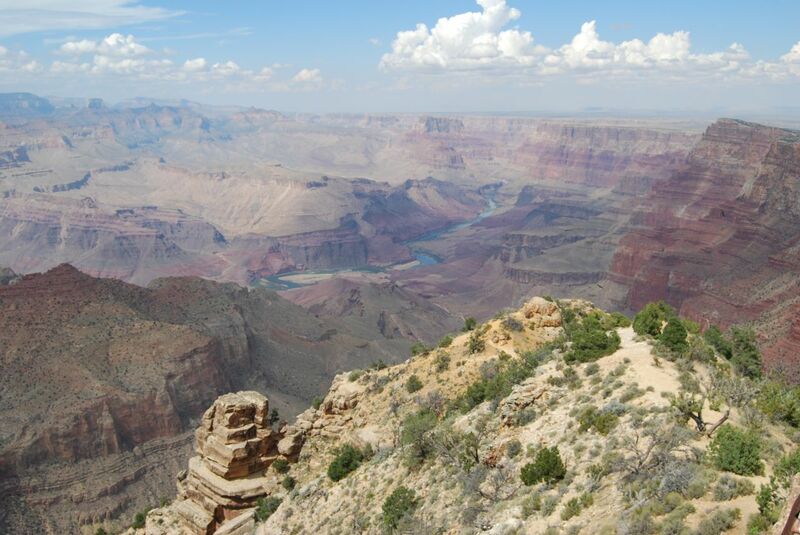 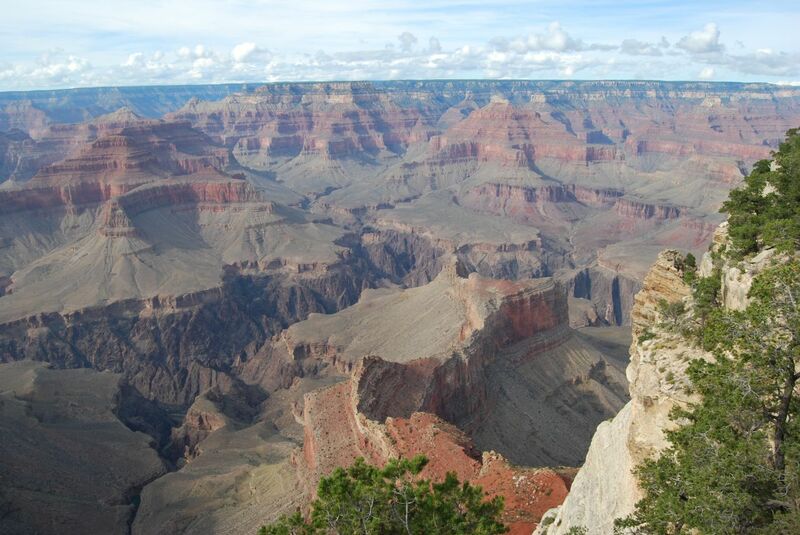 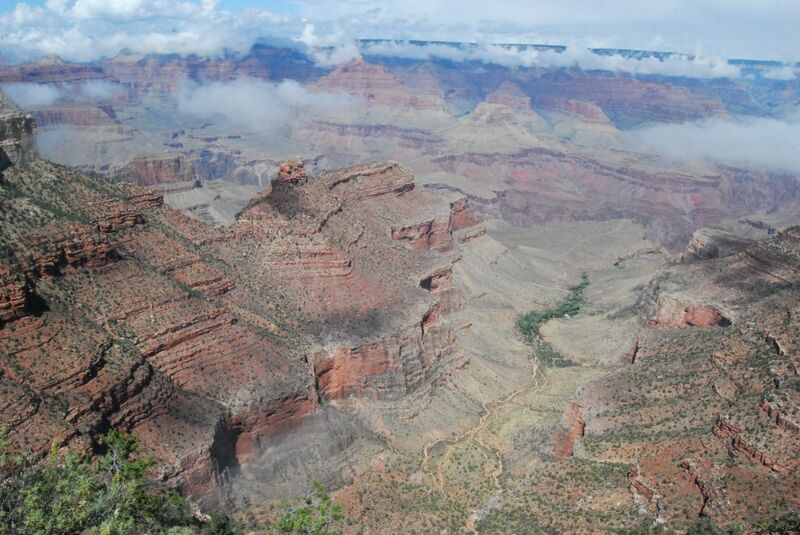 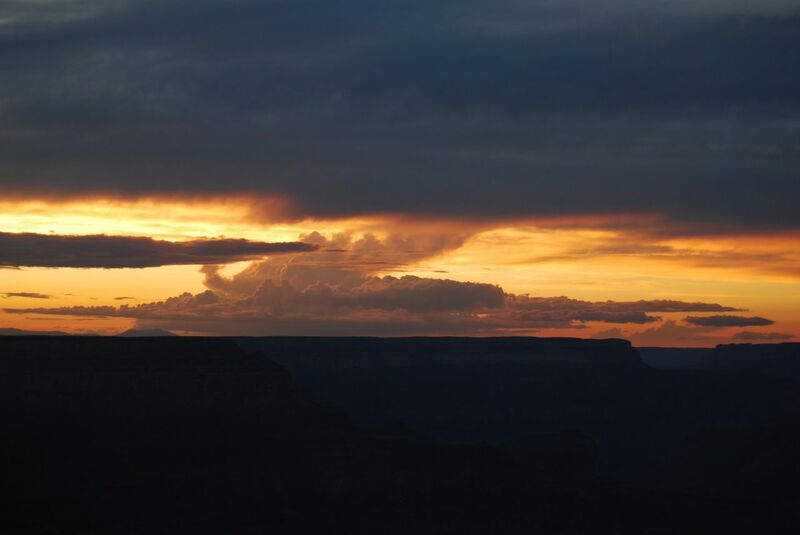 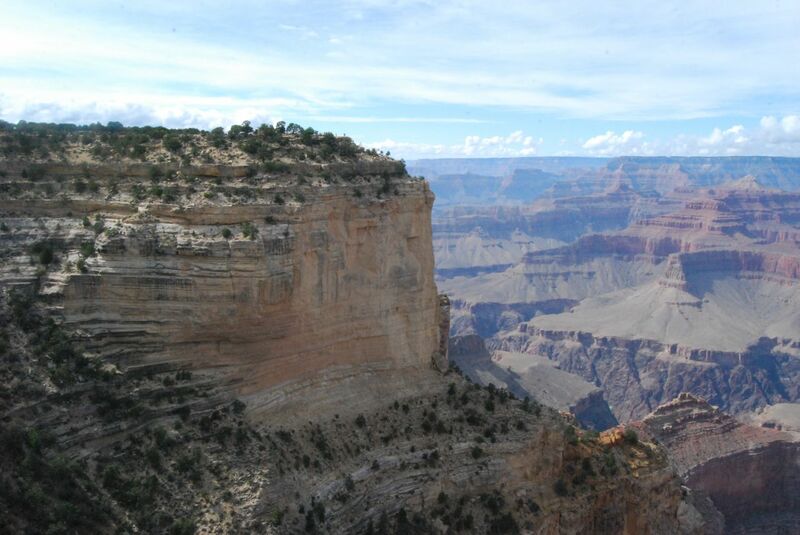 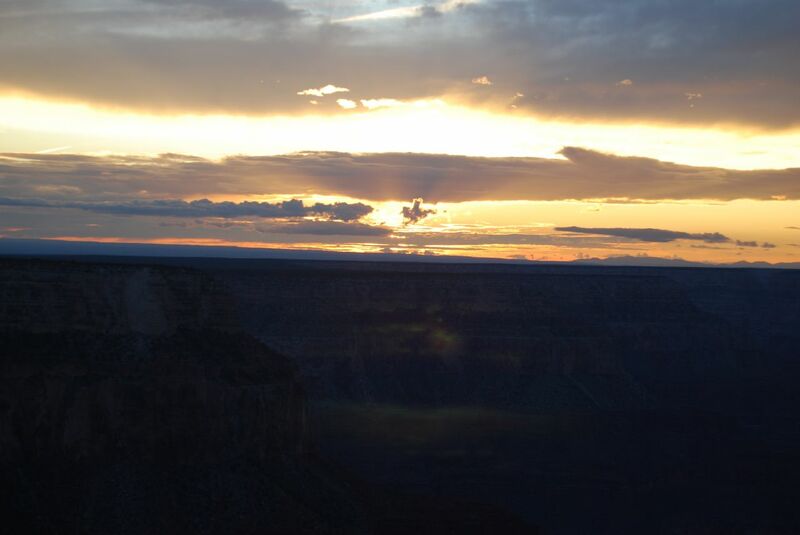 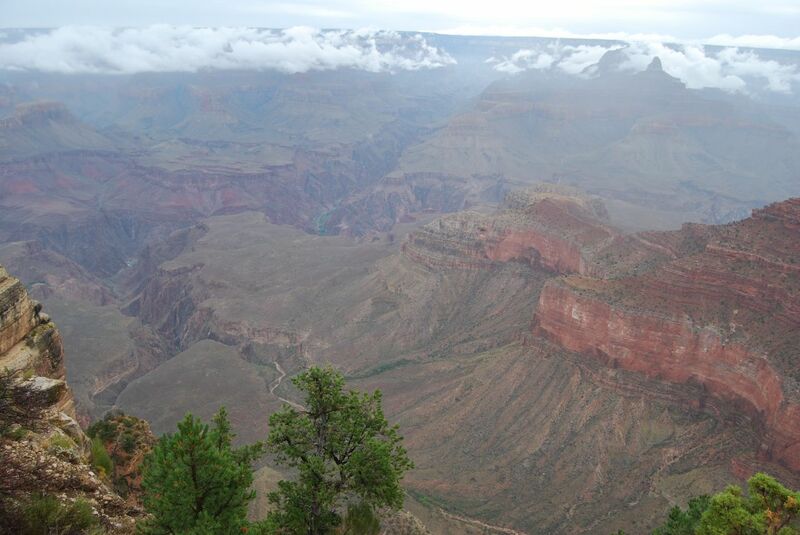 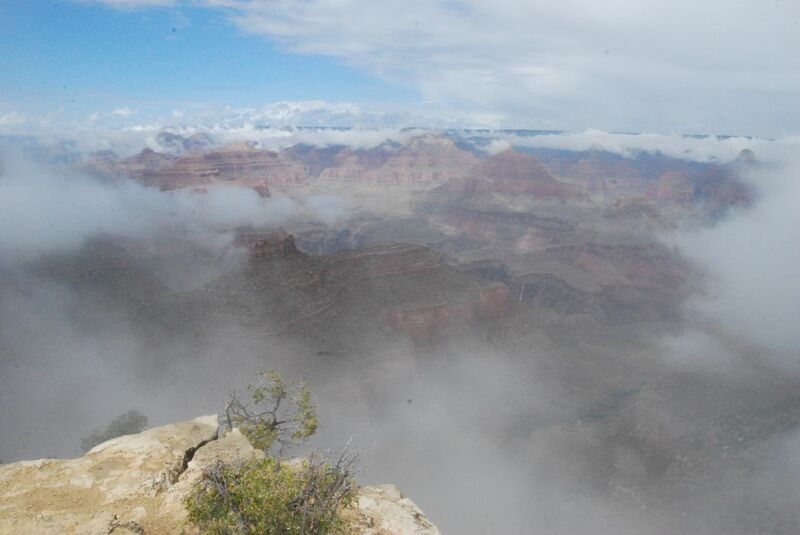 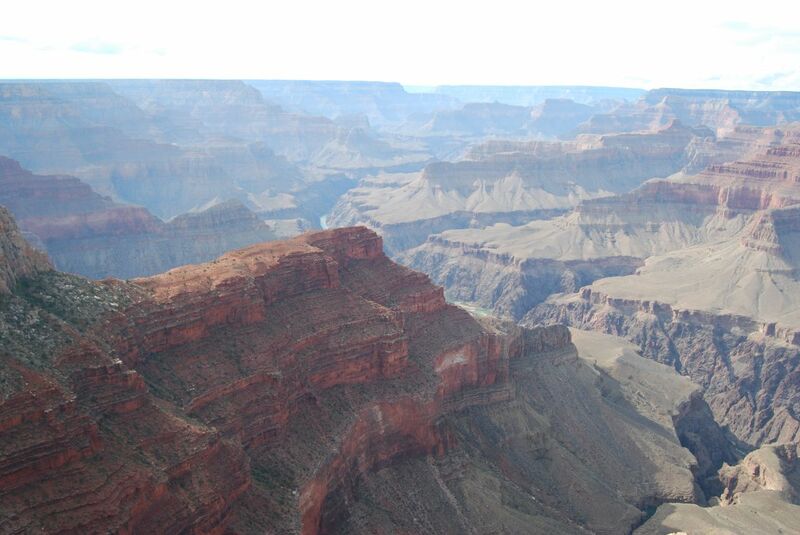 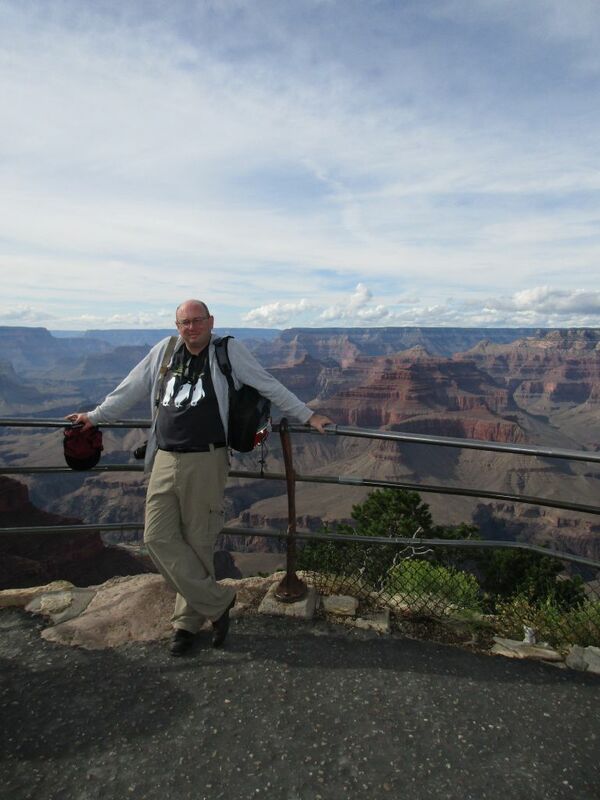 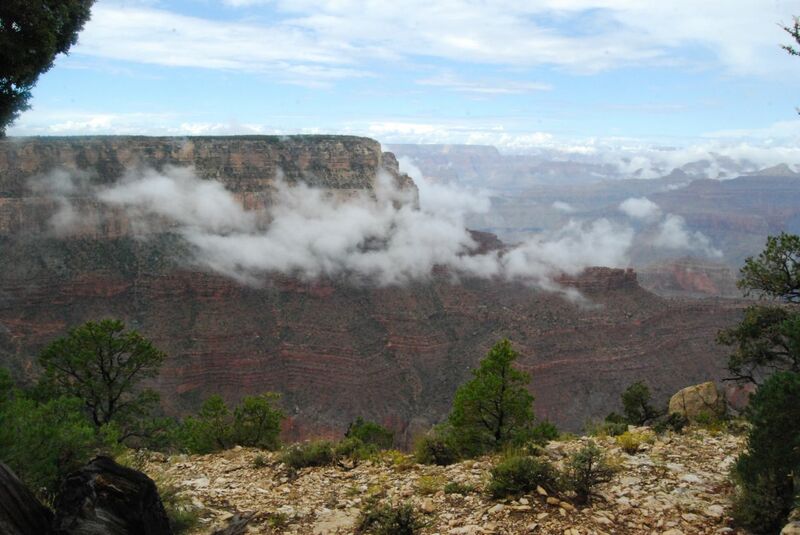 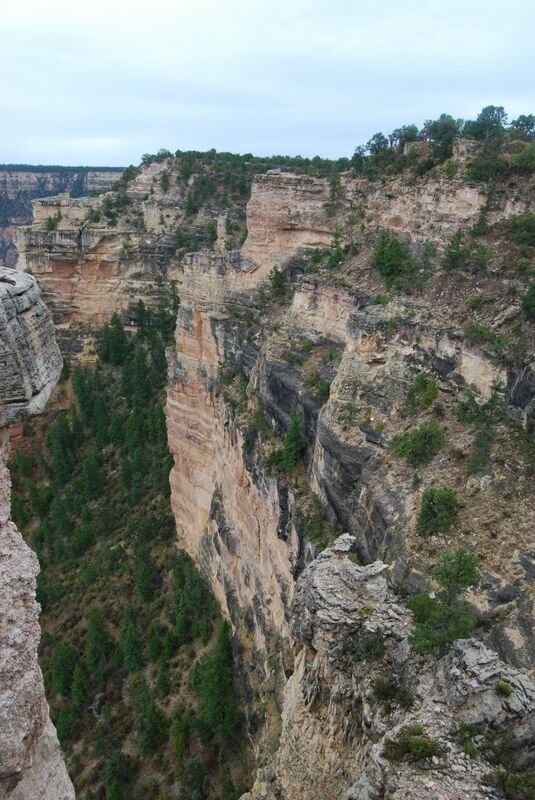 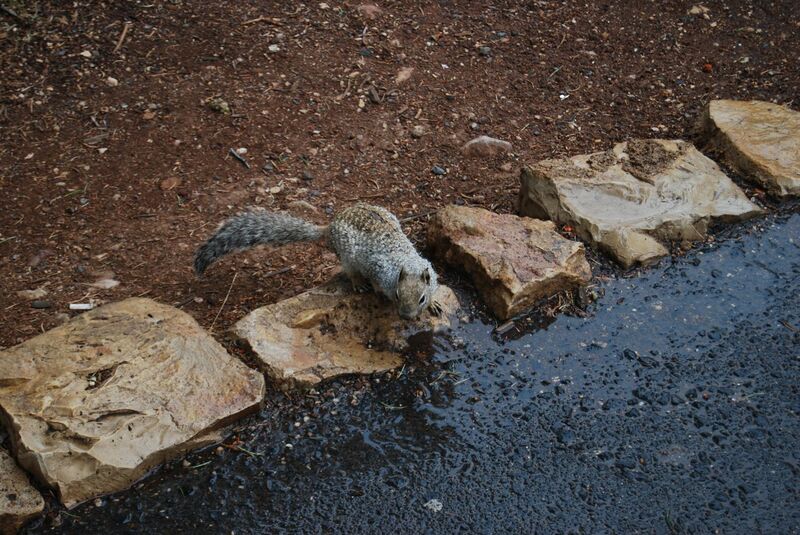 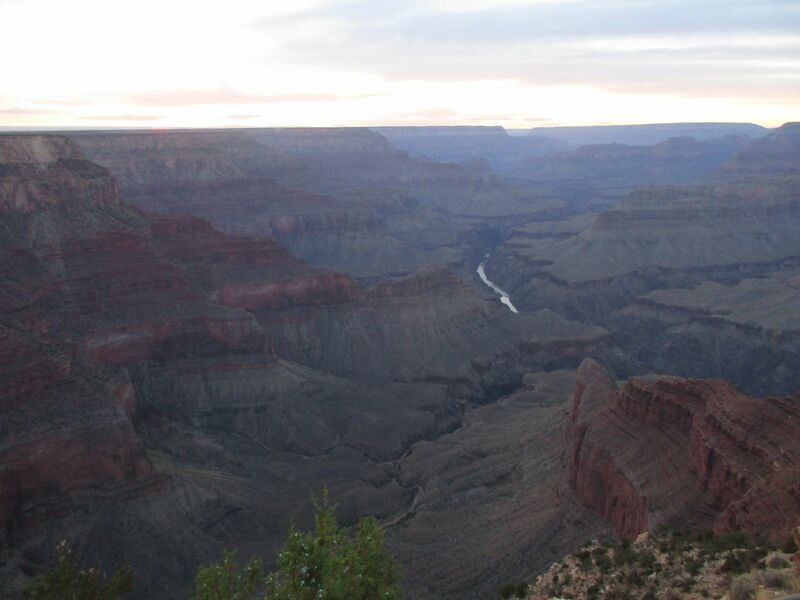 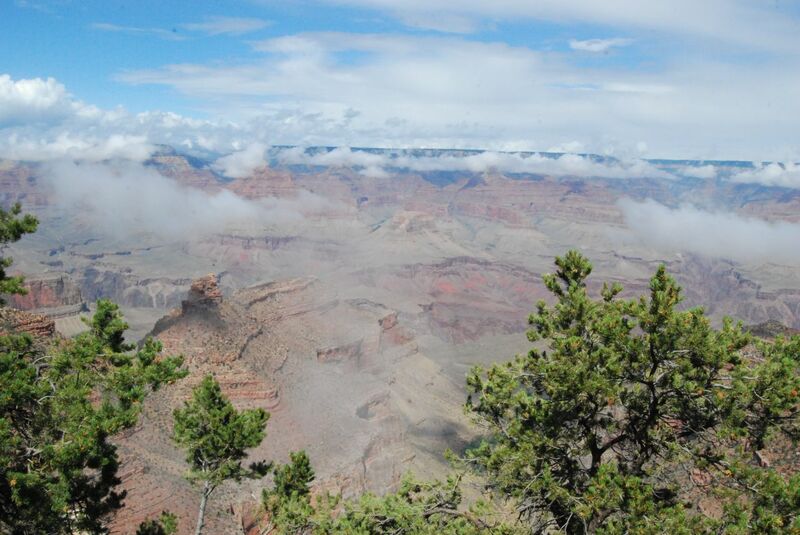 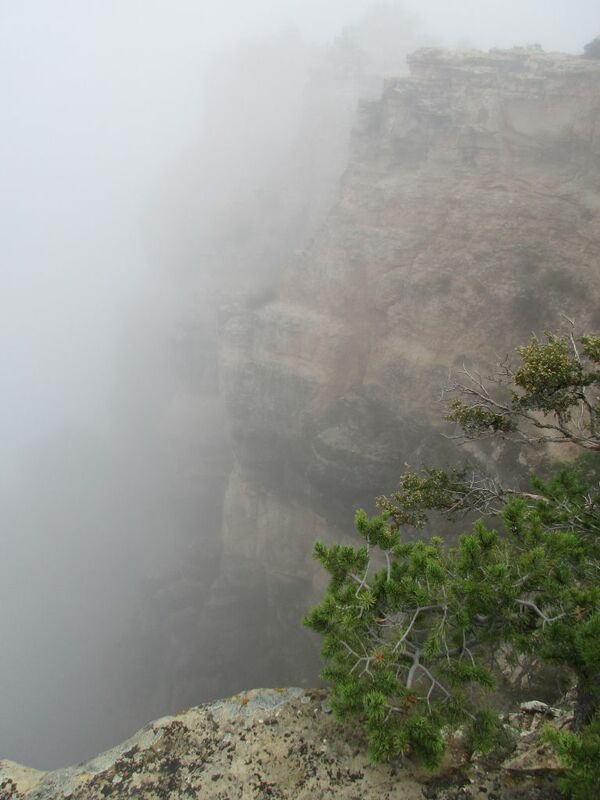 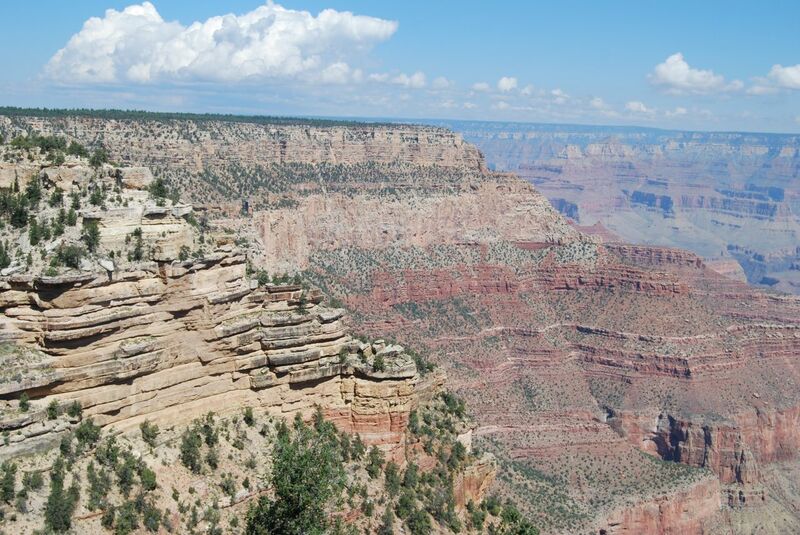 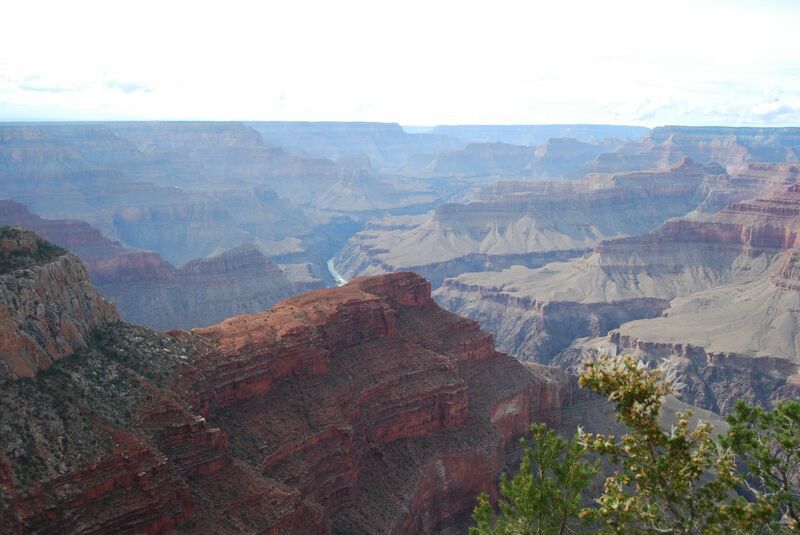 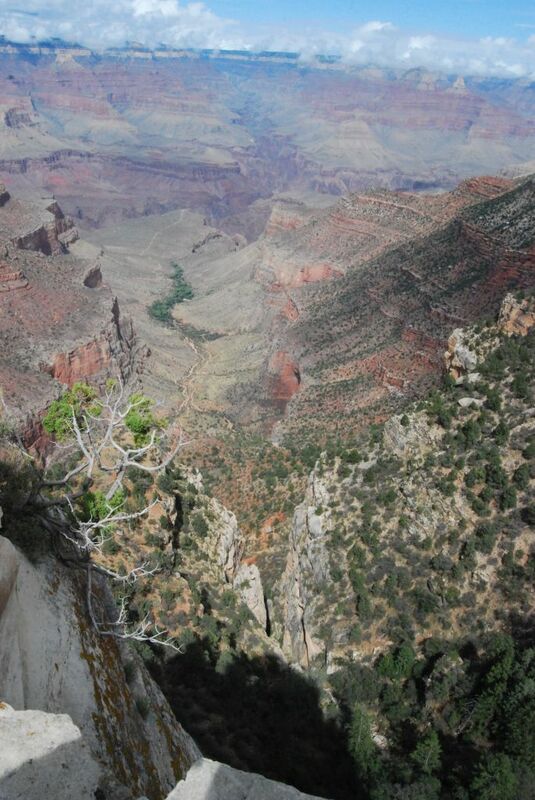 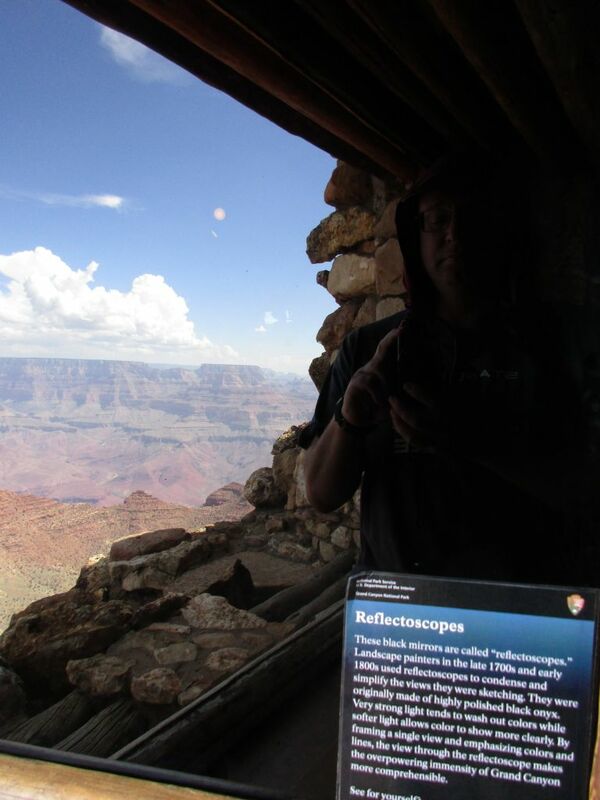 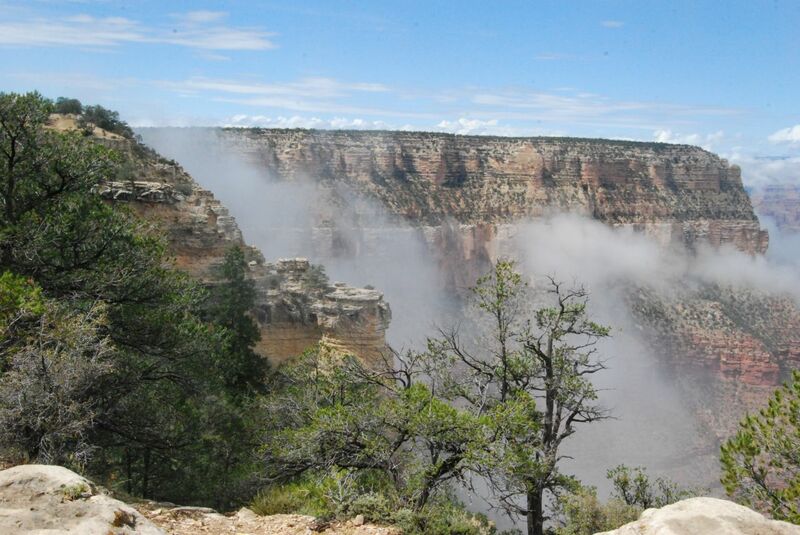 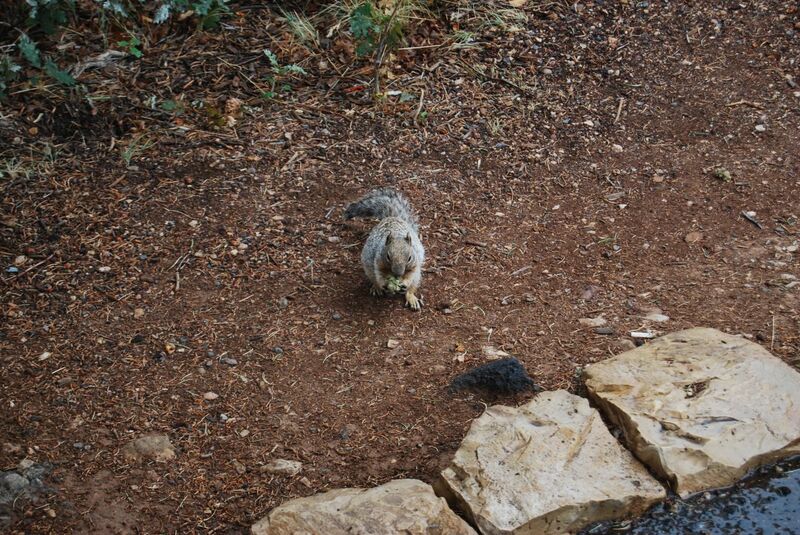 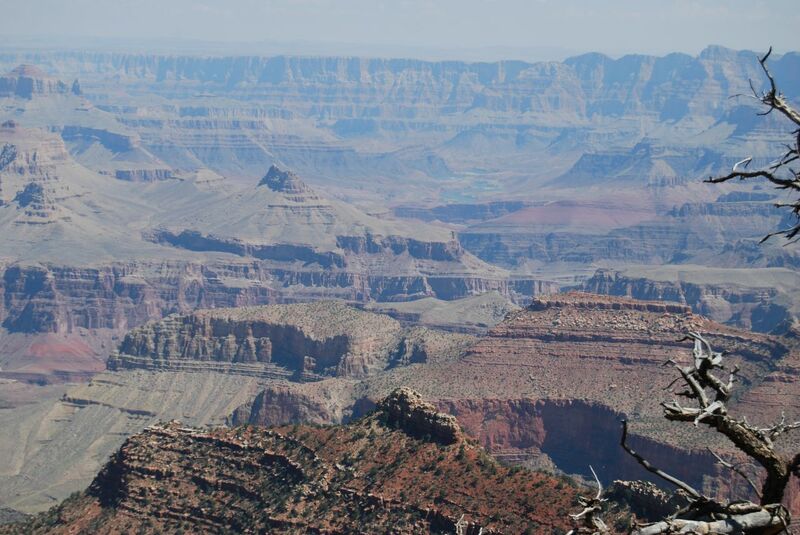 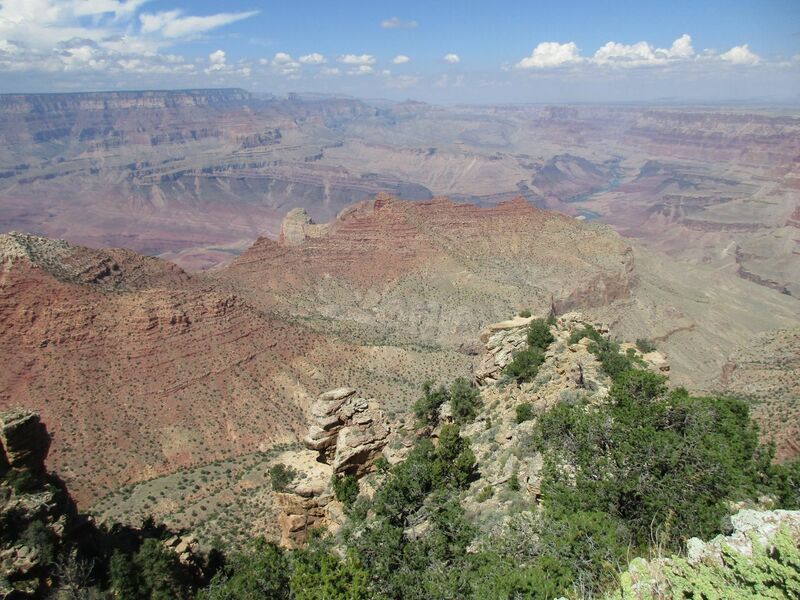 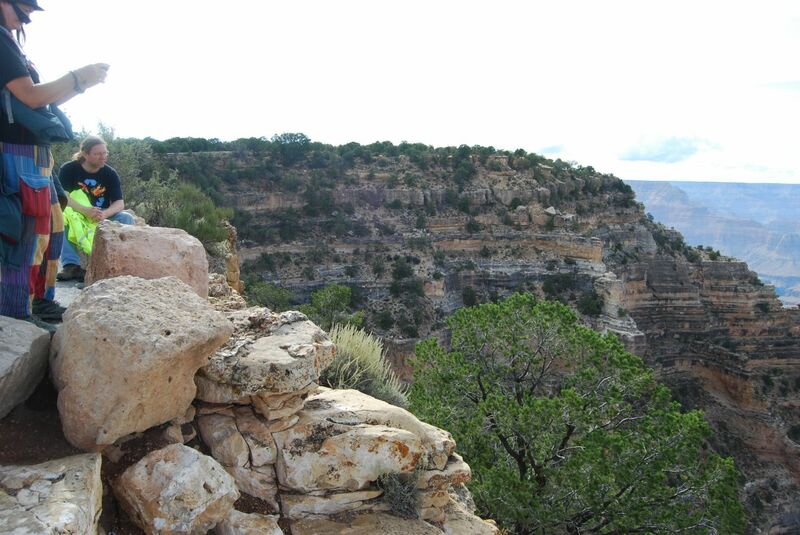 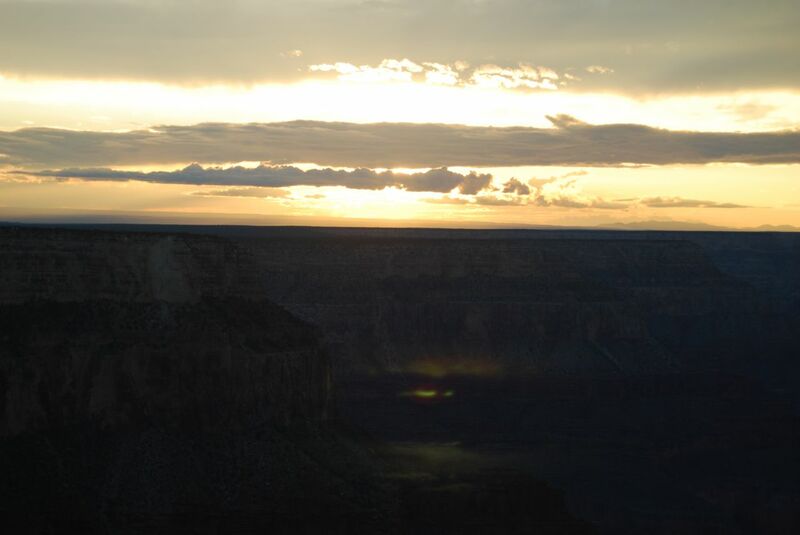 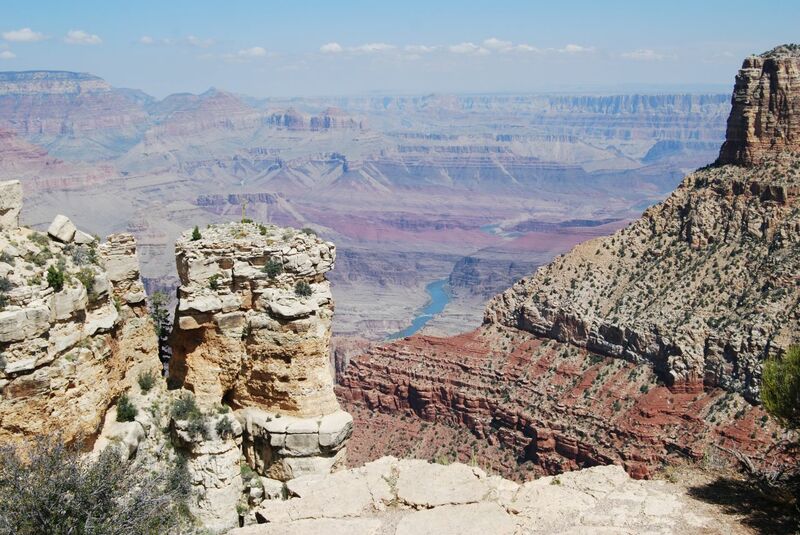 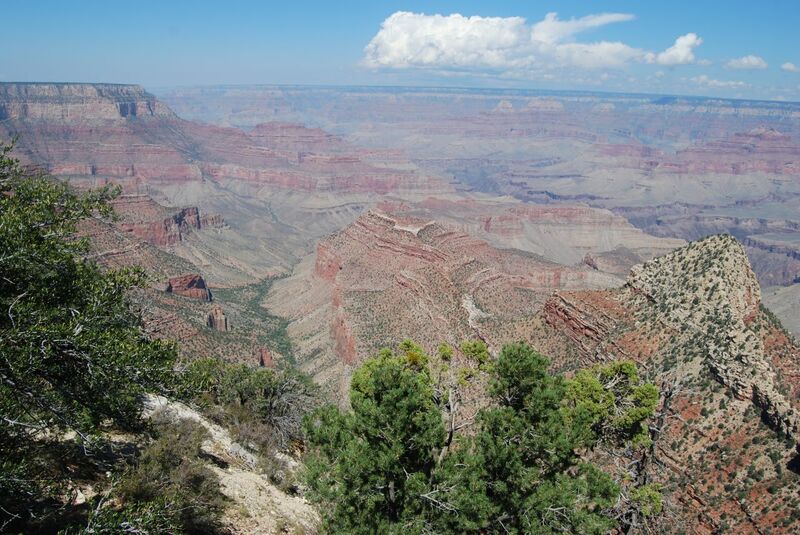 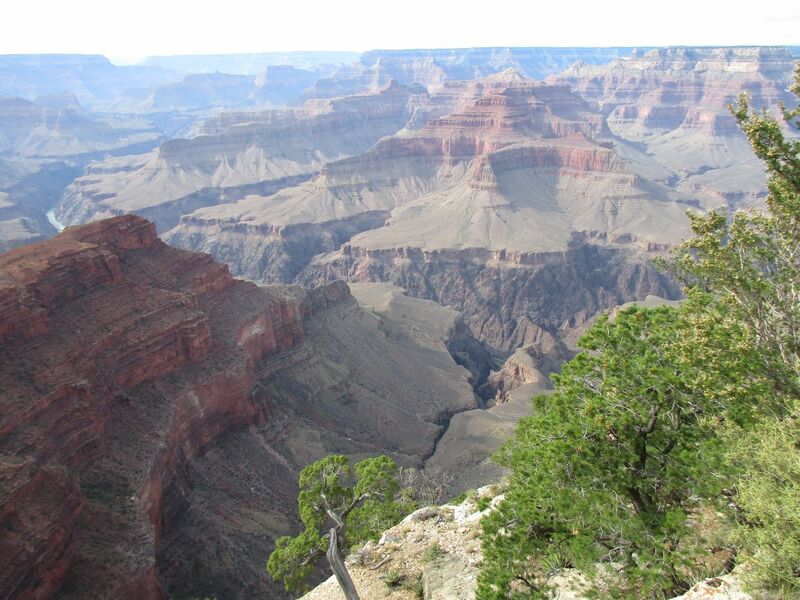 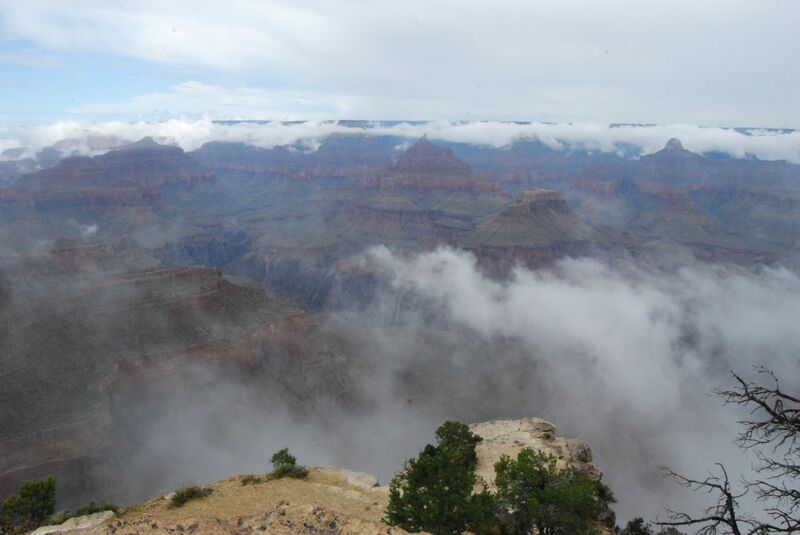 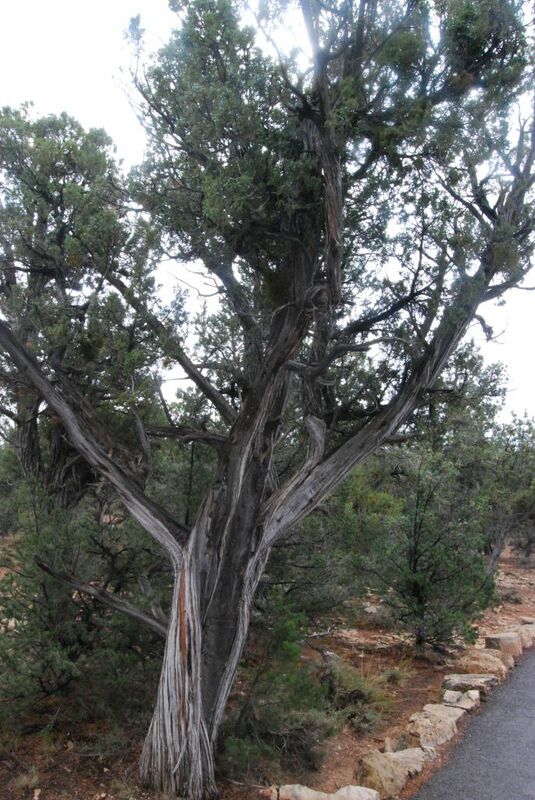 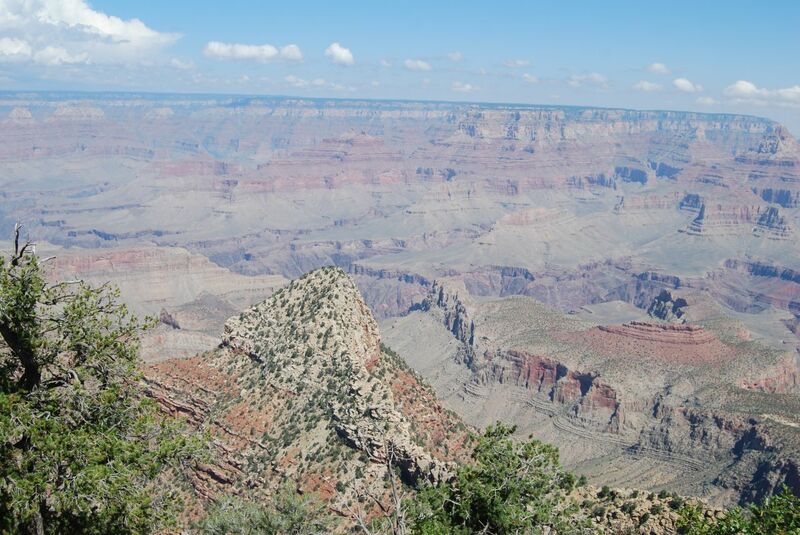 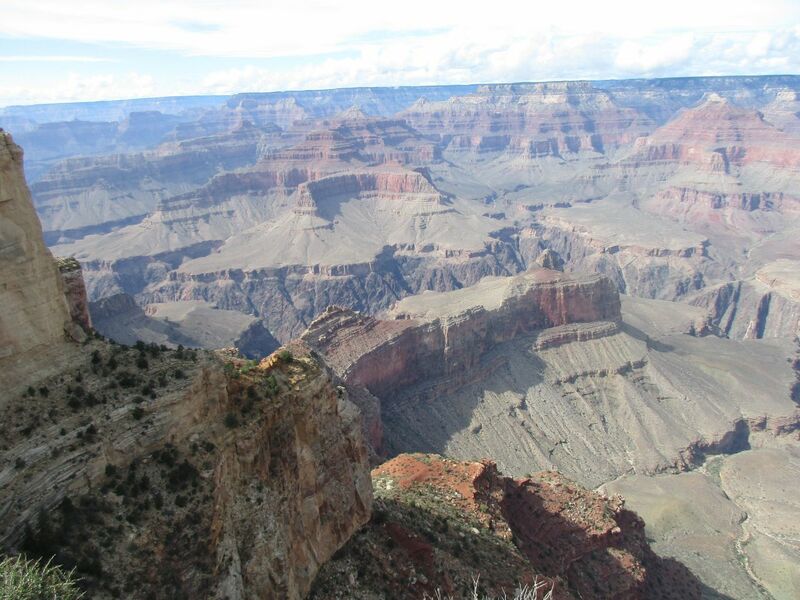 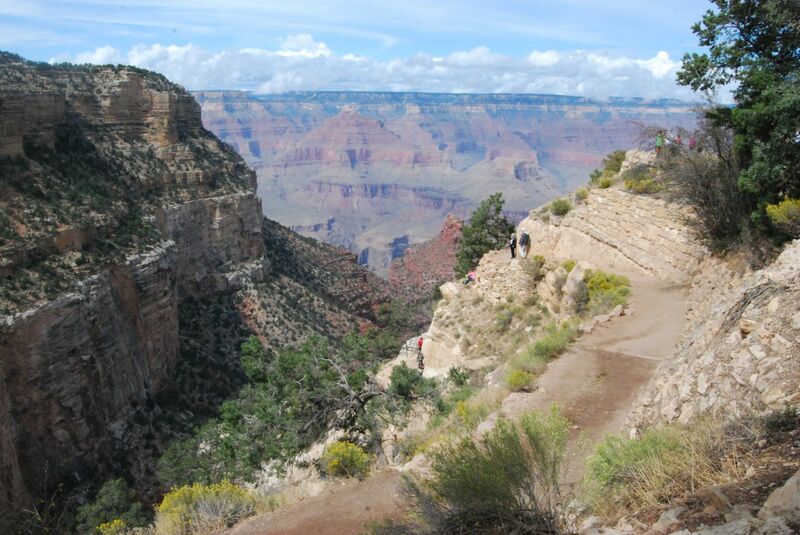 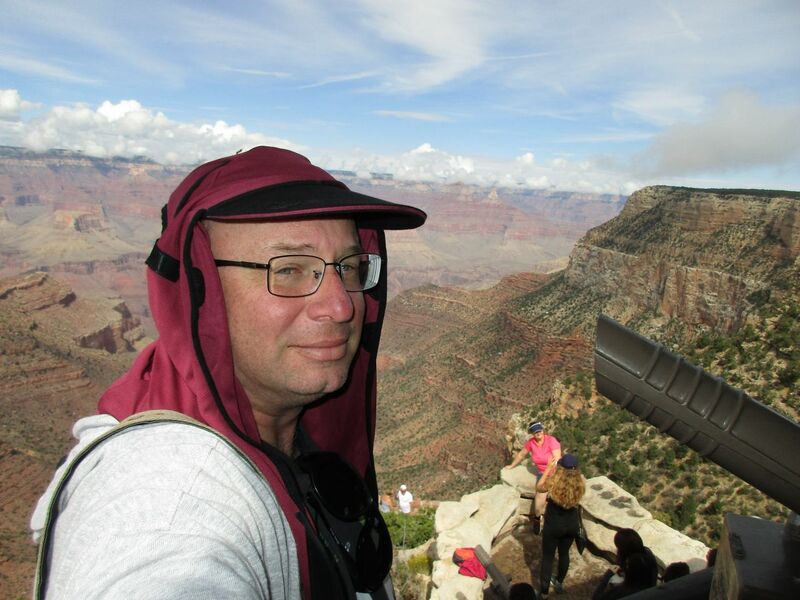 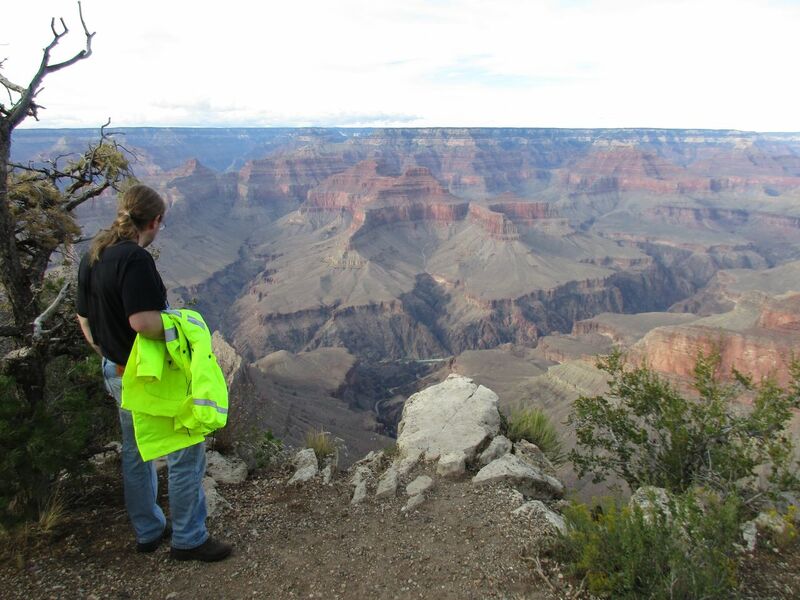 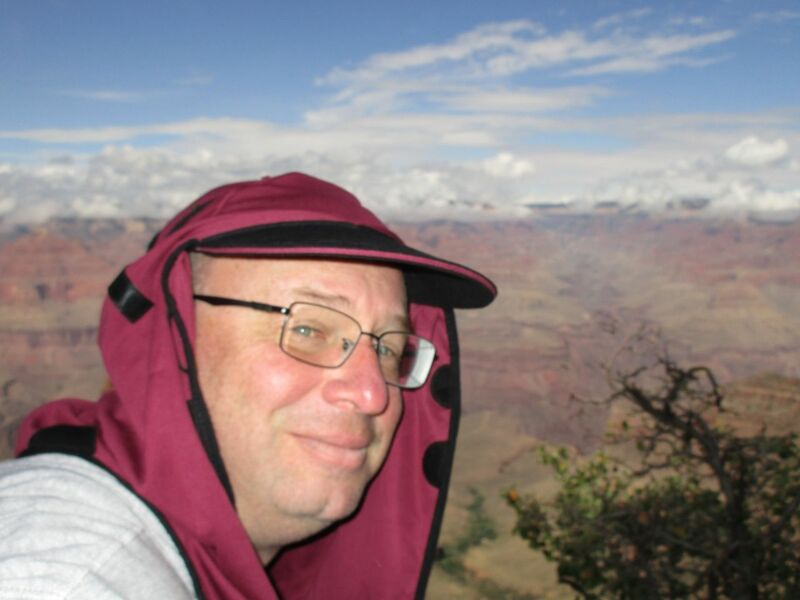 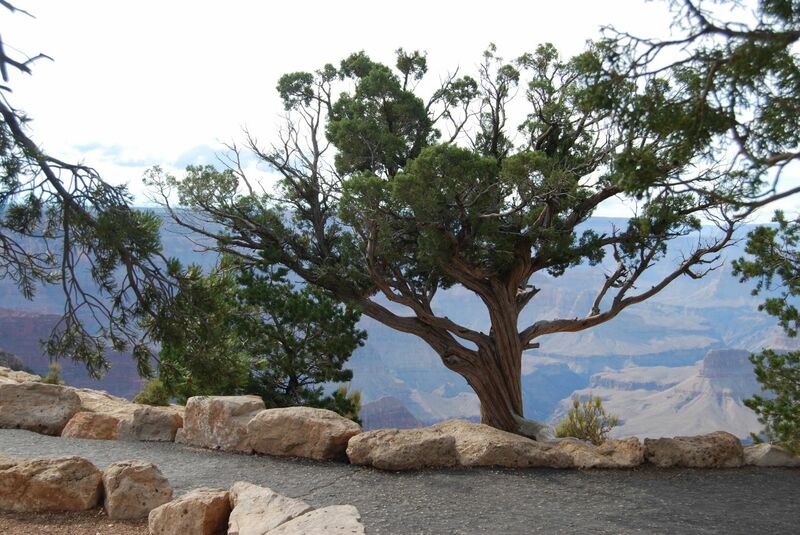 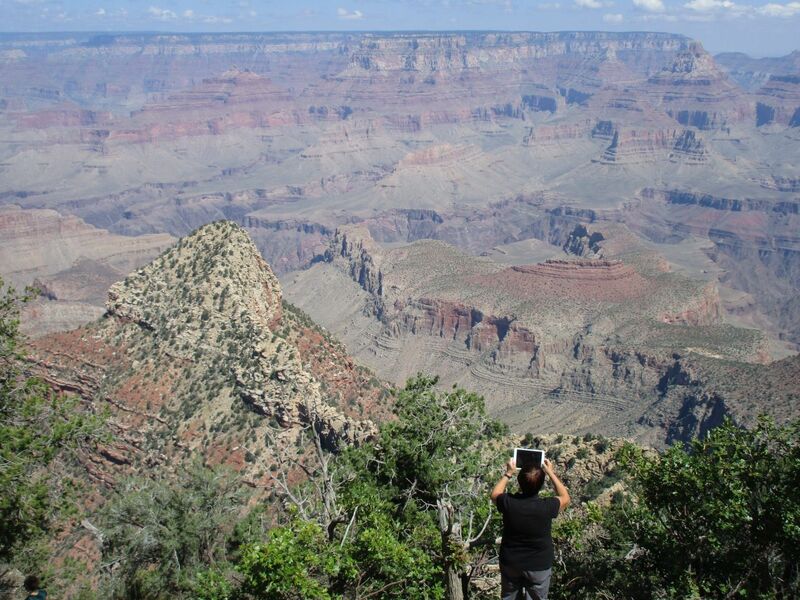 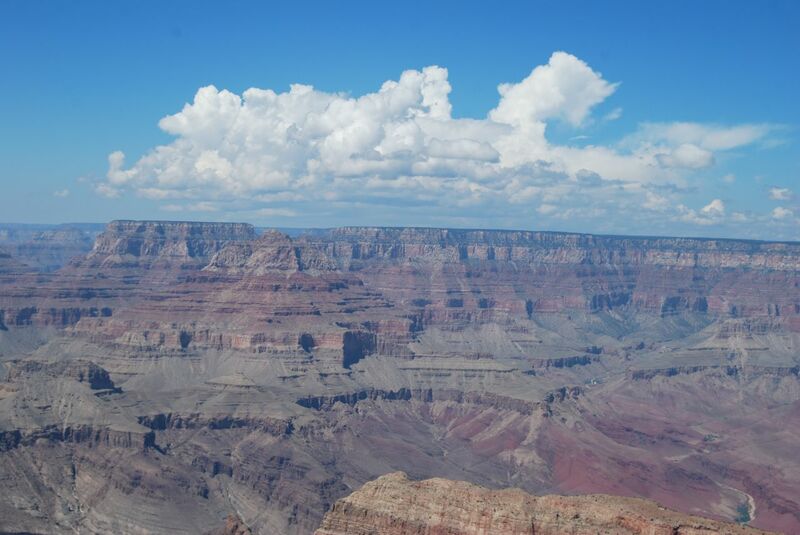 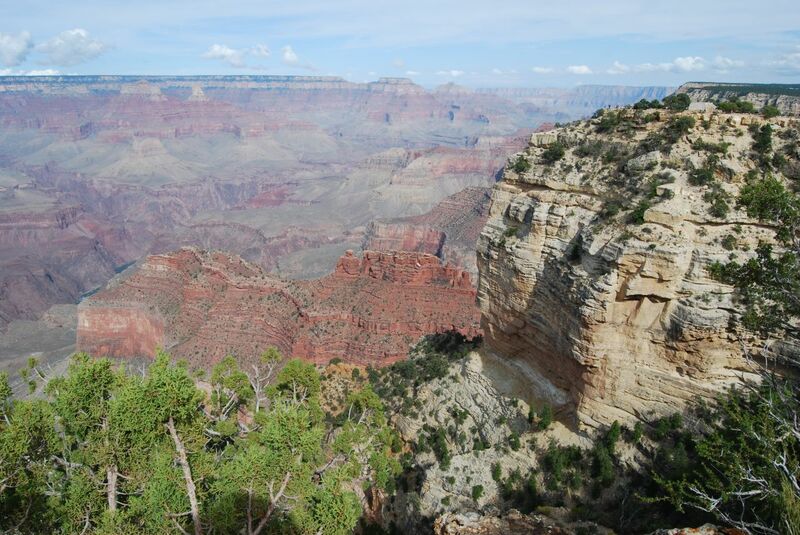 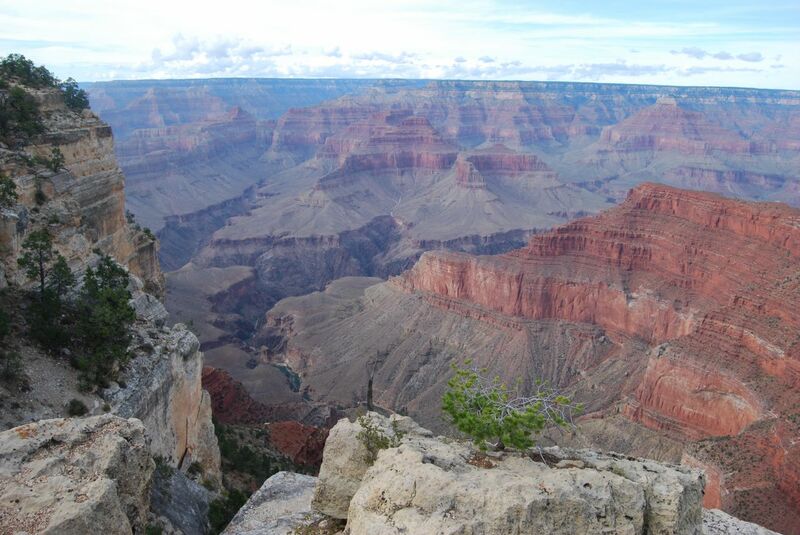 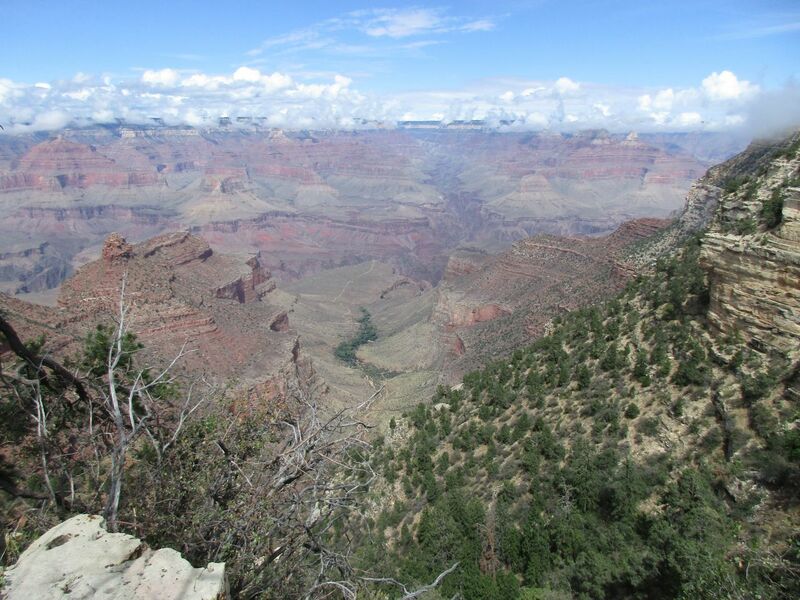 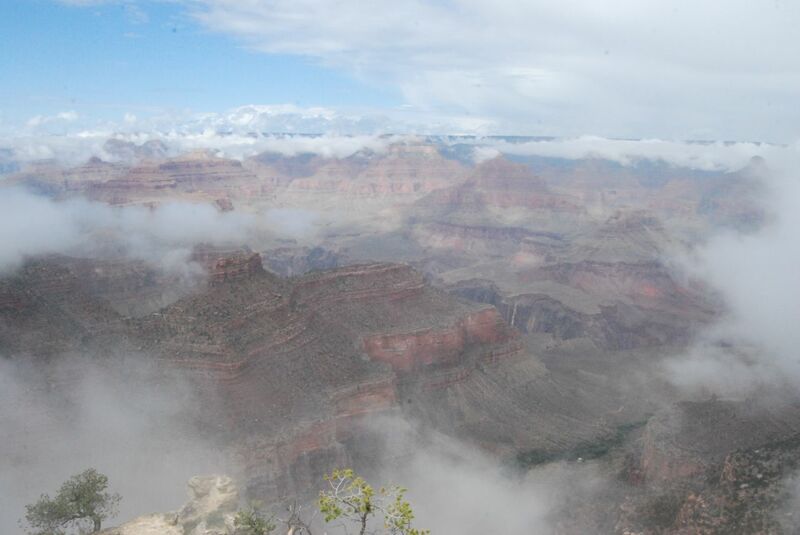 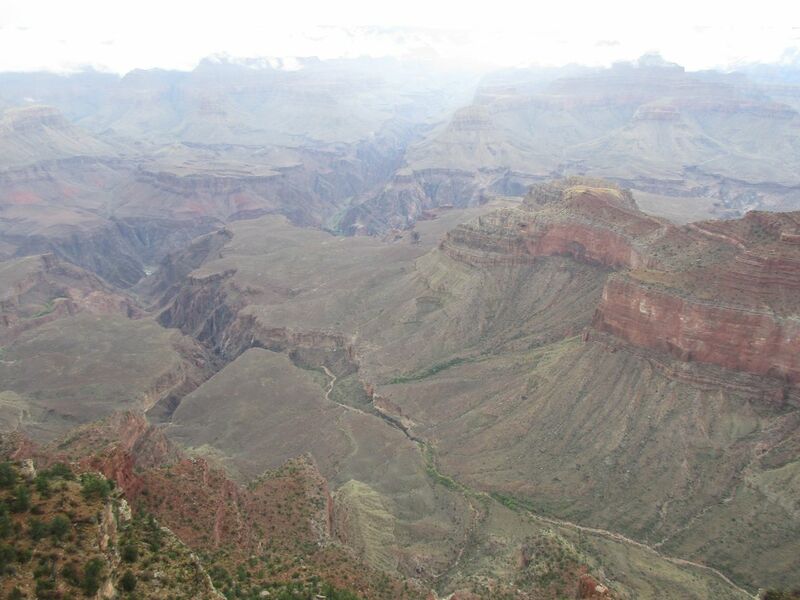 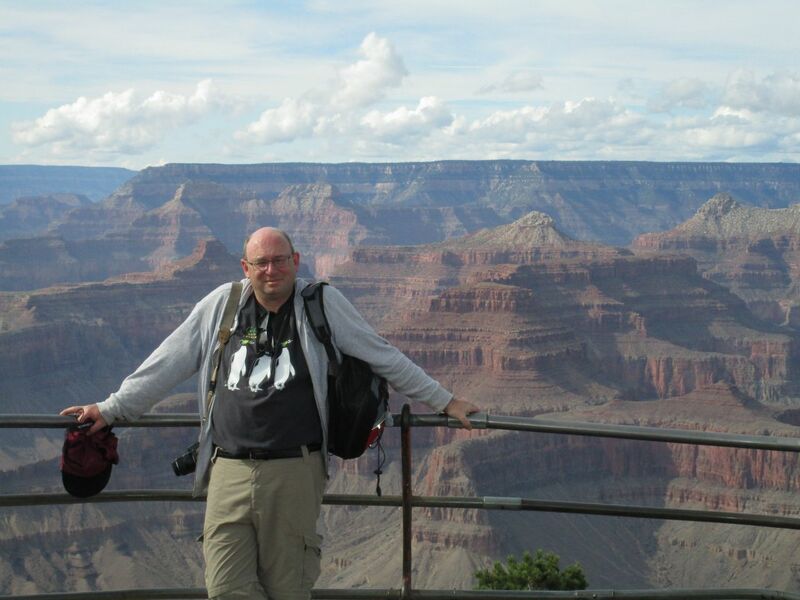 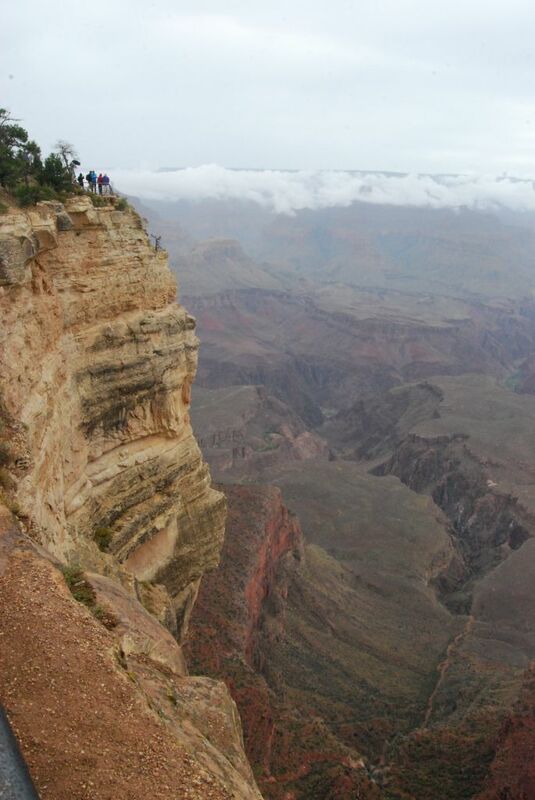 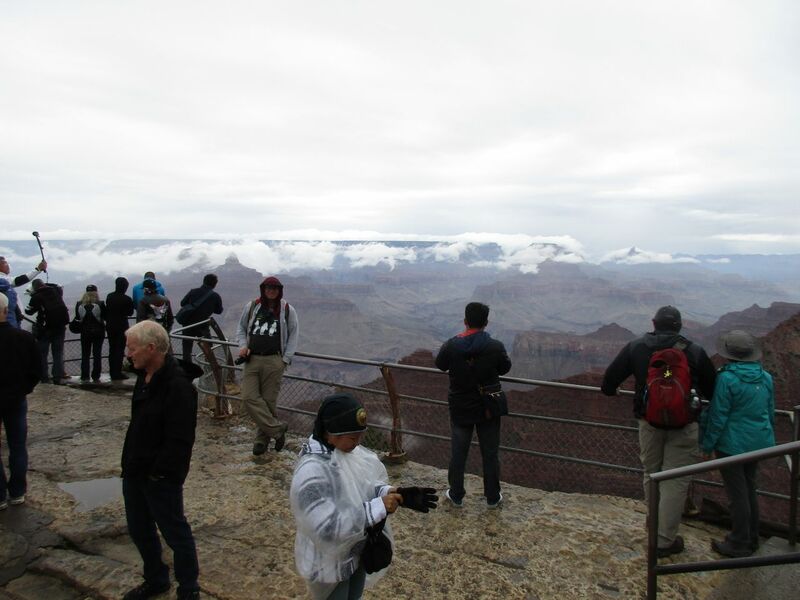 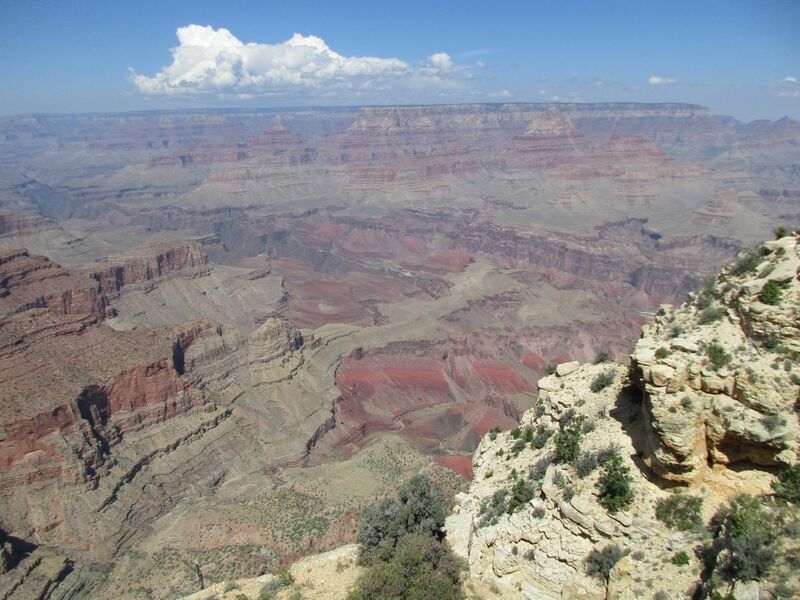 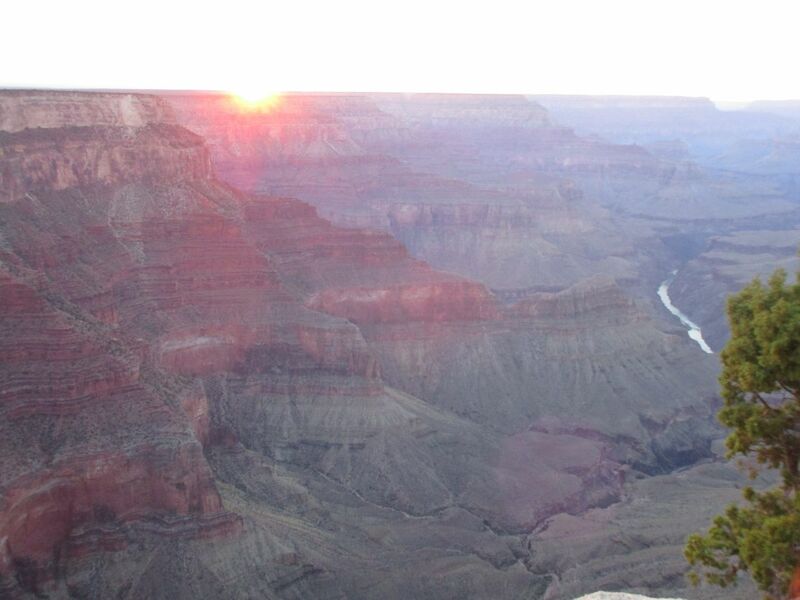 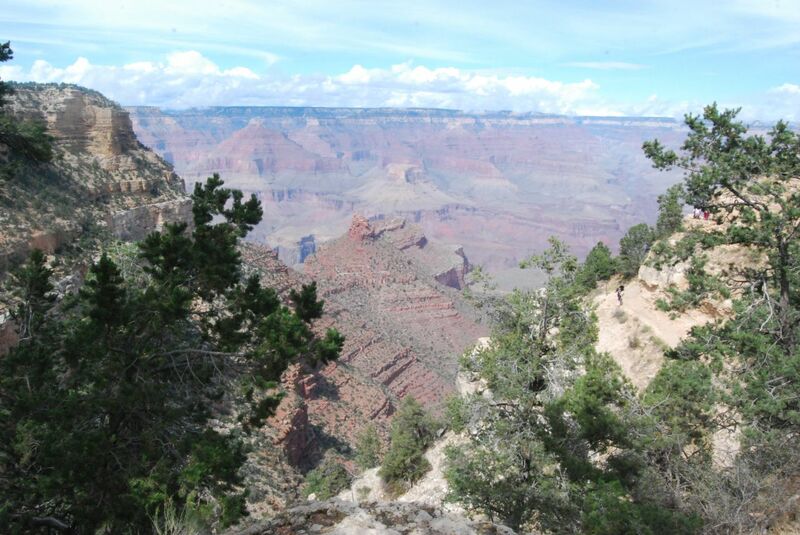 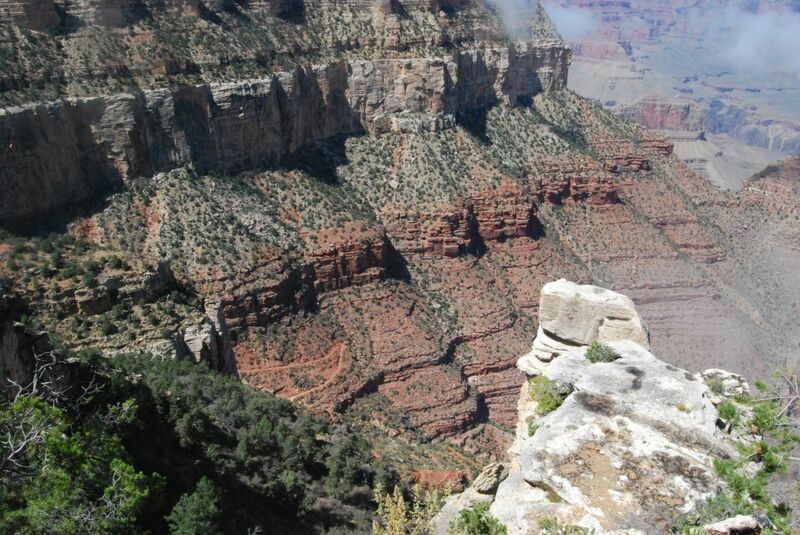 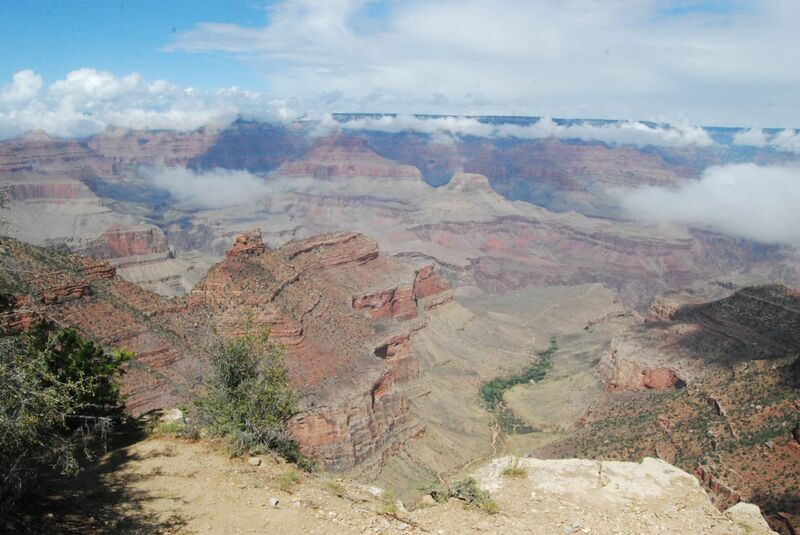 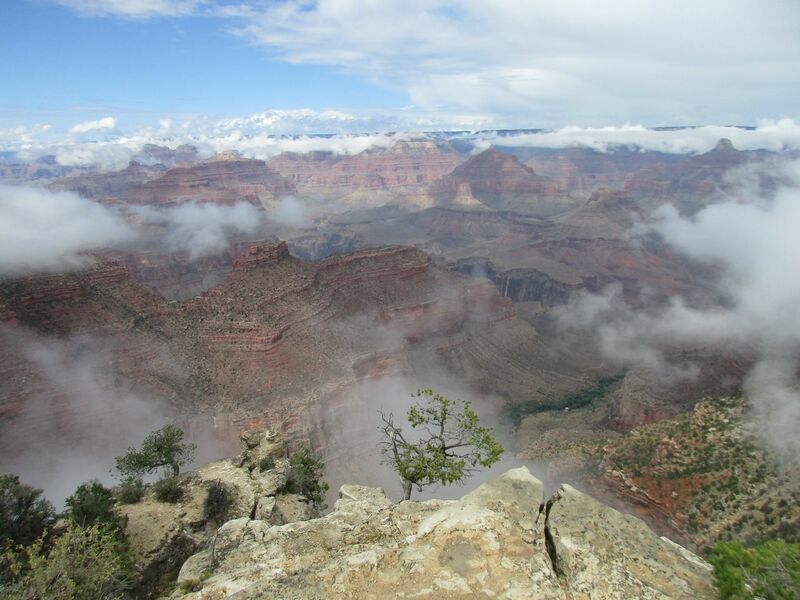 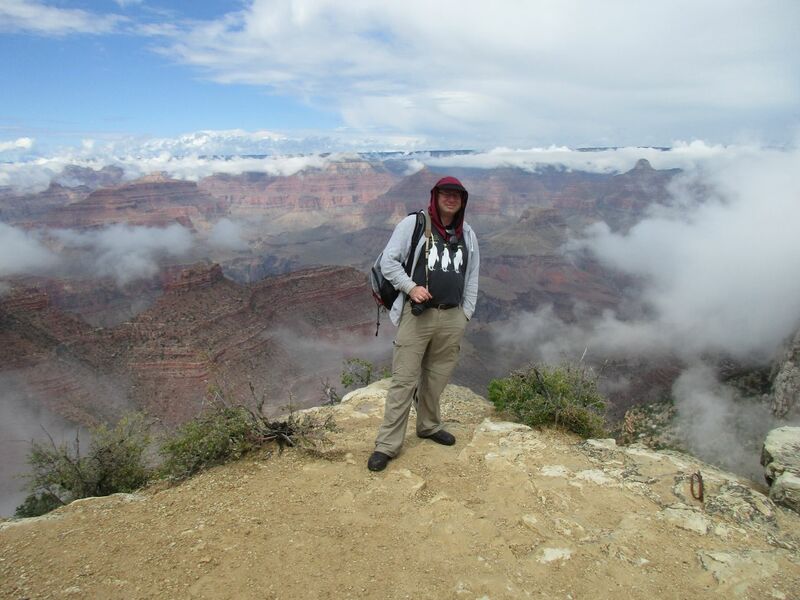 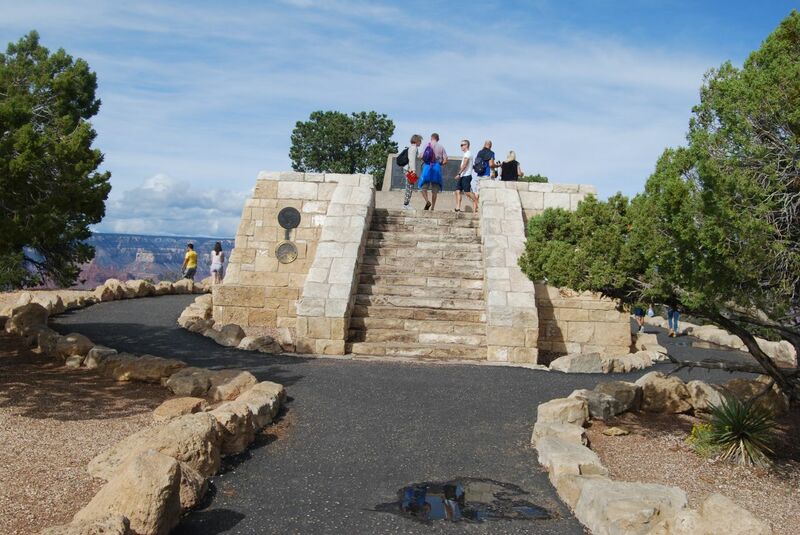 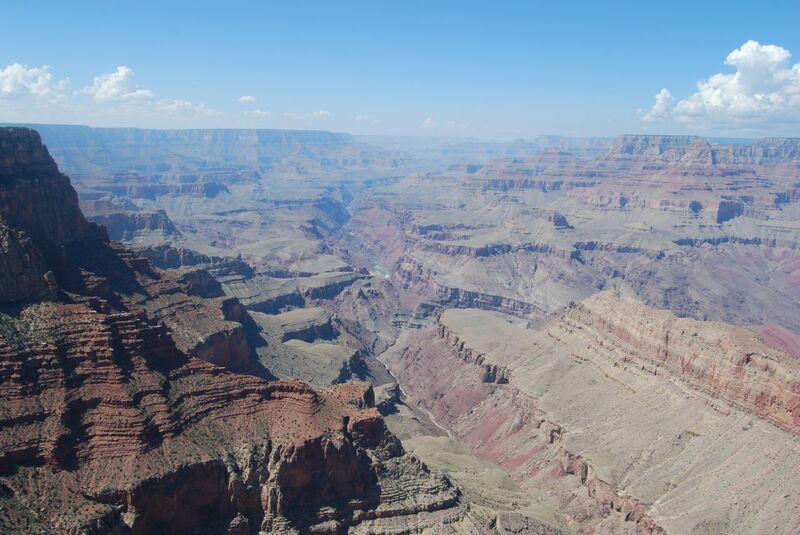 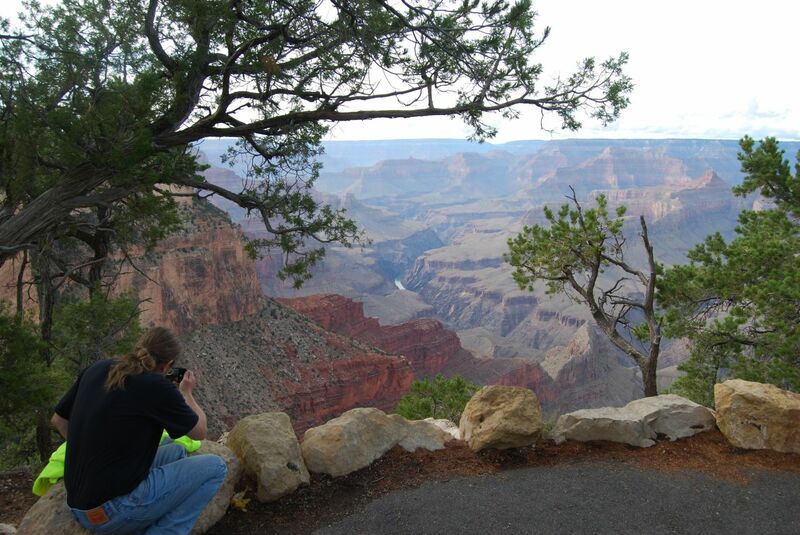 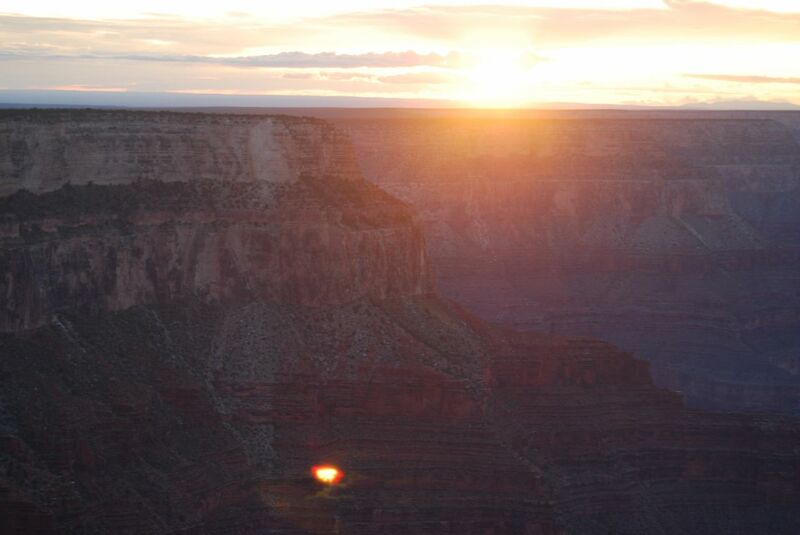 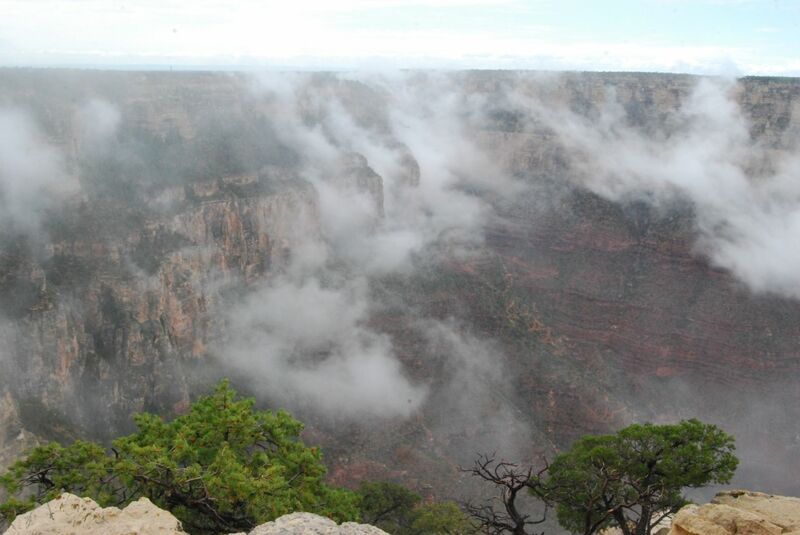 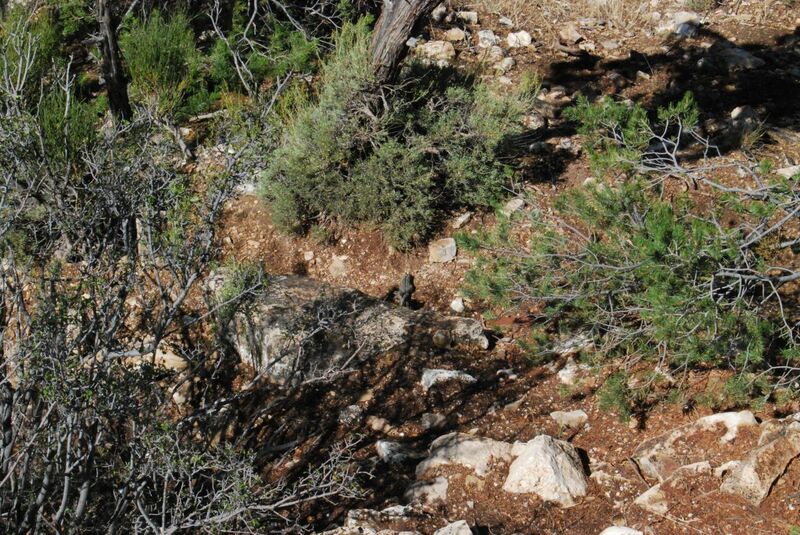 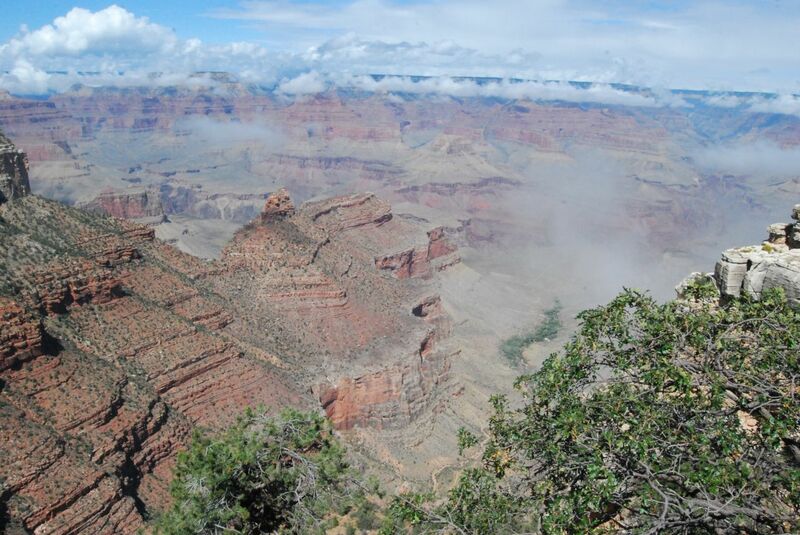 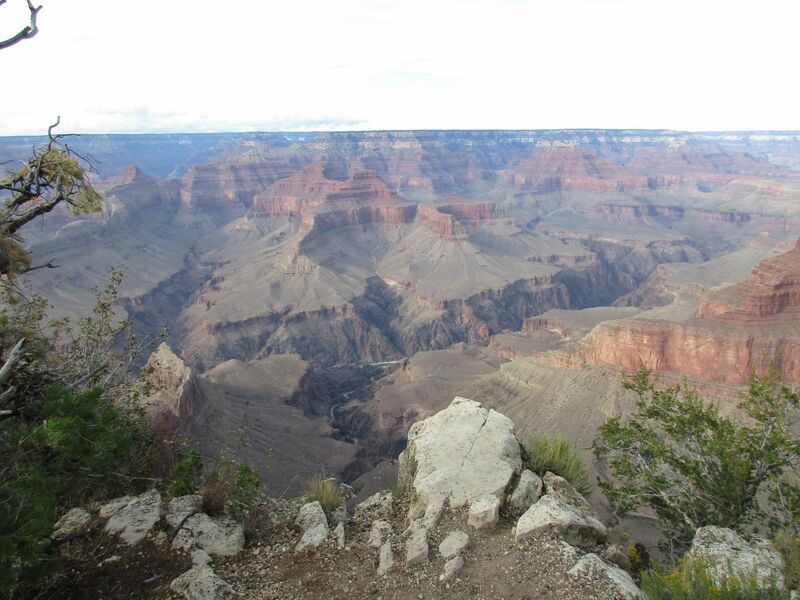 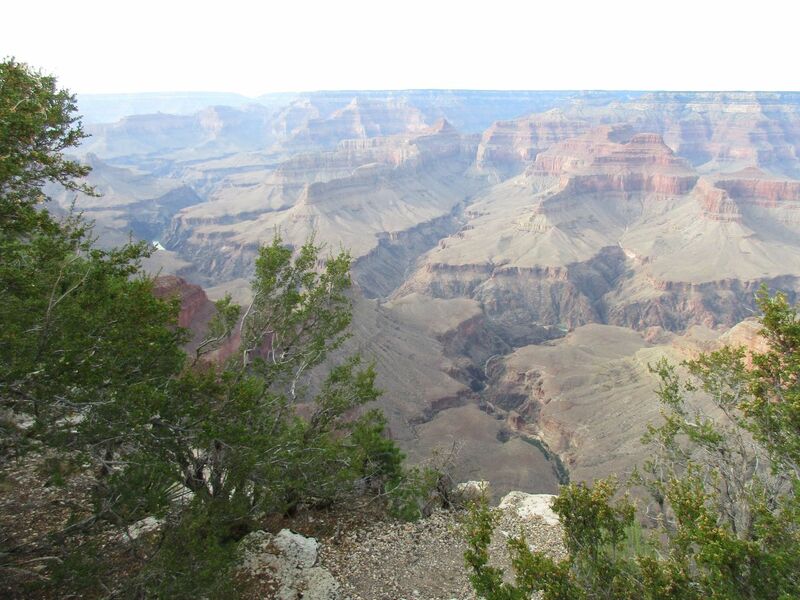 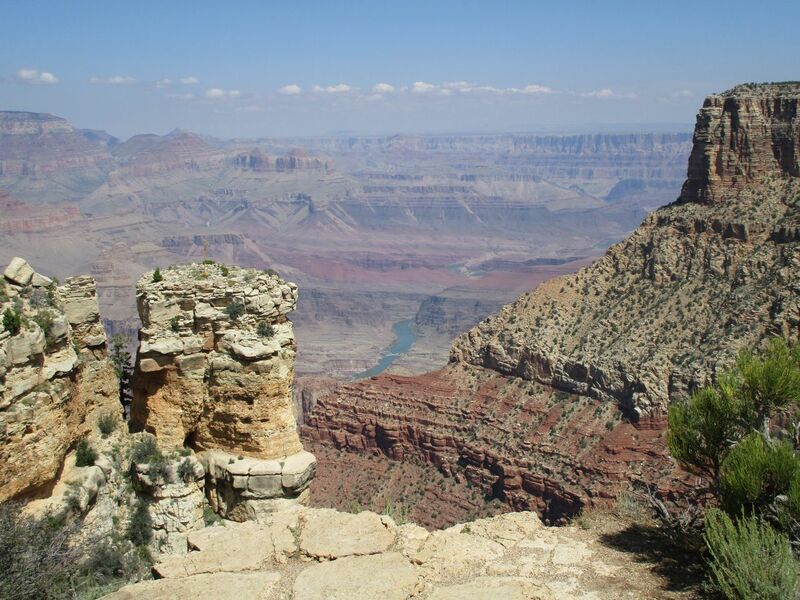 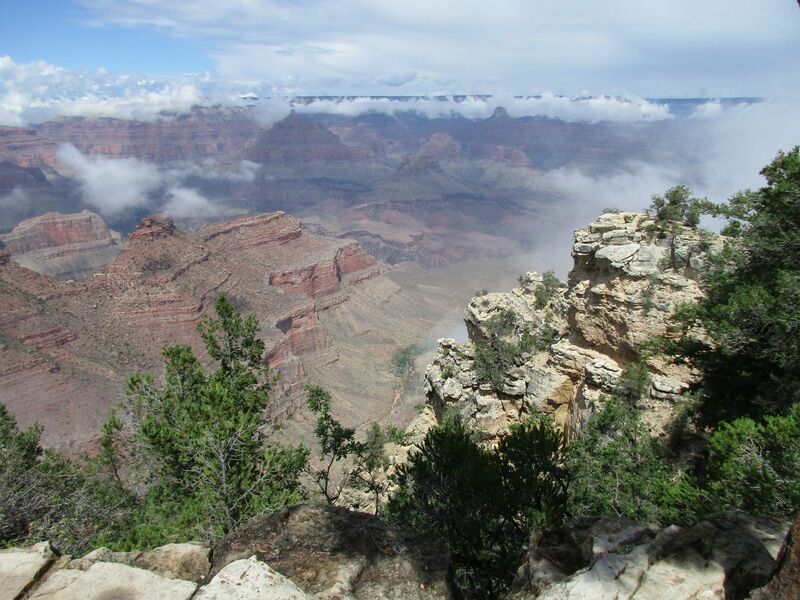 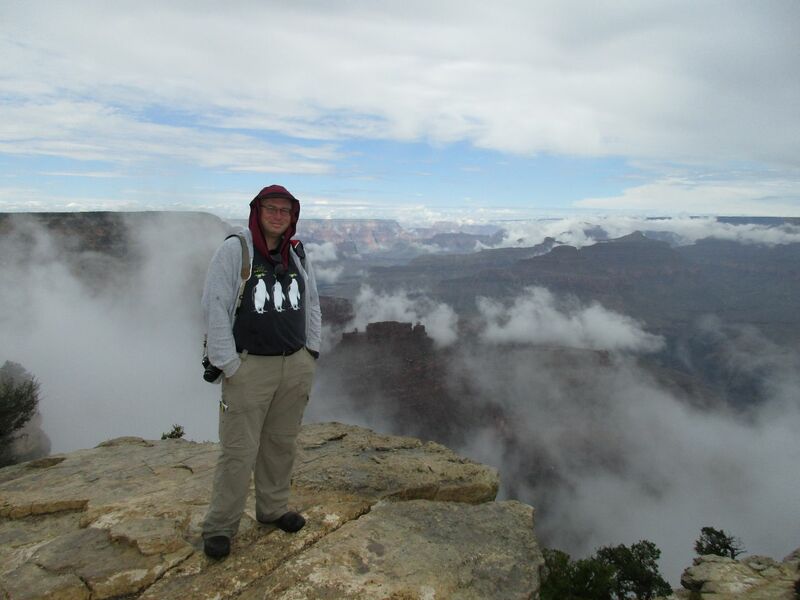 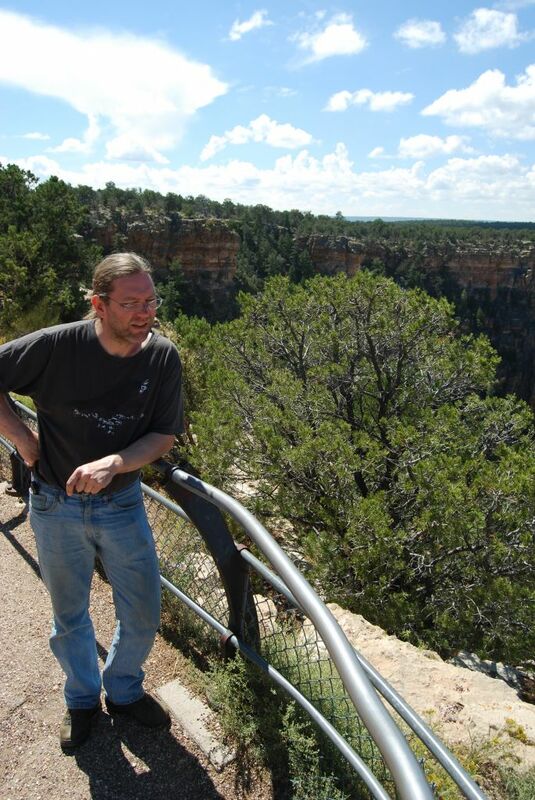 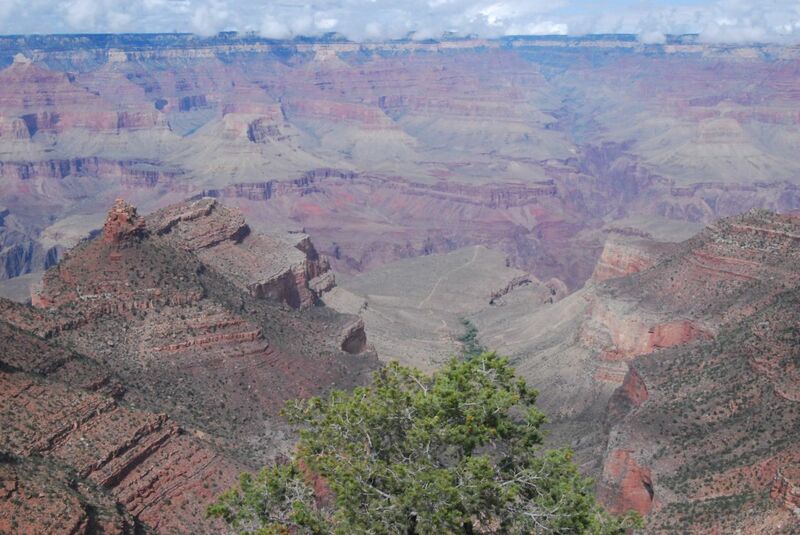 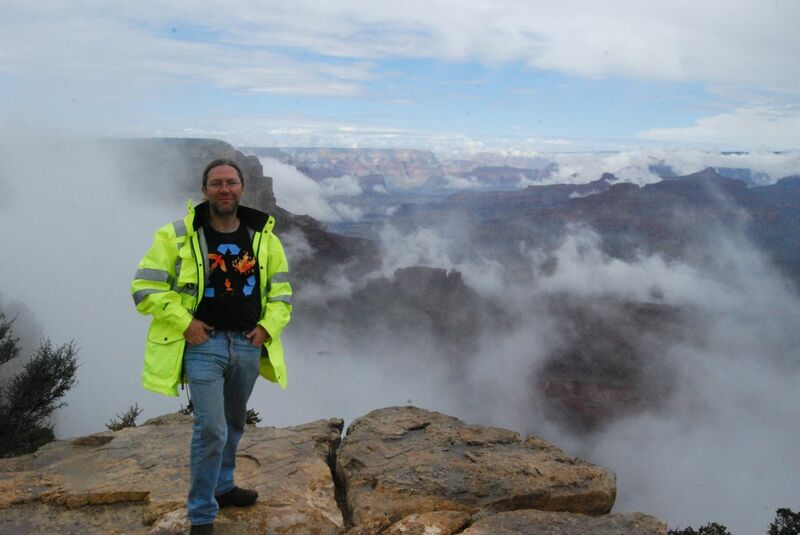 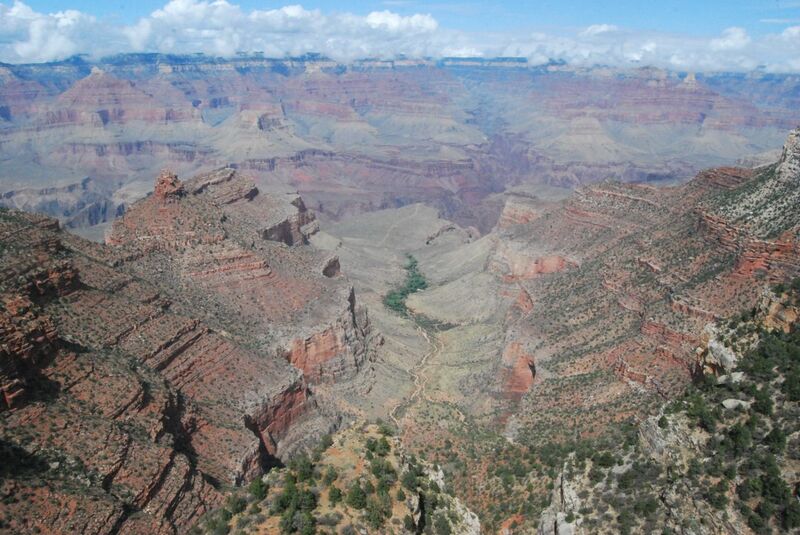 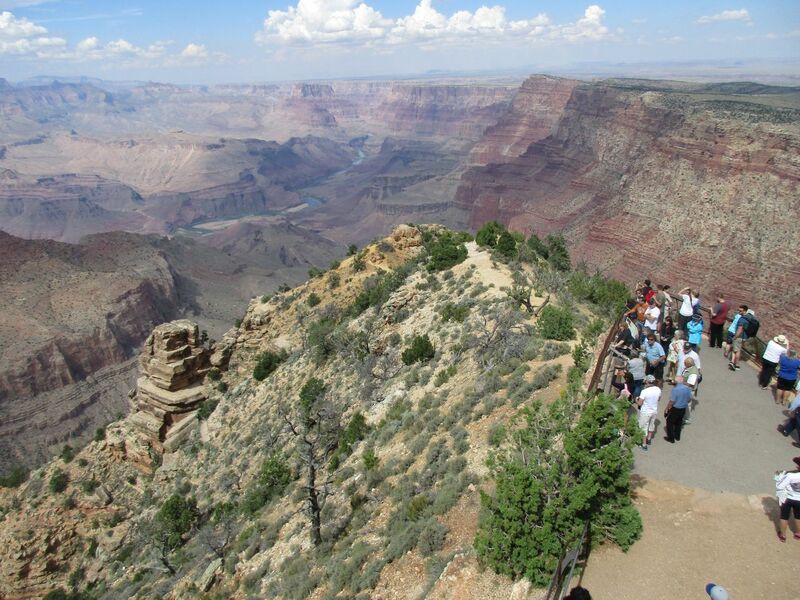 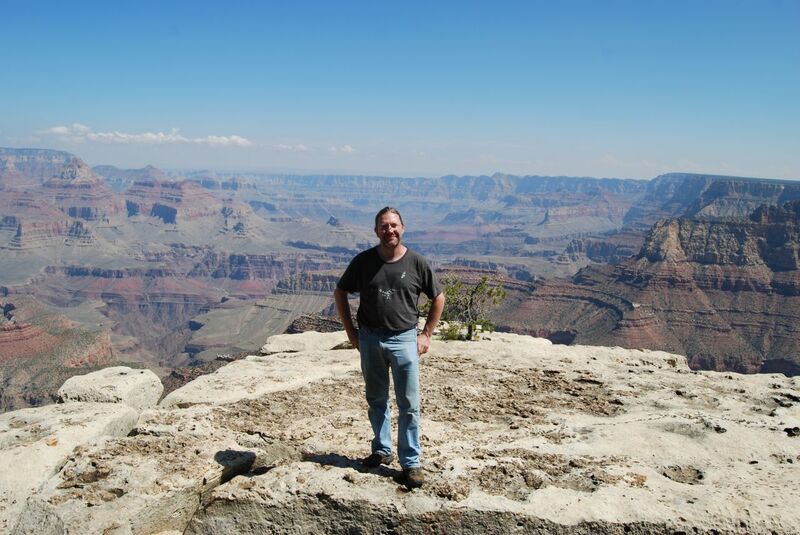 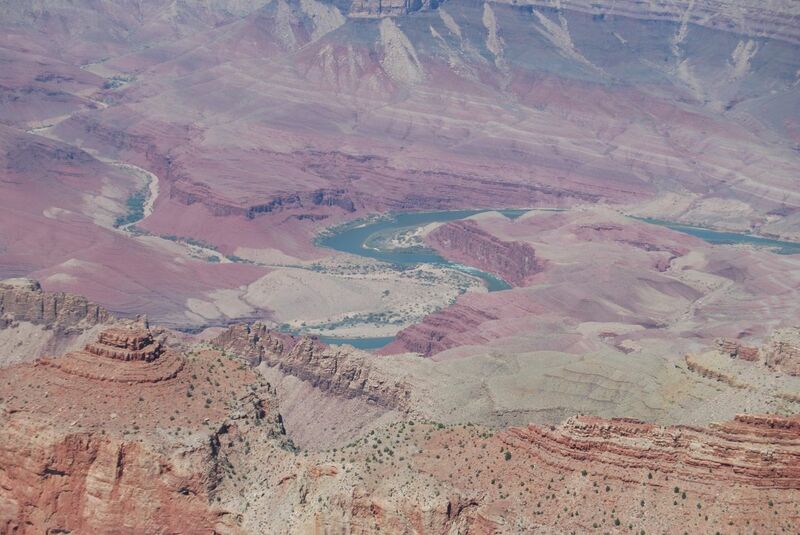 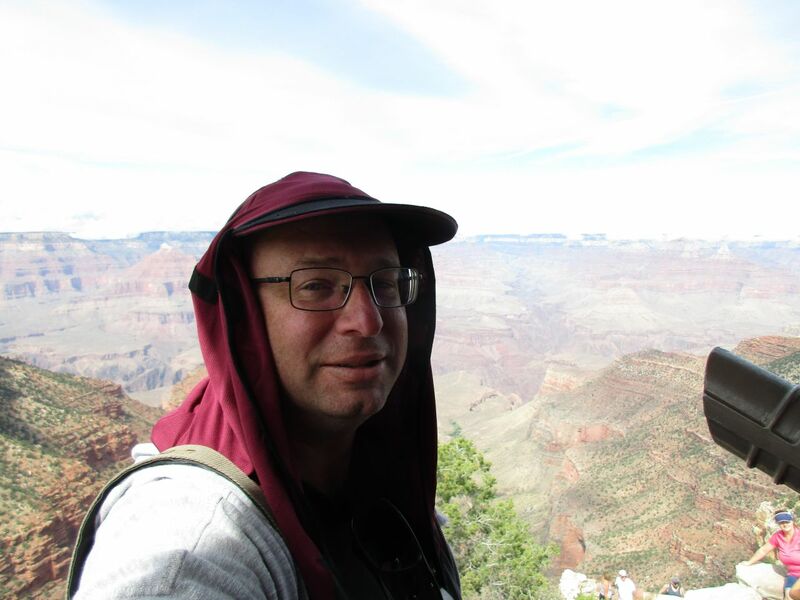 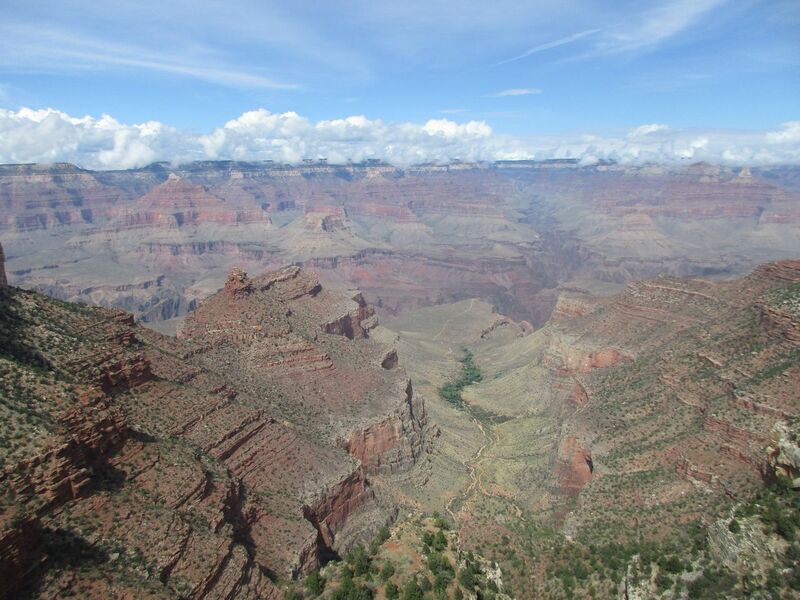 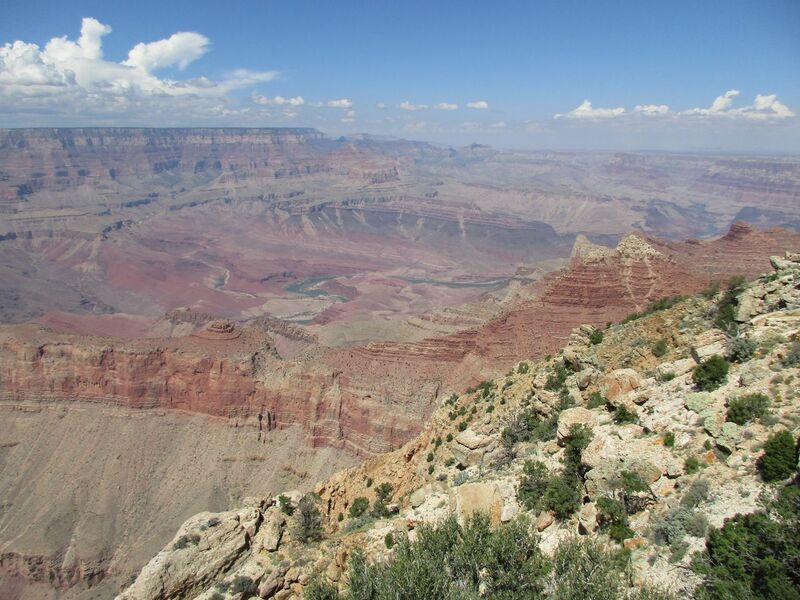 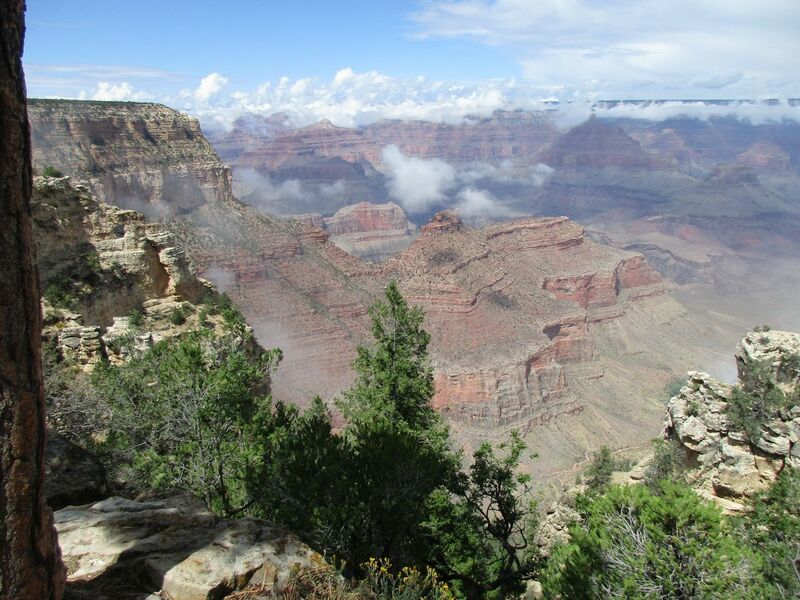 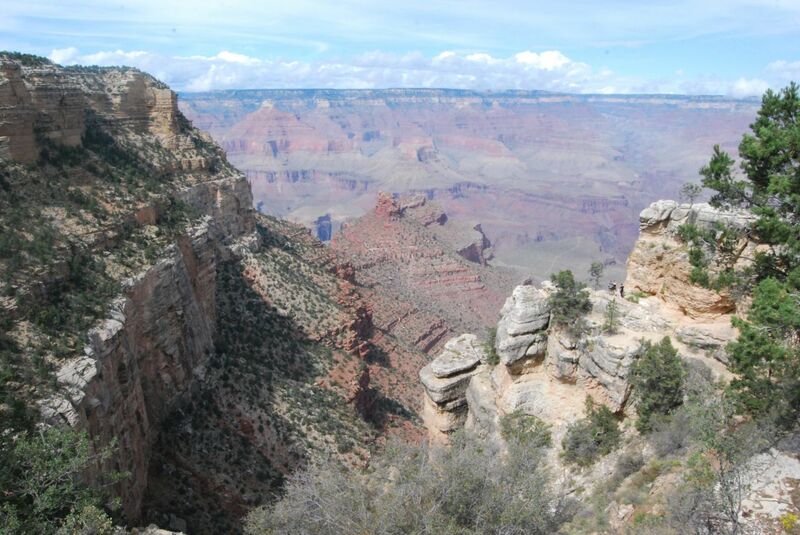 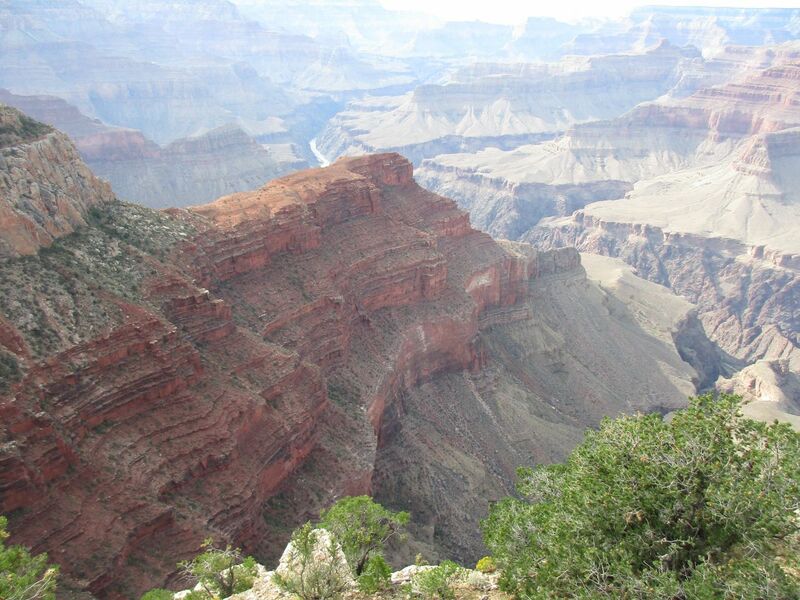 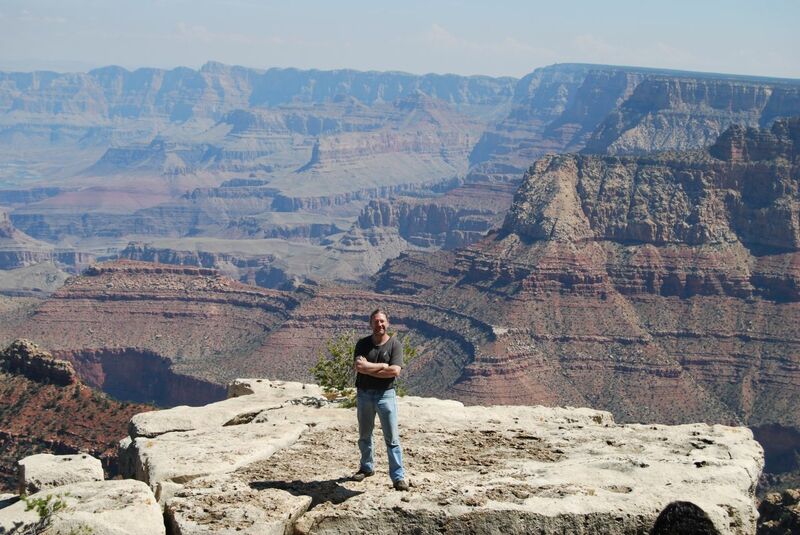 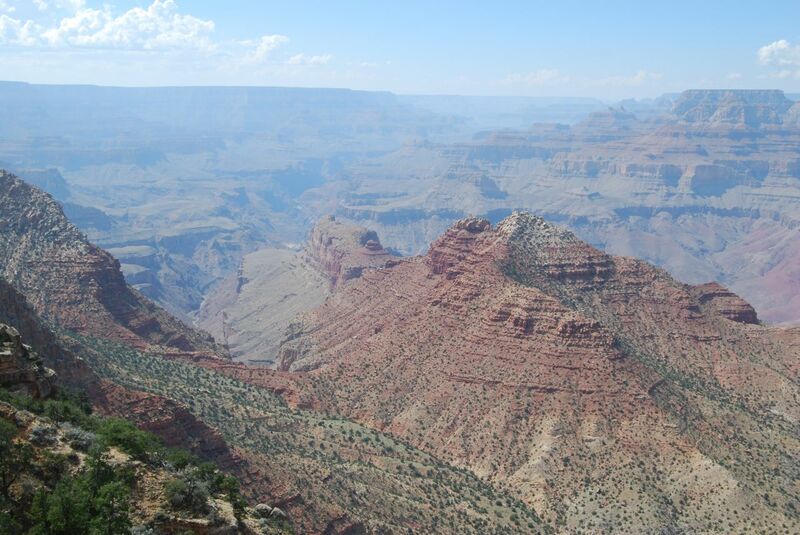 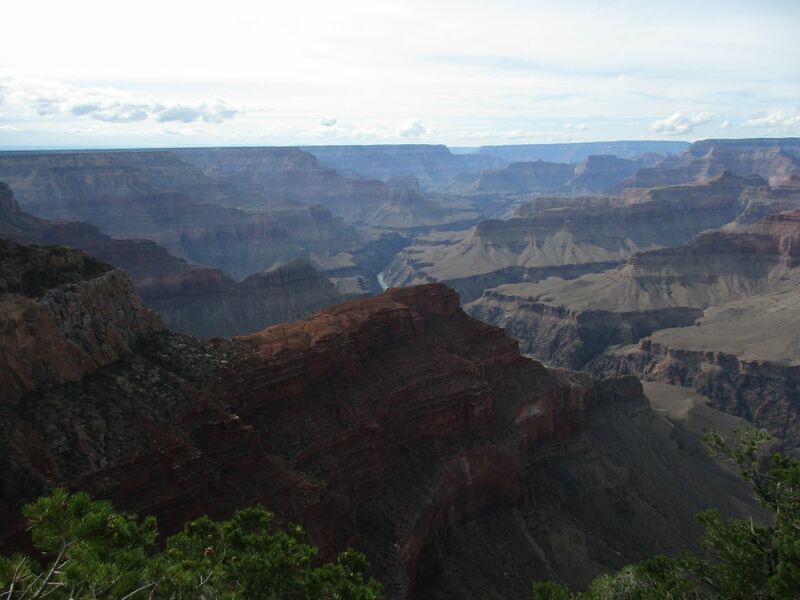 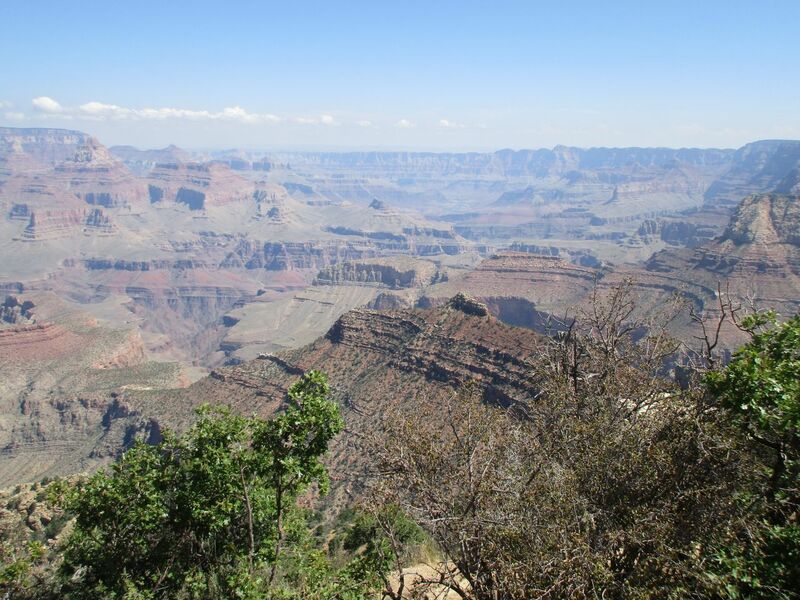 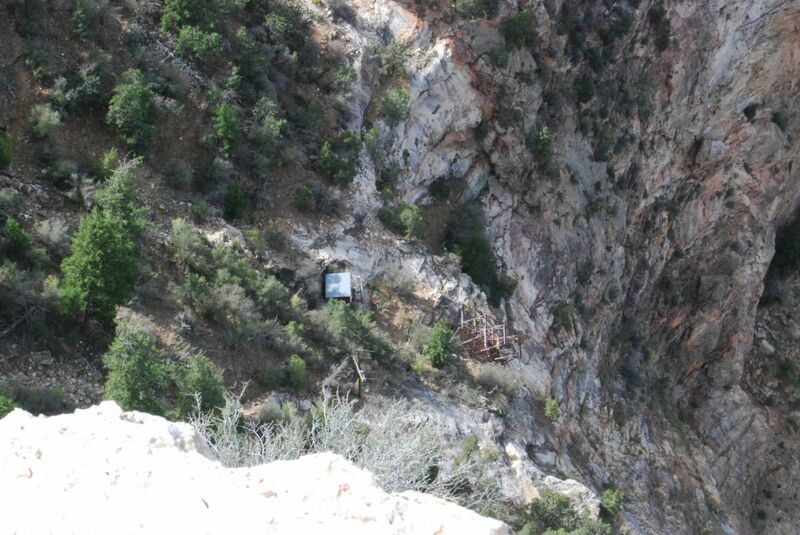 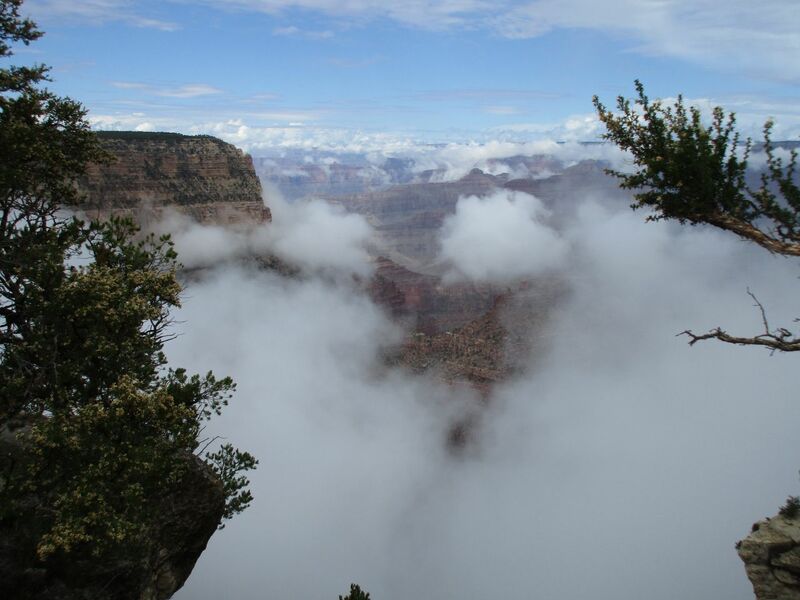 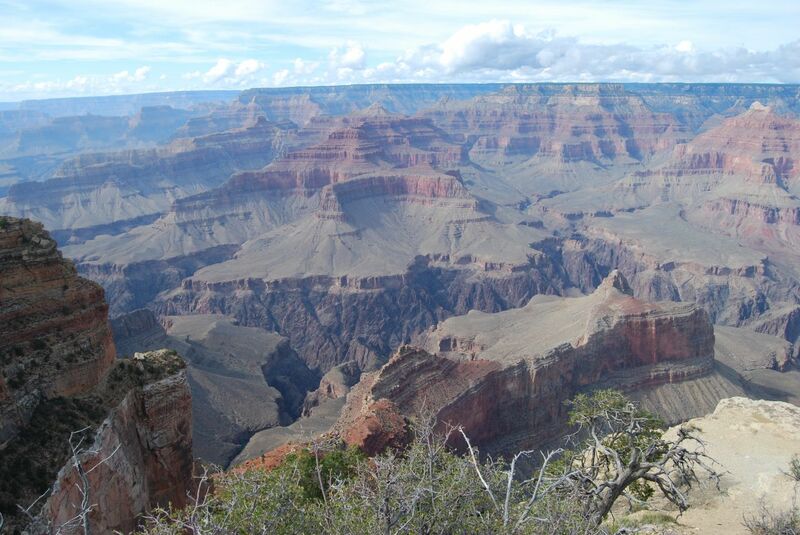 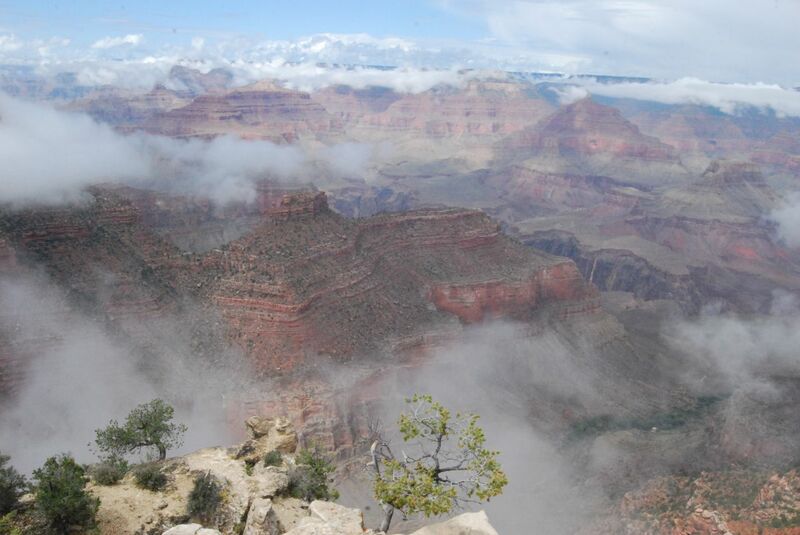 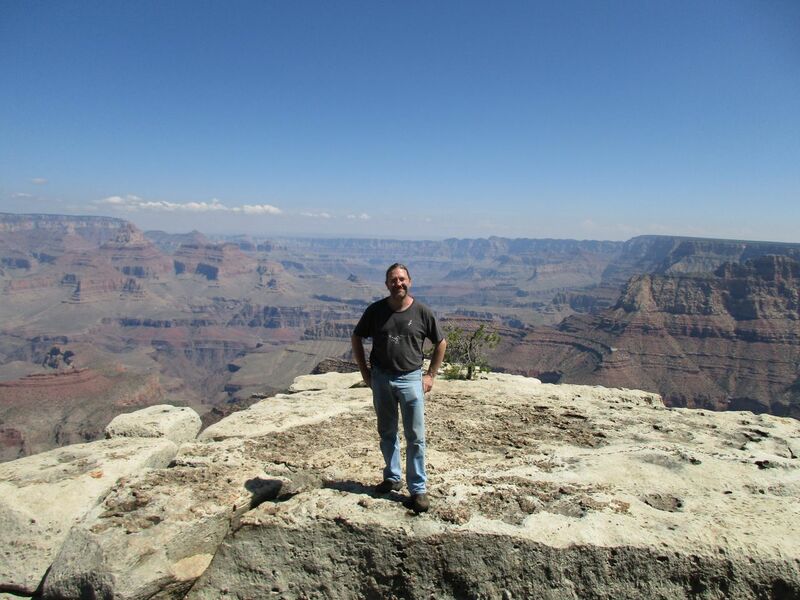 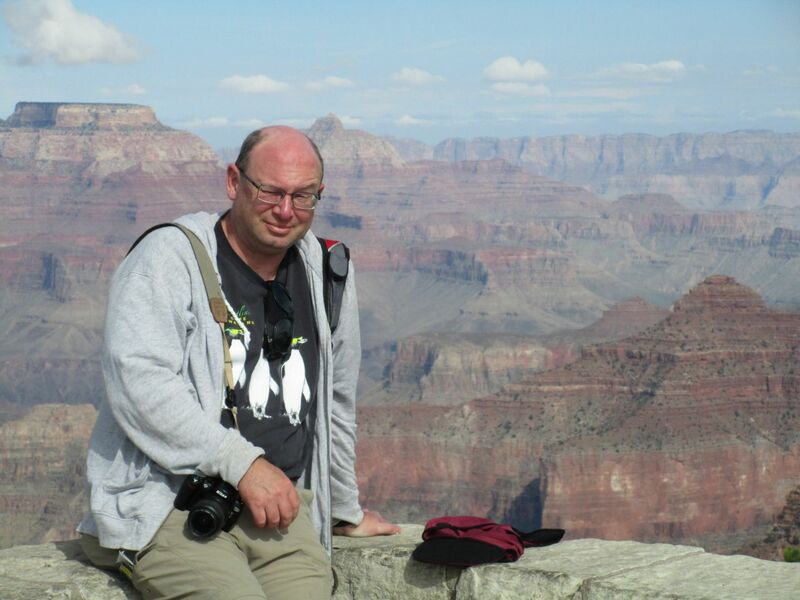 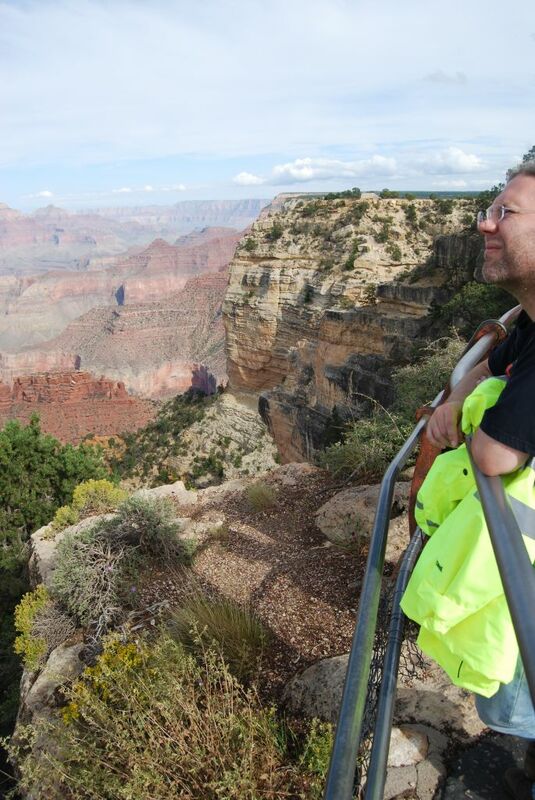 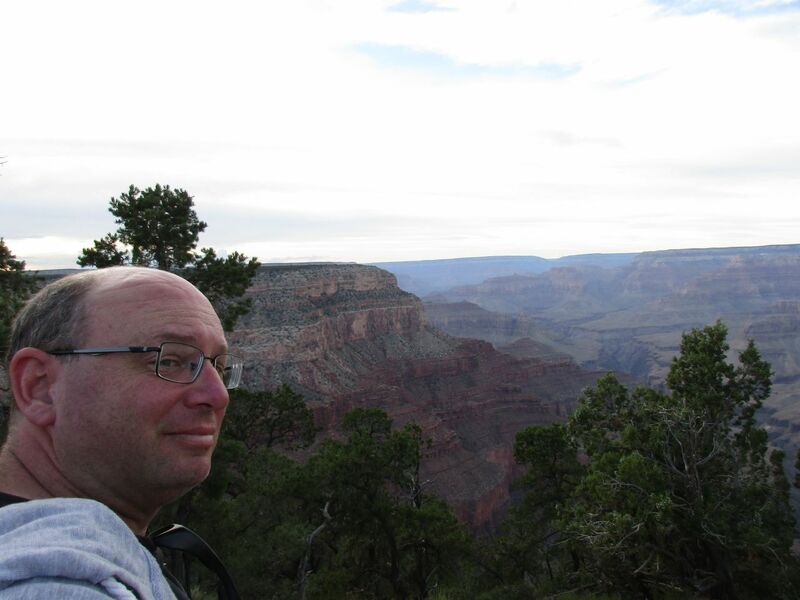 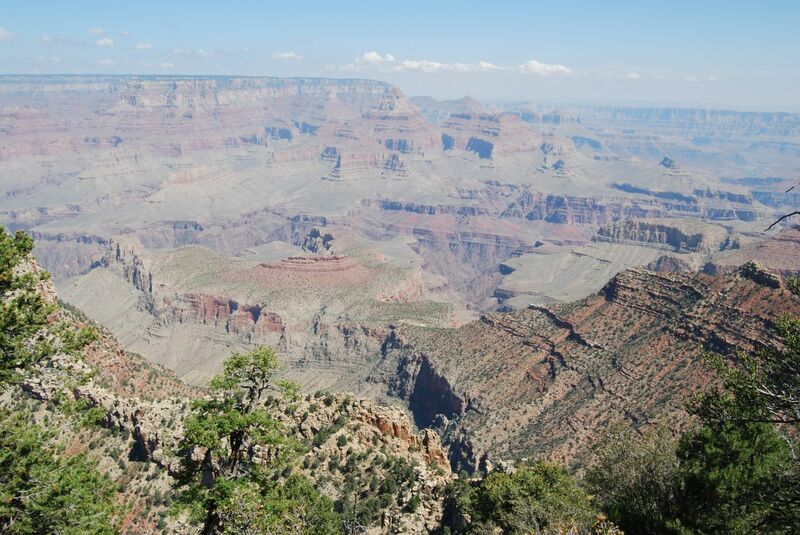 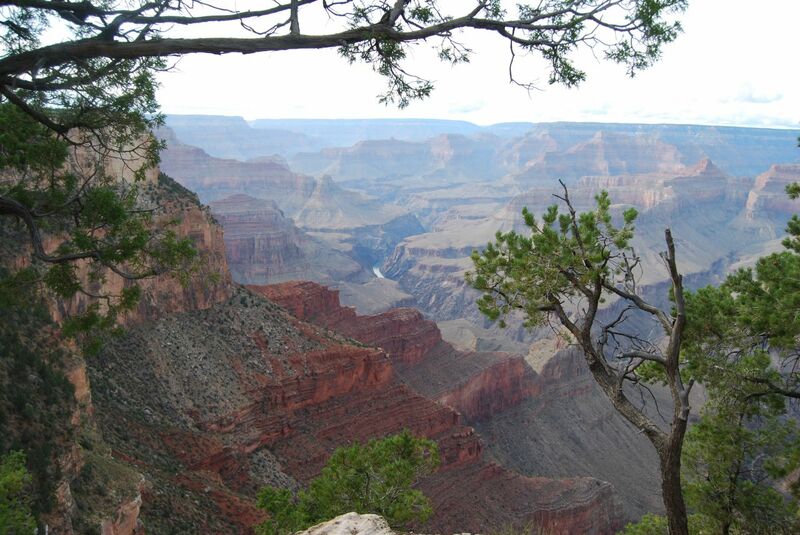 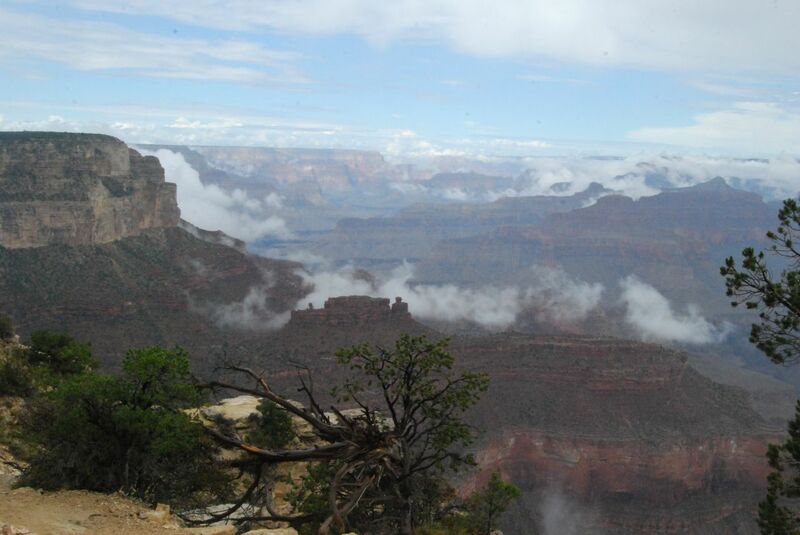 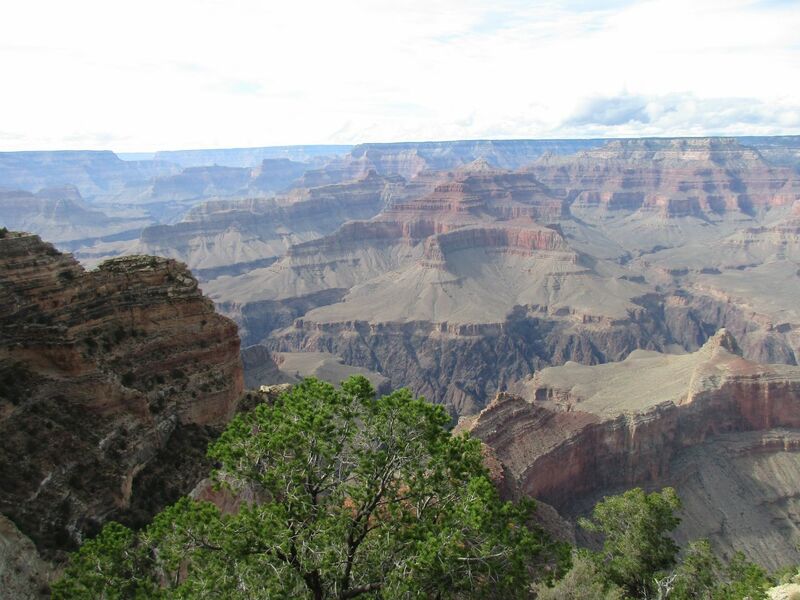 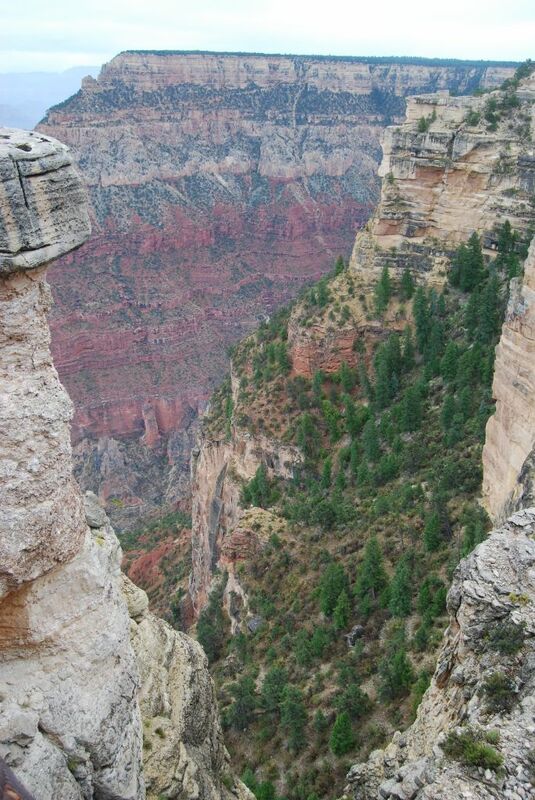 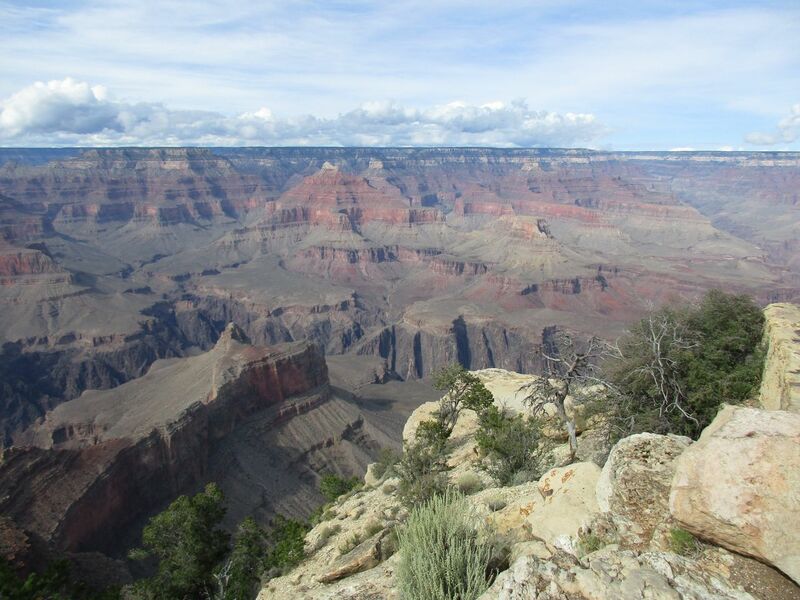 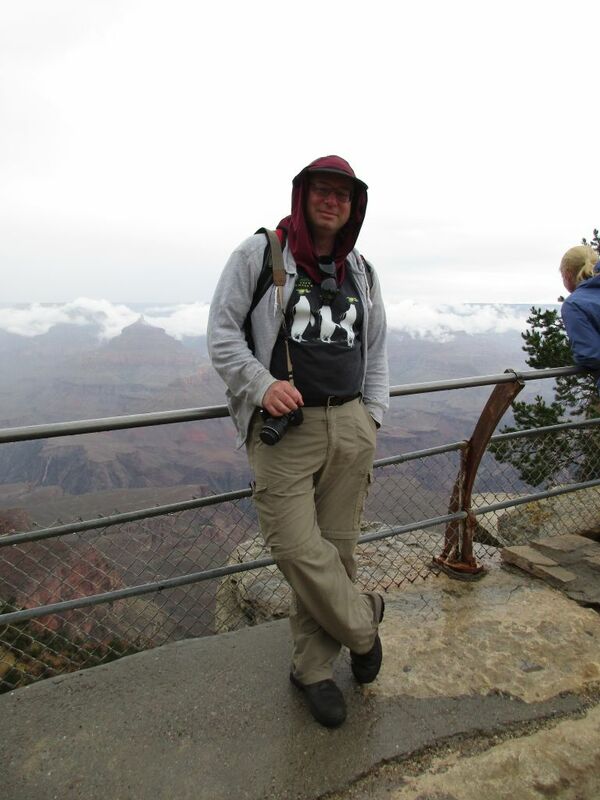 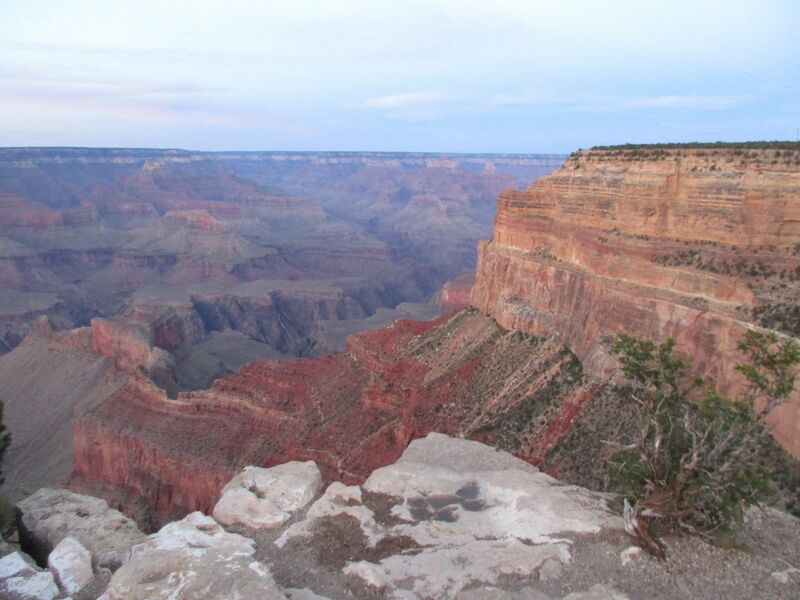 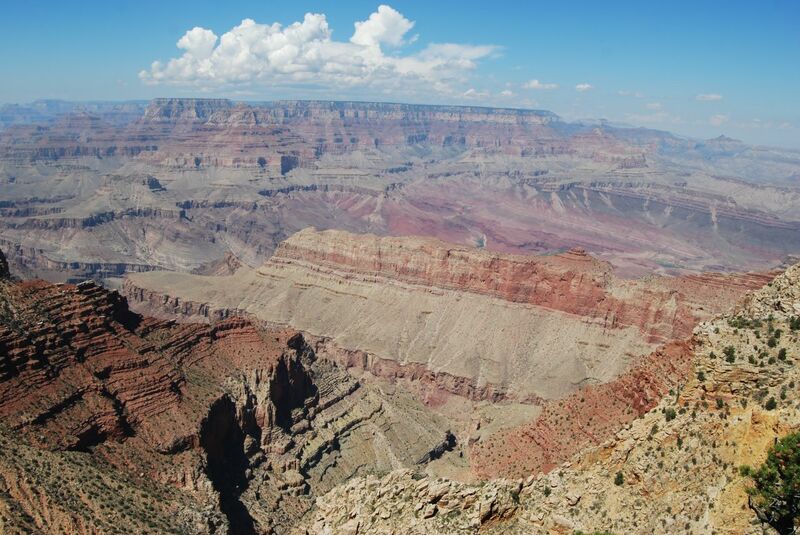 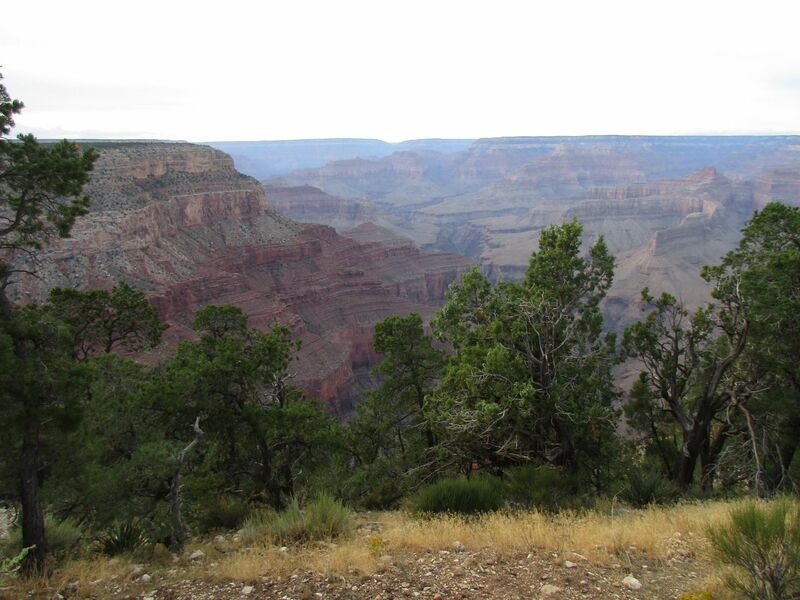 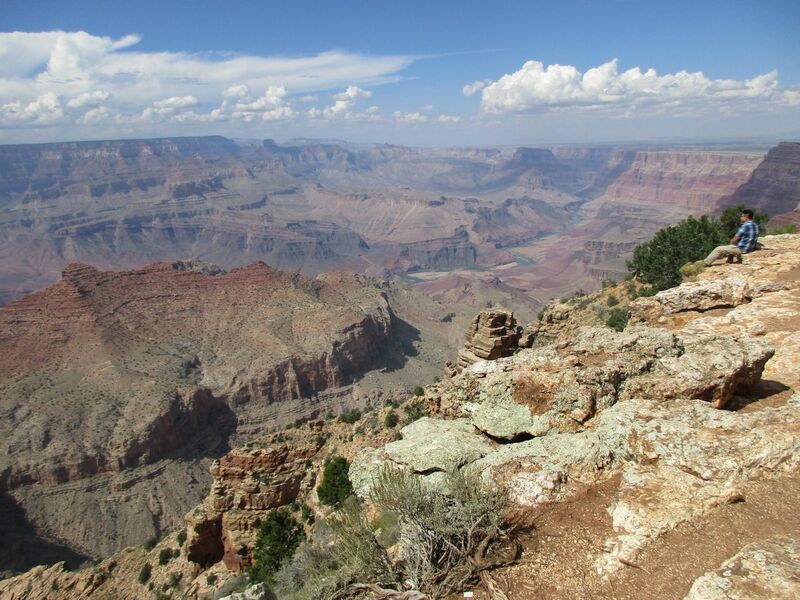 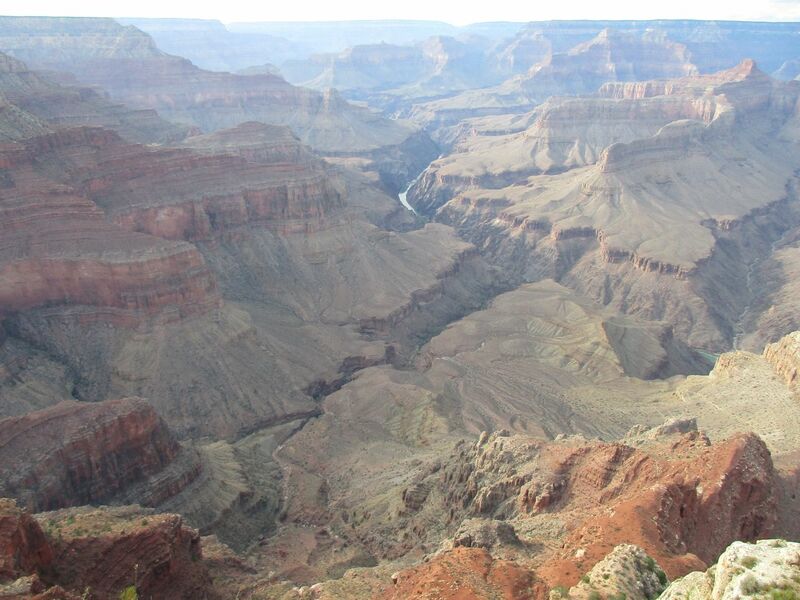 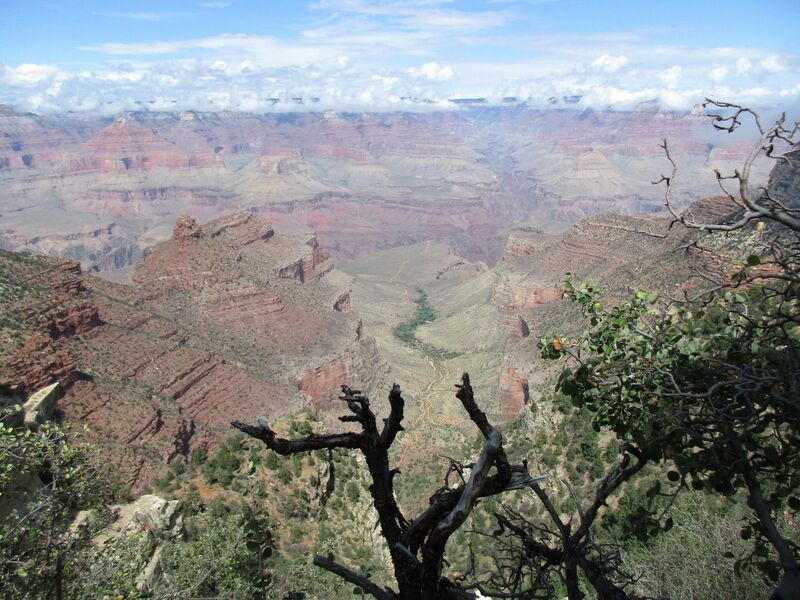 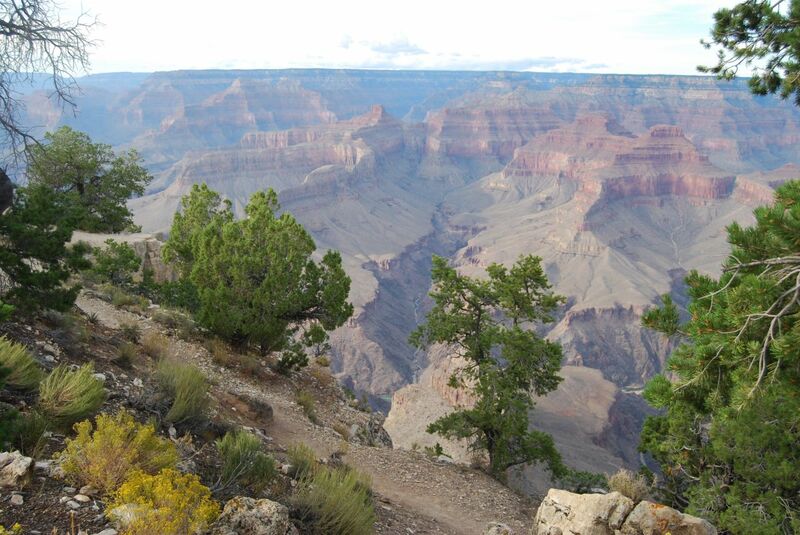 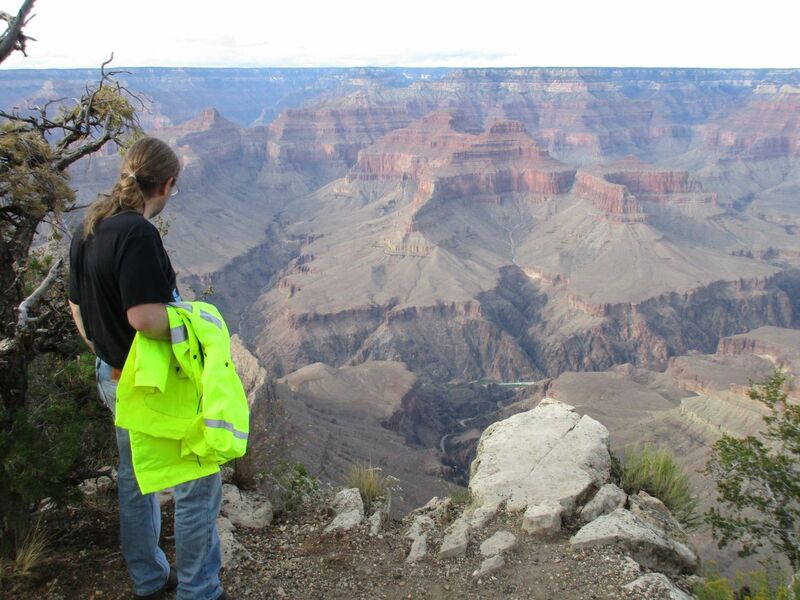 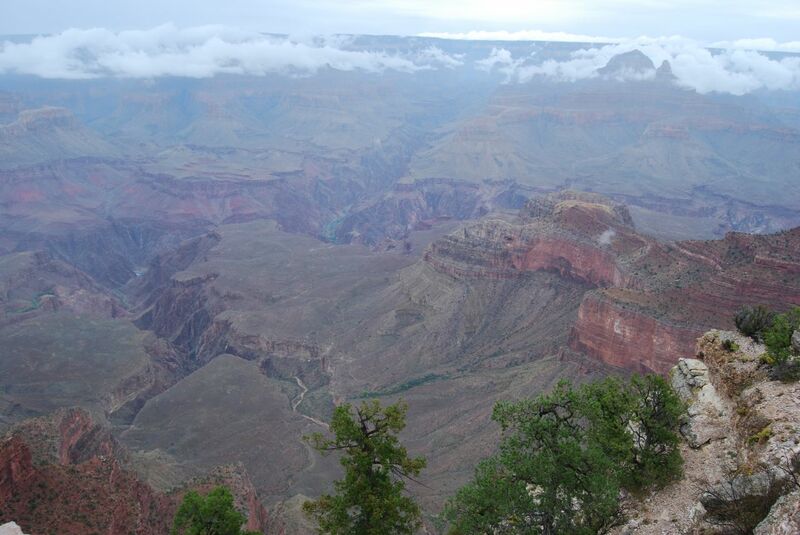 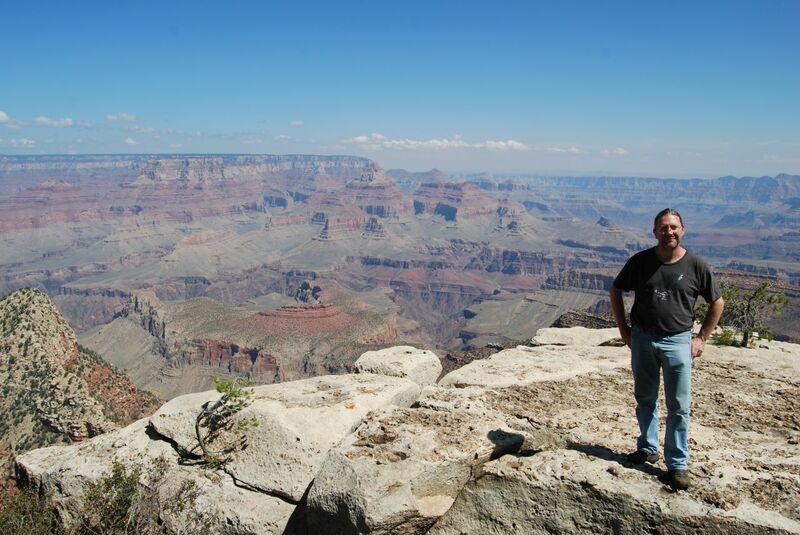 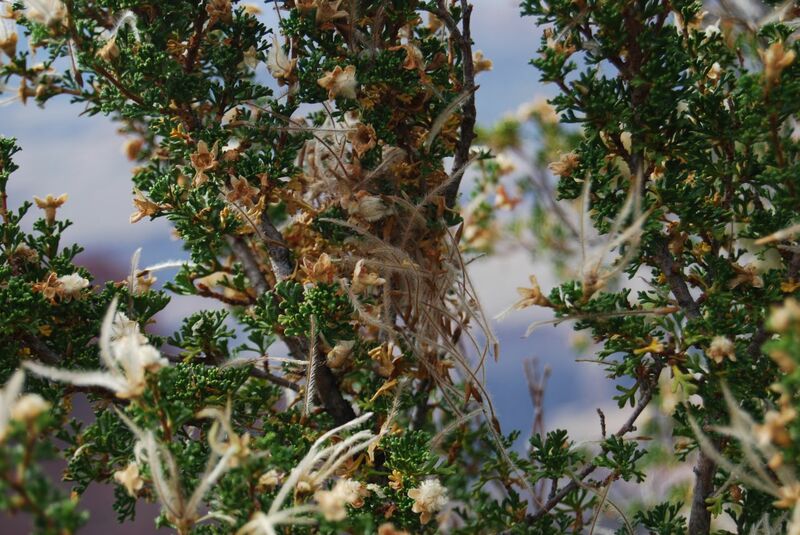 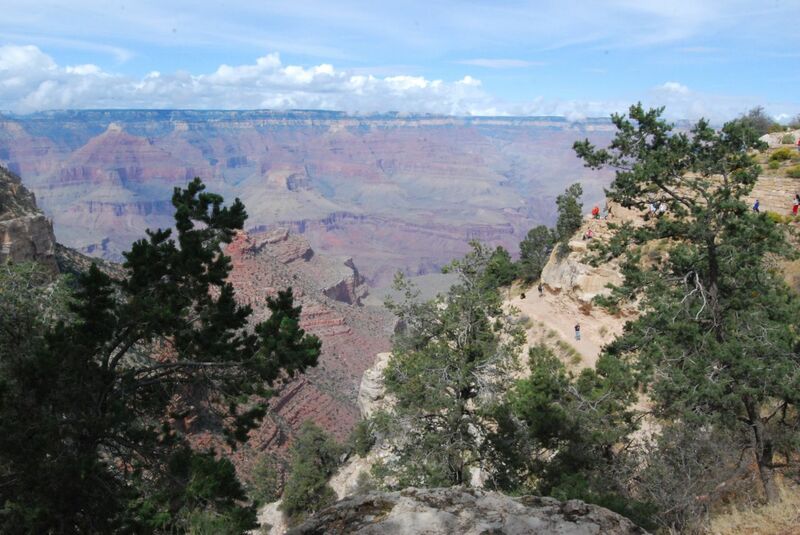 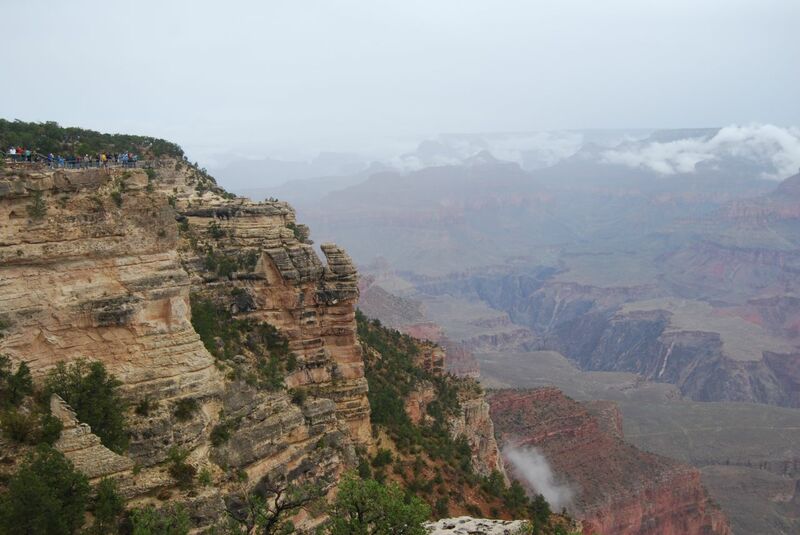 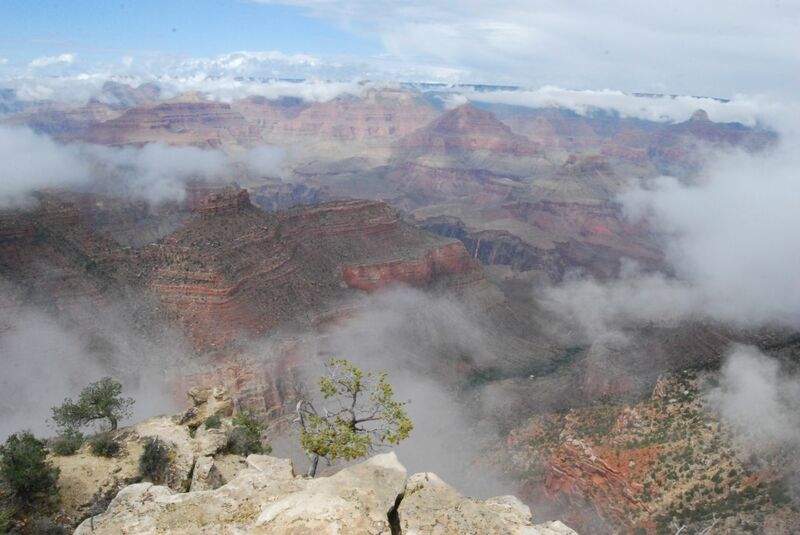 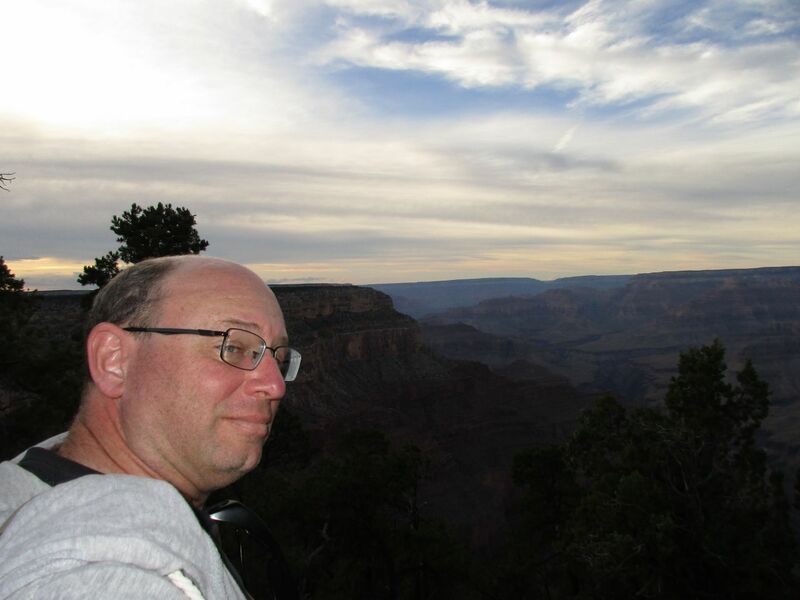 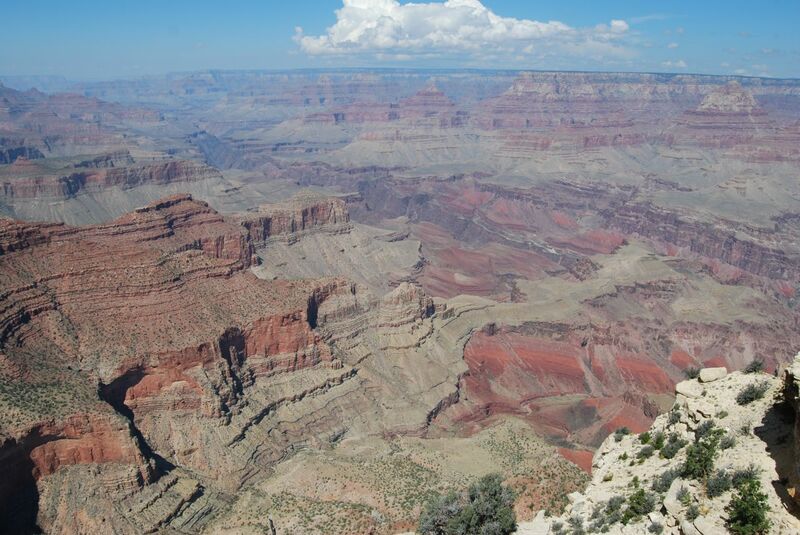 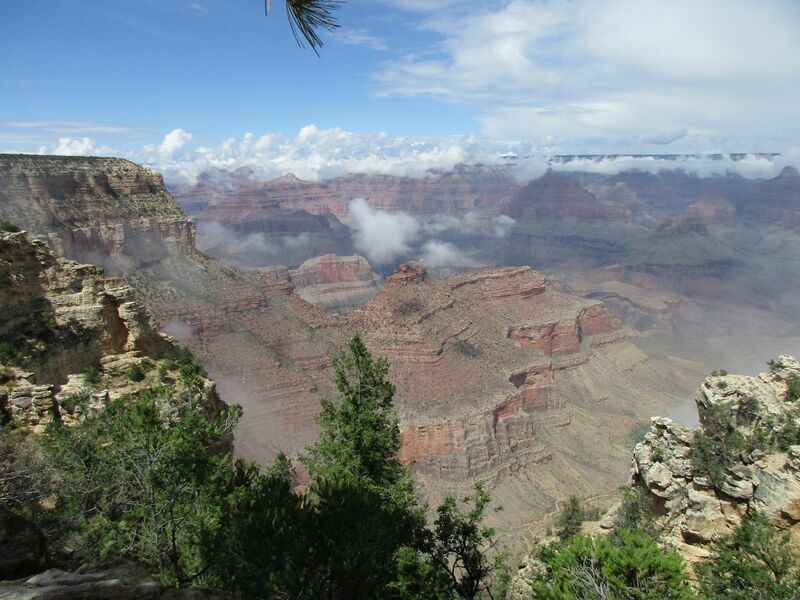 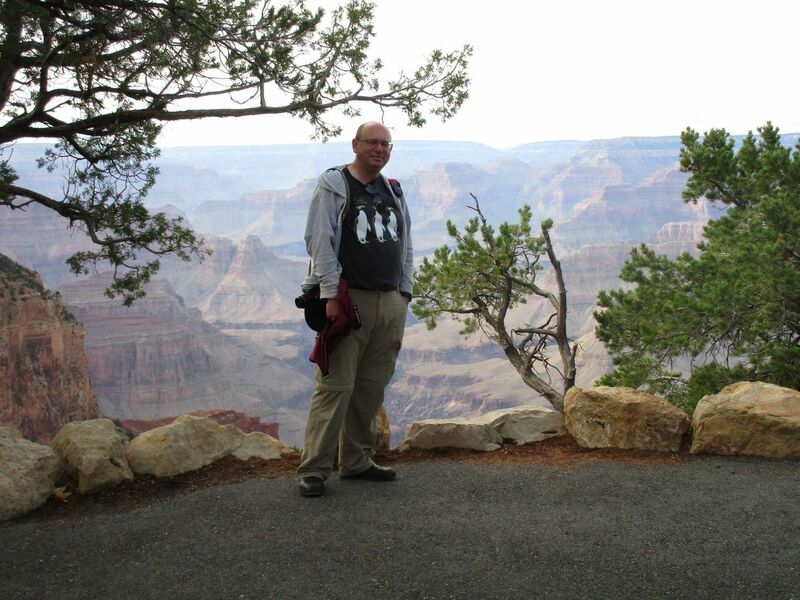 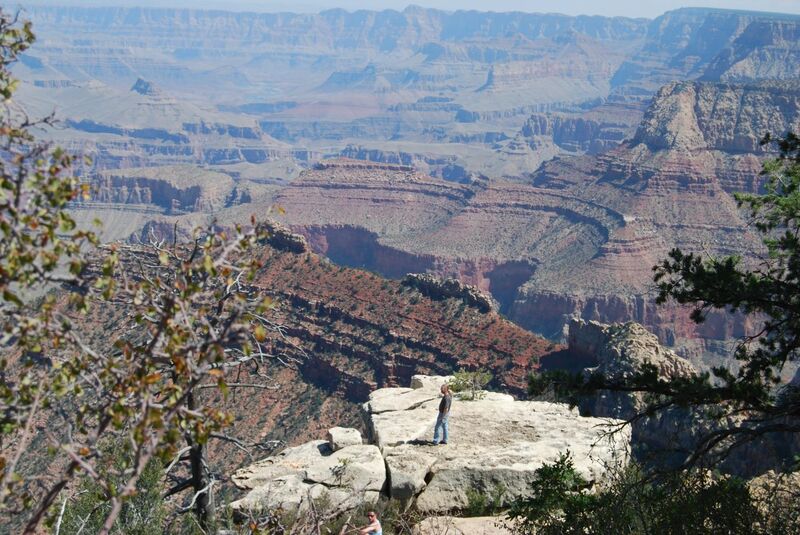 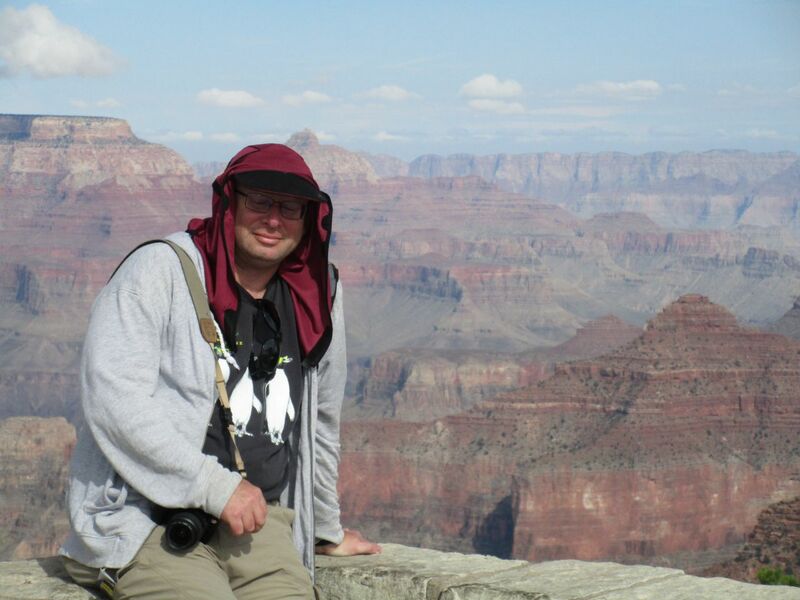 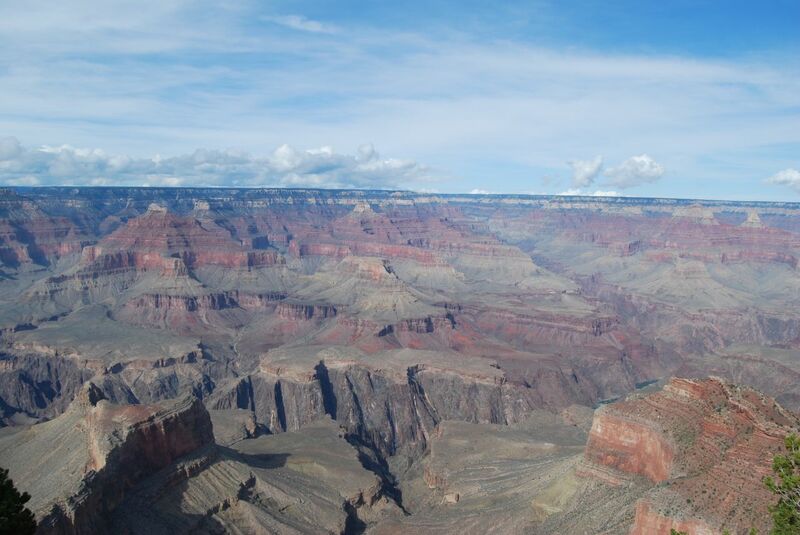 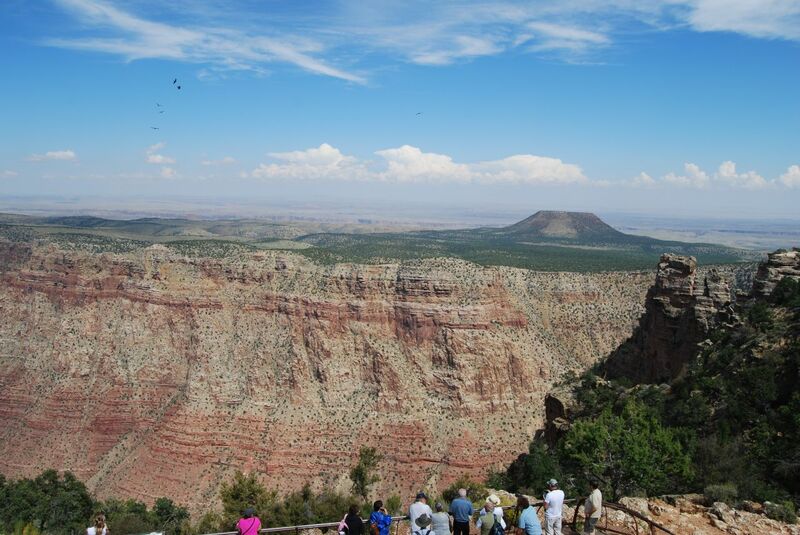 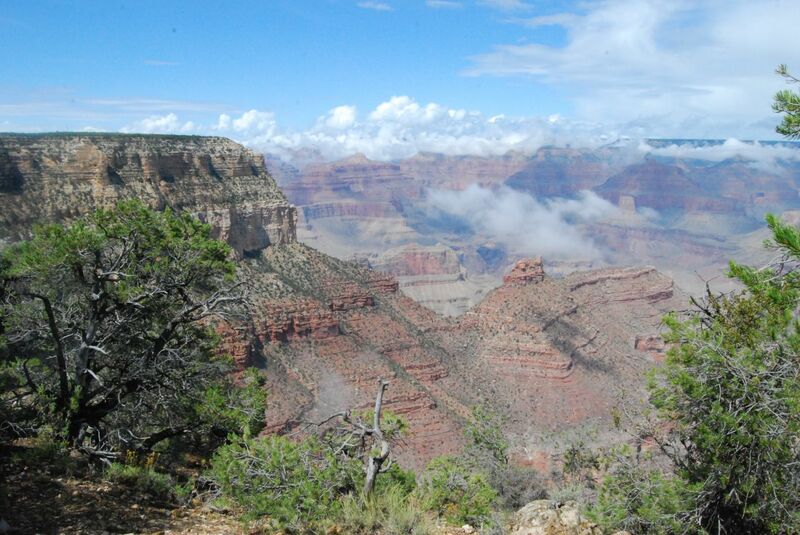 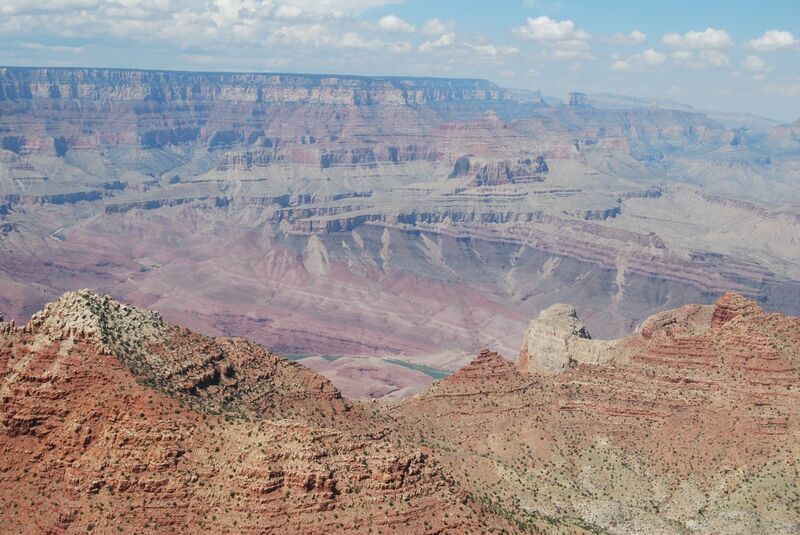 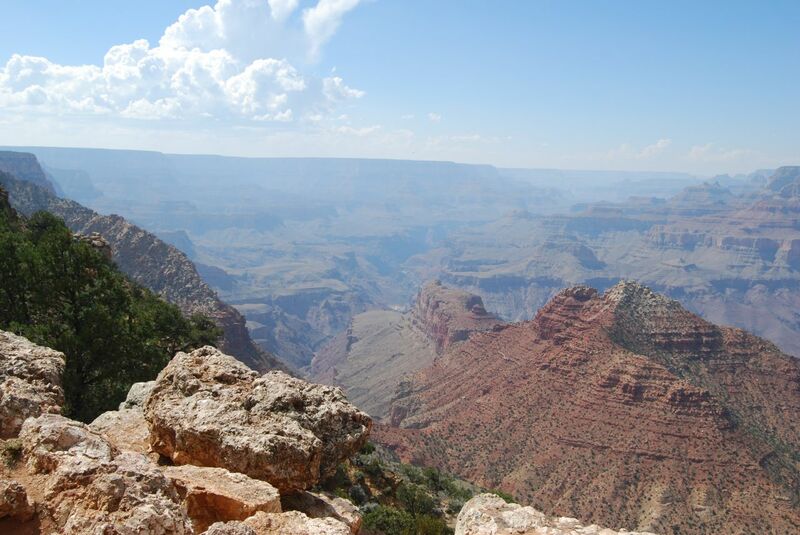 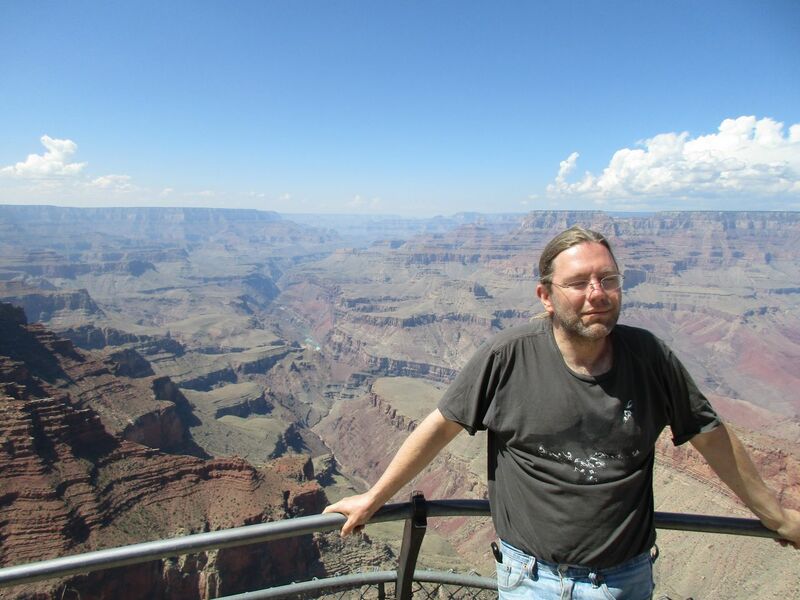 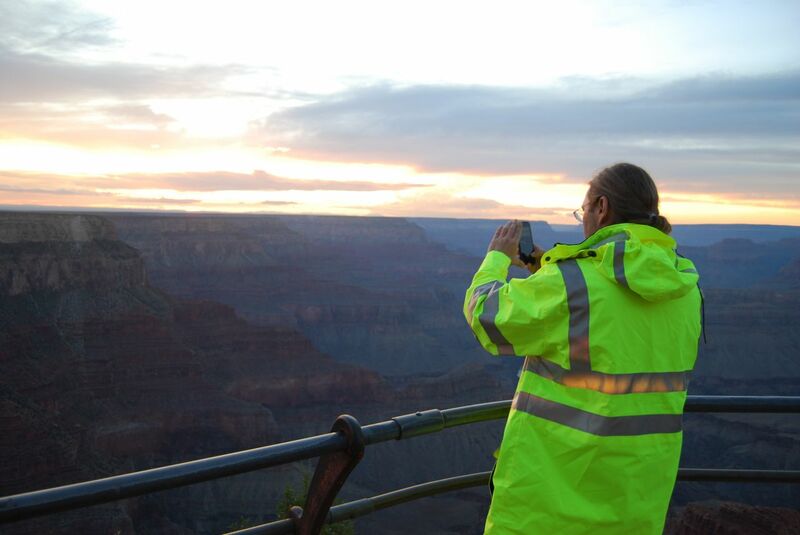 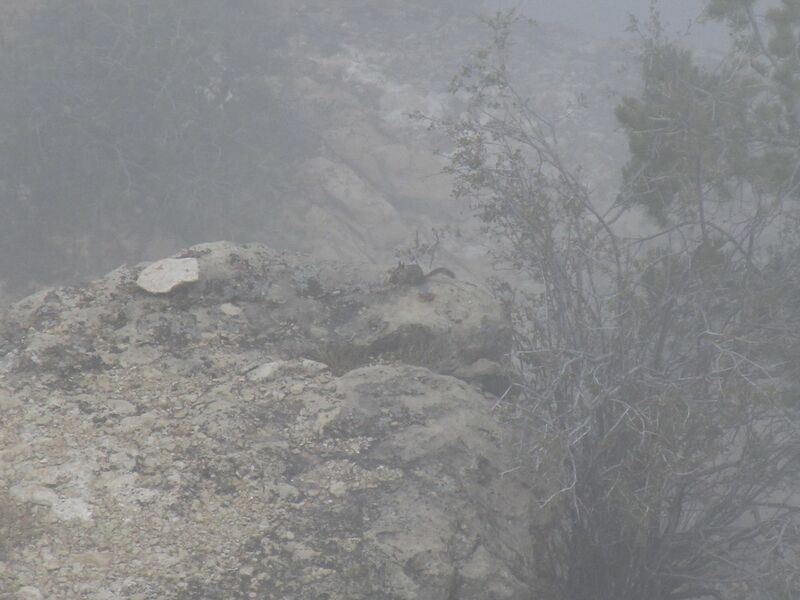 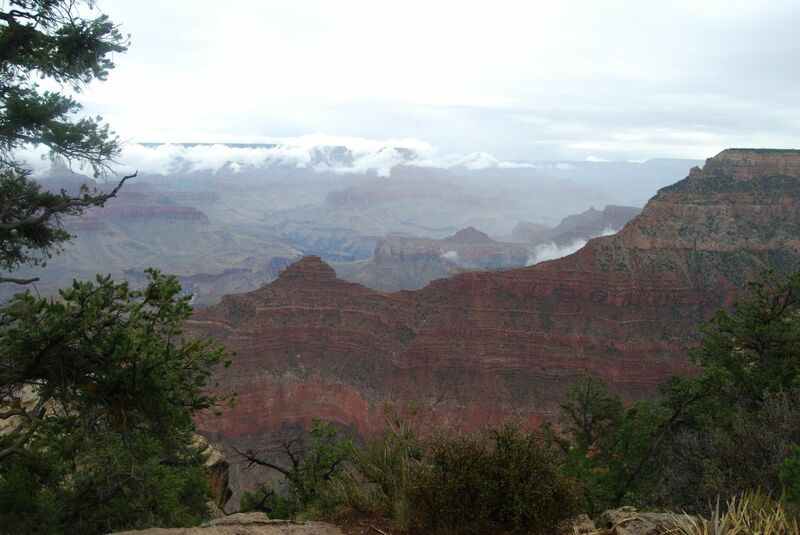 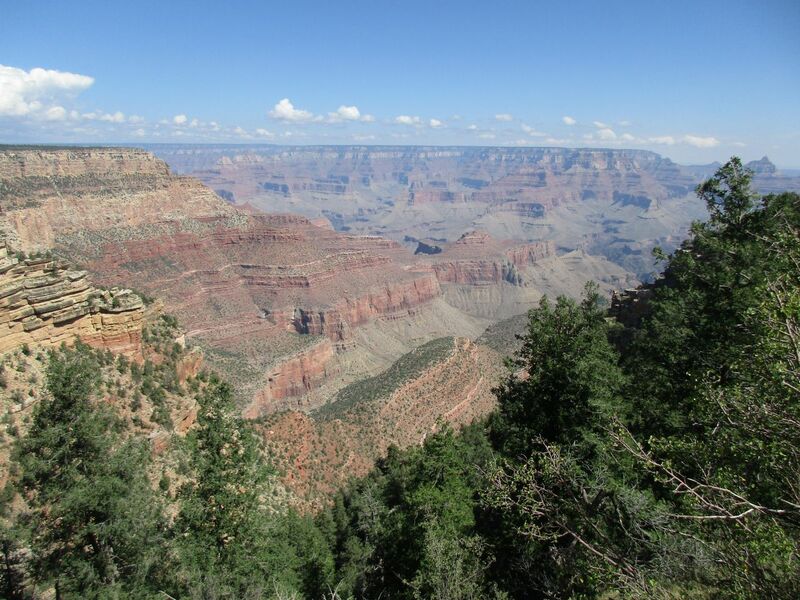 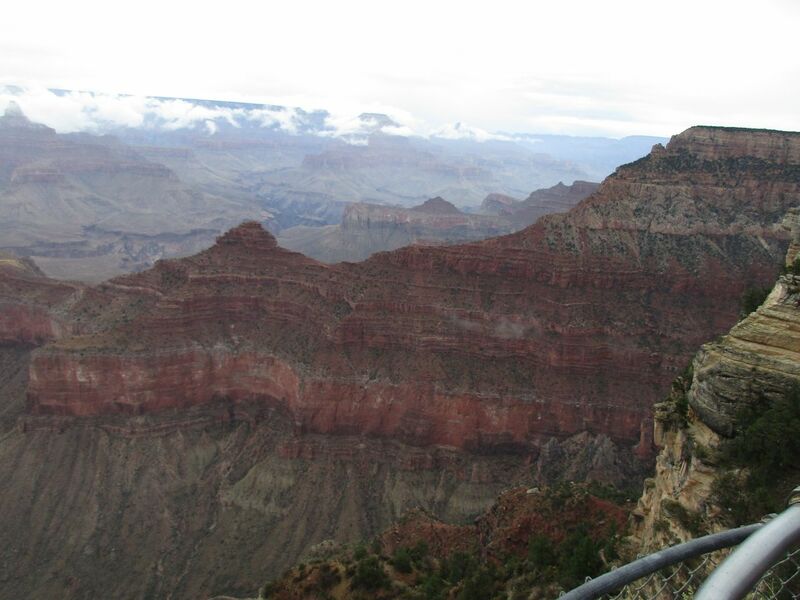 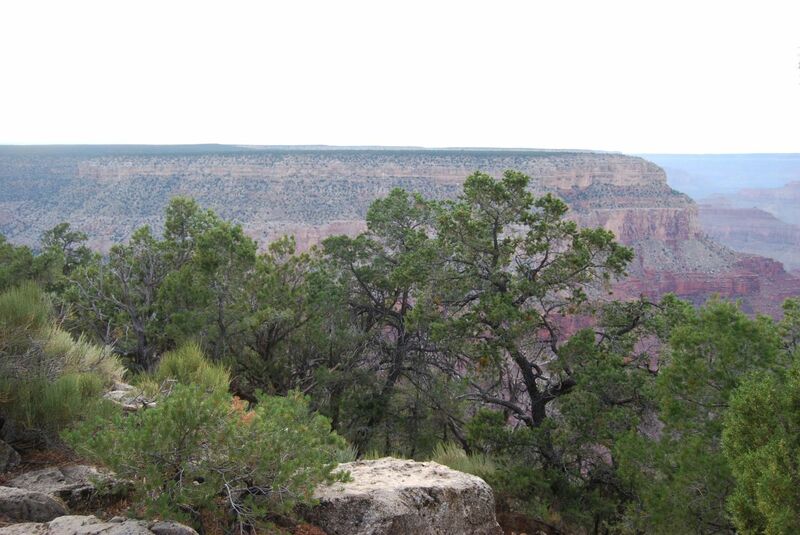 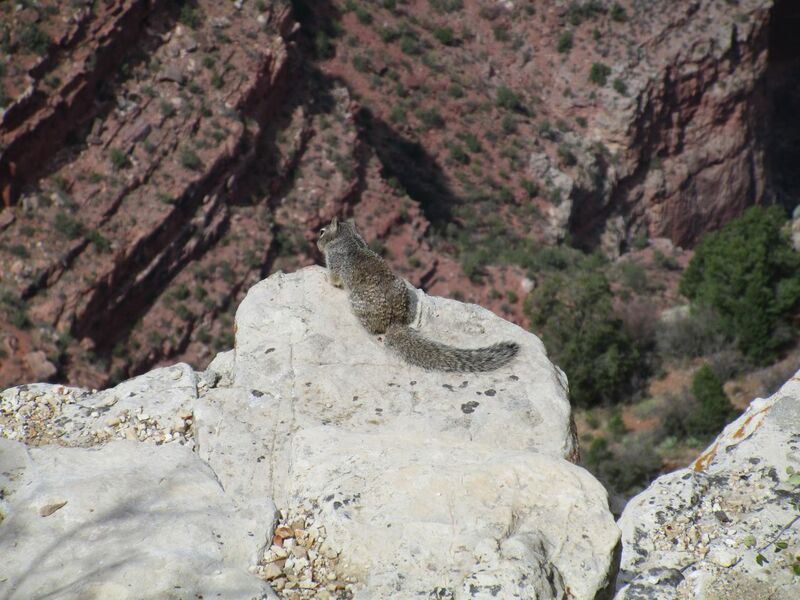 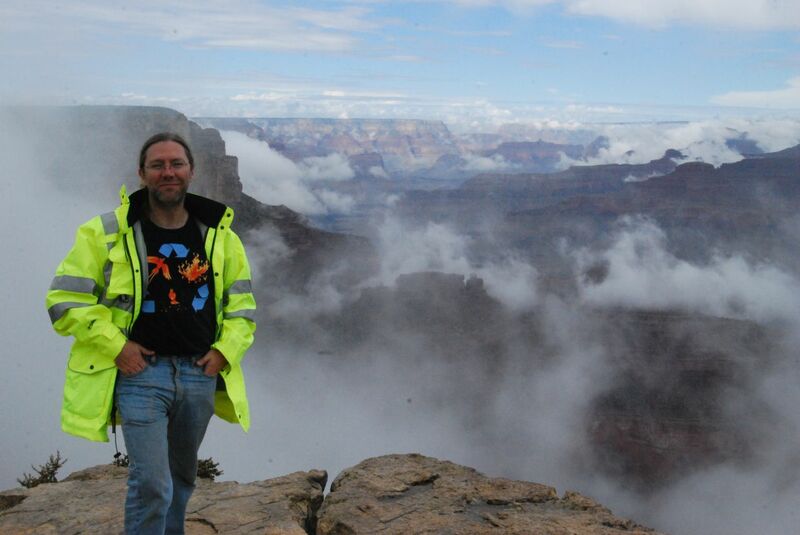 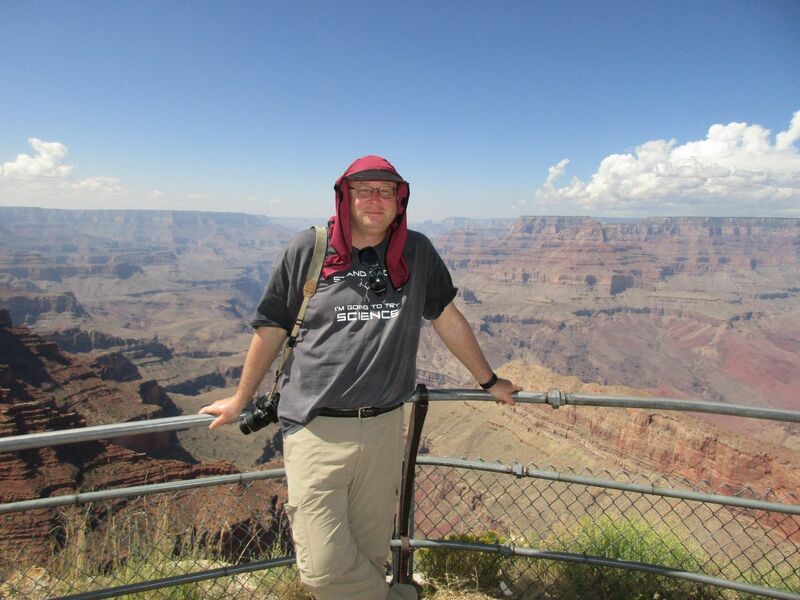 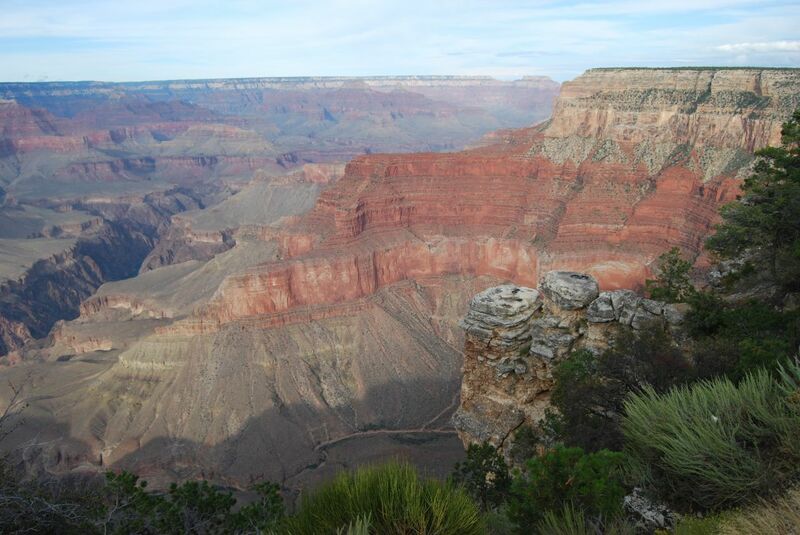 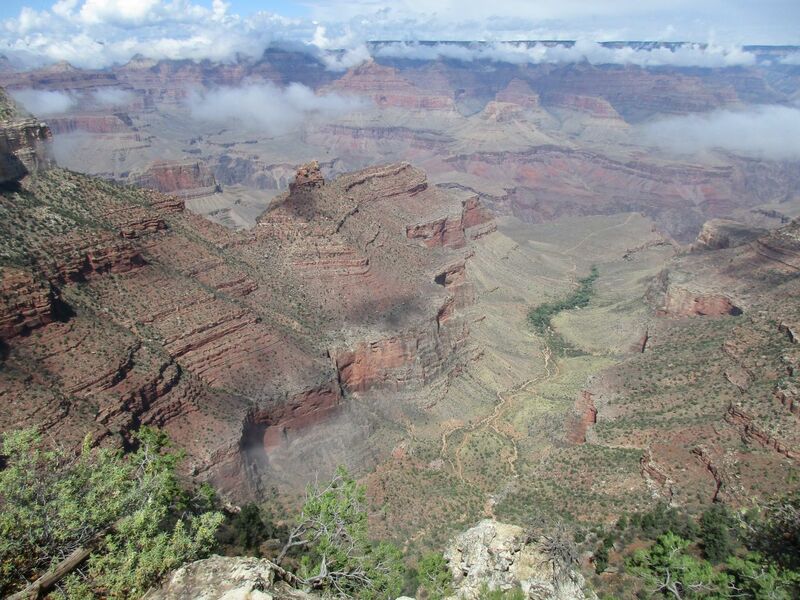 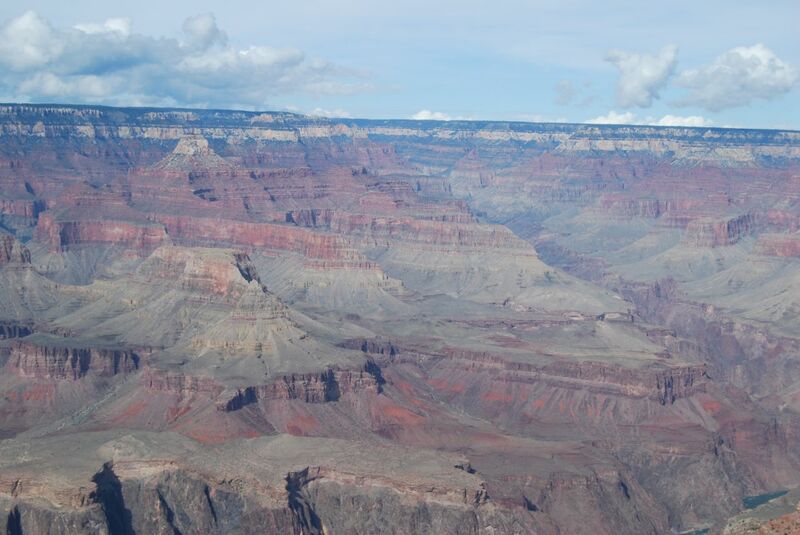 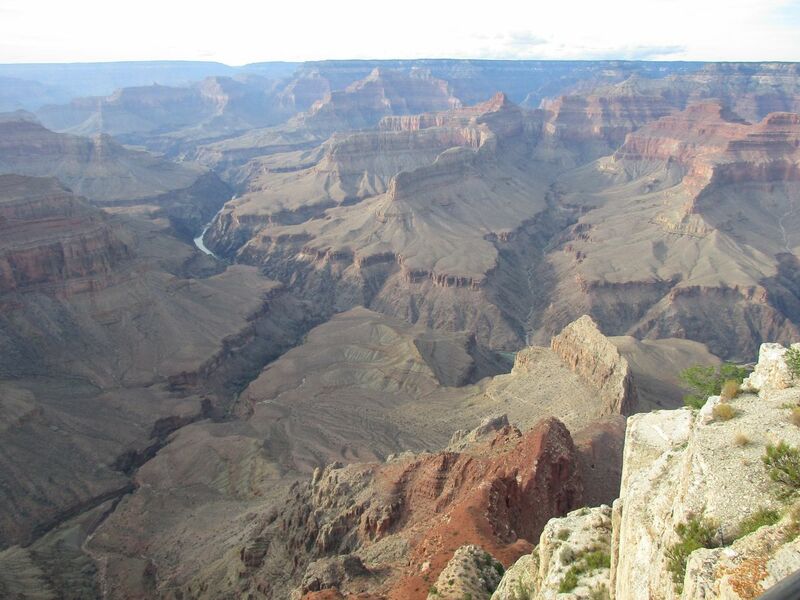 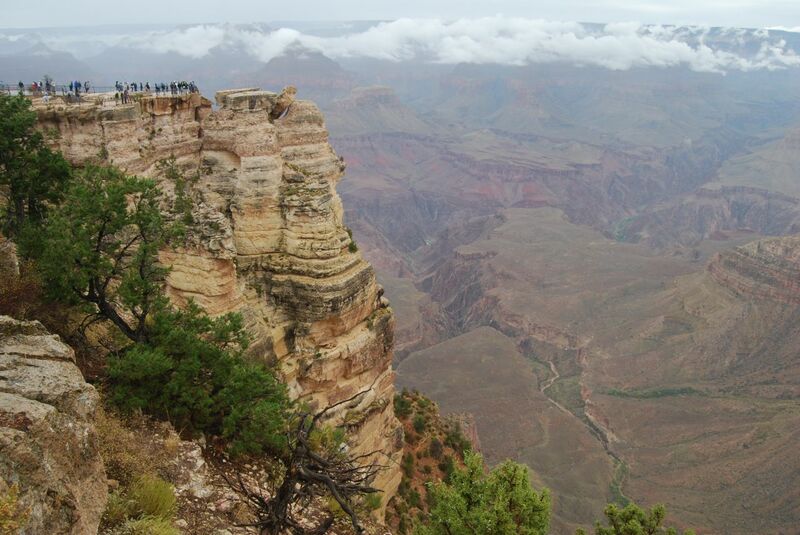 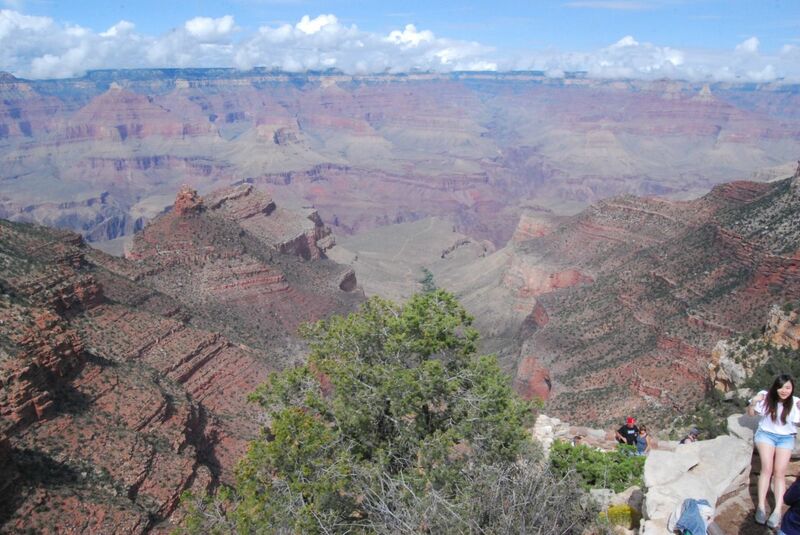 One of the main things to do on this trip was to see the Grand Canyon. 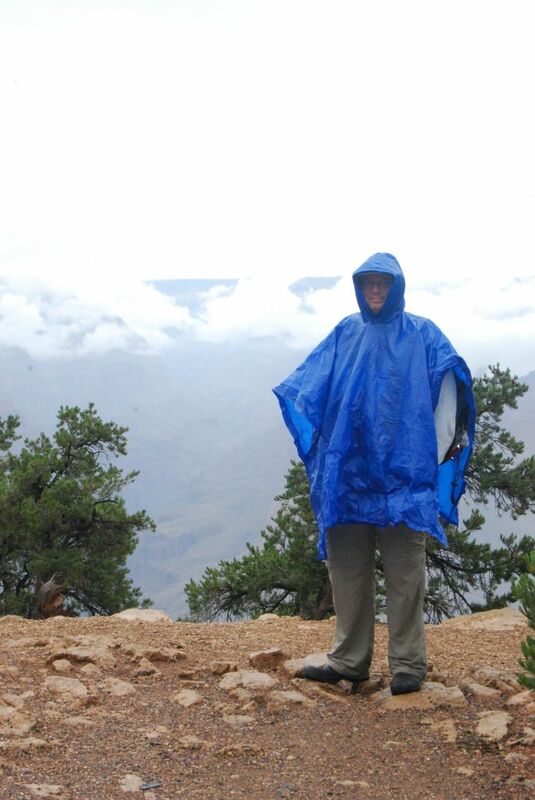 I'm not even quite sure why. 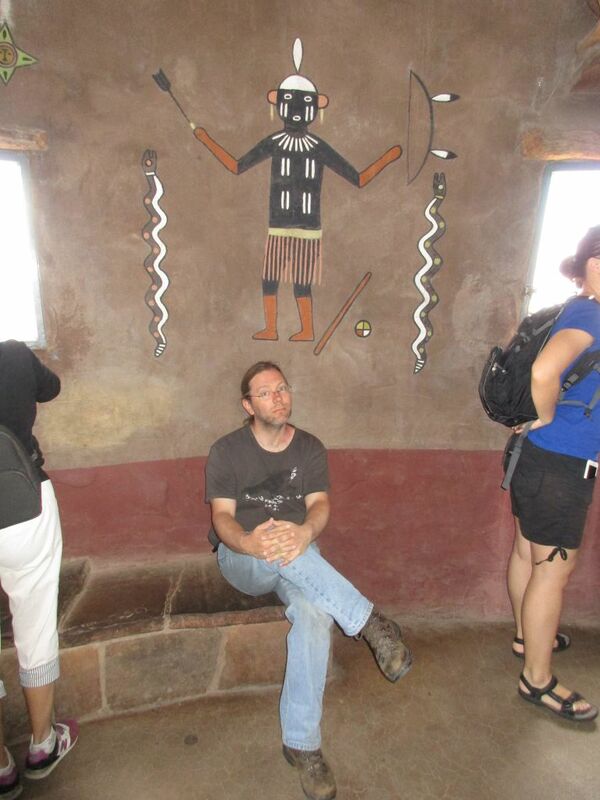 I tend to like unique things and I had no idea what to expect. 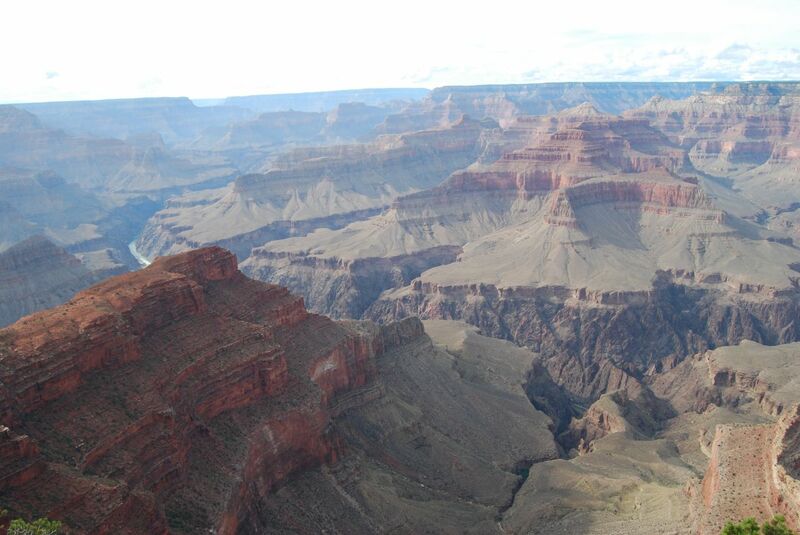 Ok, I knew it was a canyon, I knew it was big, but it wasn't until we got there that I started to realise just how BIG it was. 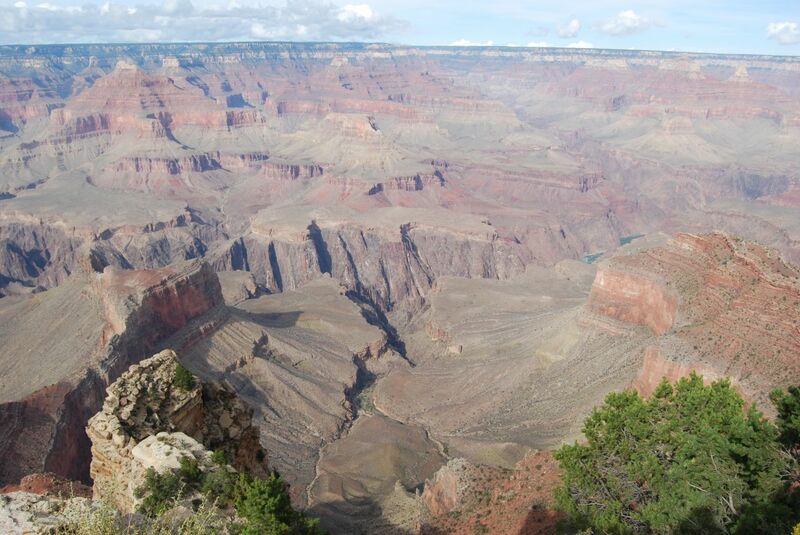 To put it mildly, it is a very impressive hole in the ground. 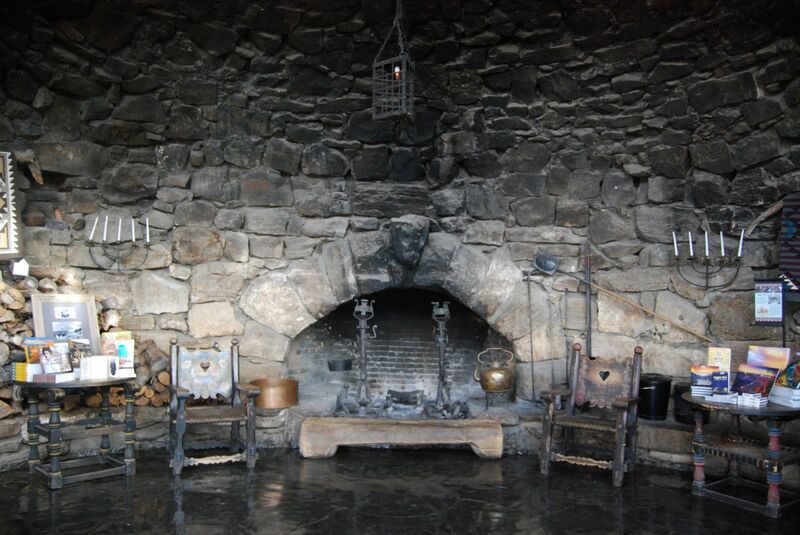 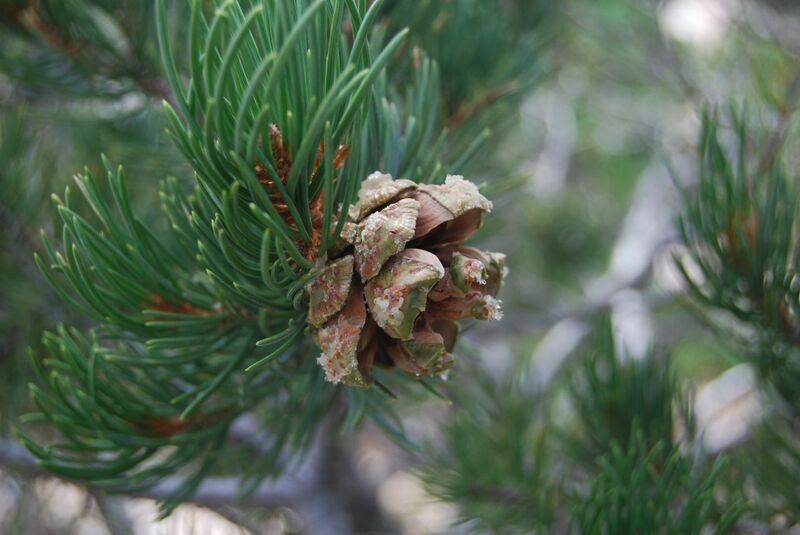 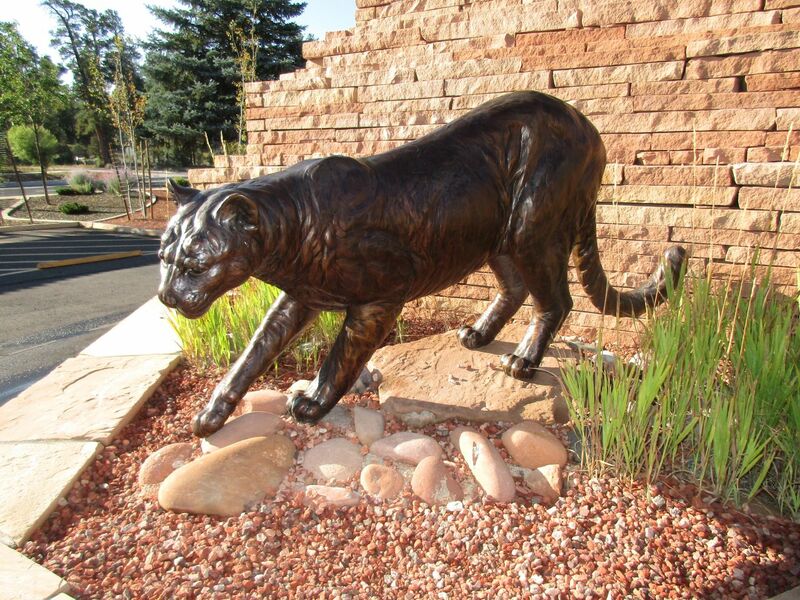 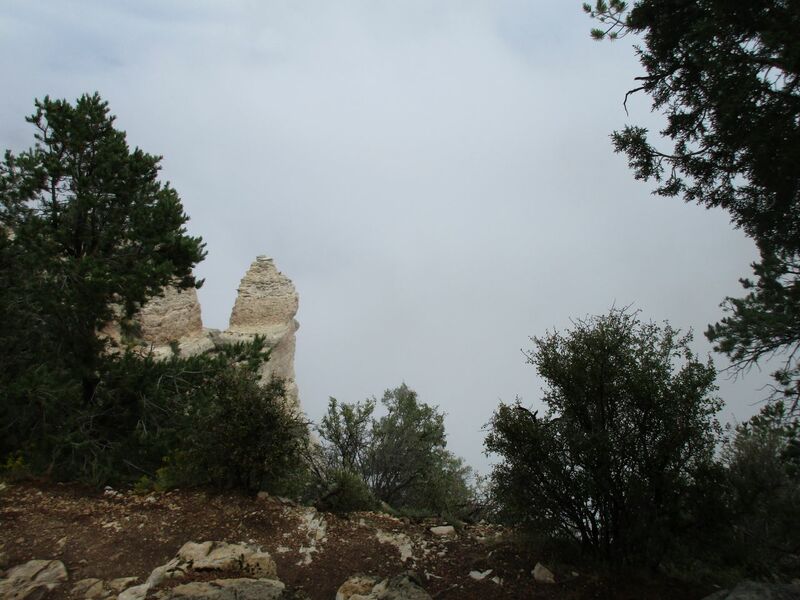 We spent the night in Tusayan, then the following morning headed up to the national park. 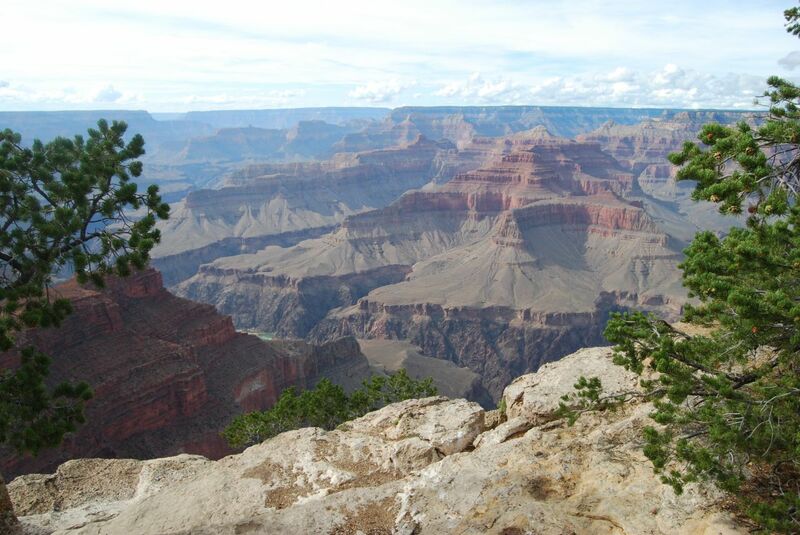 The US National Parks do a very good job. 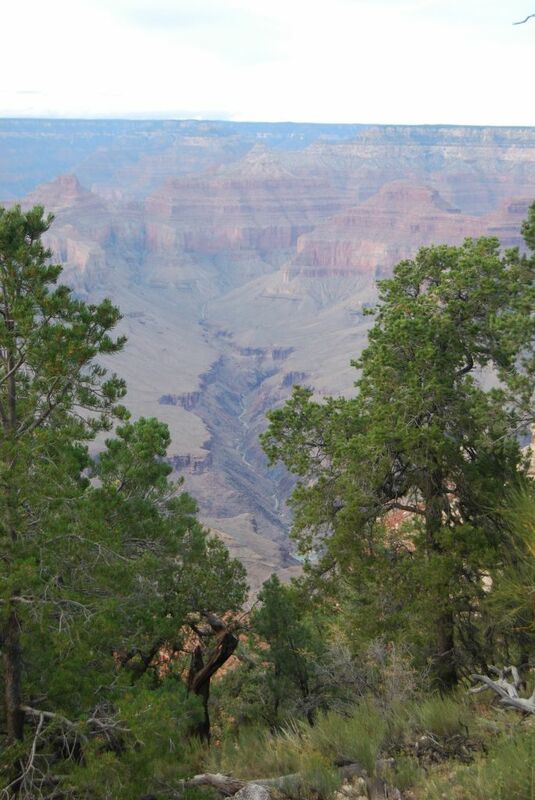 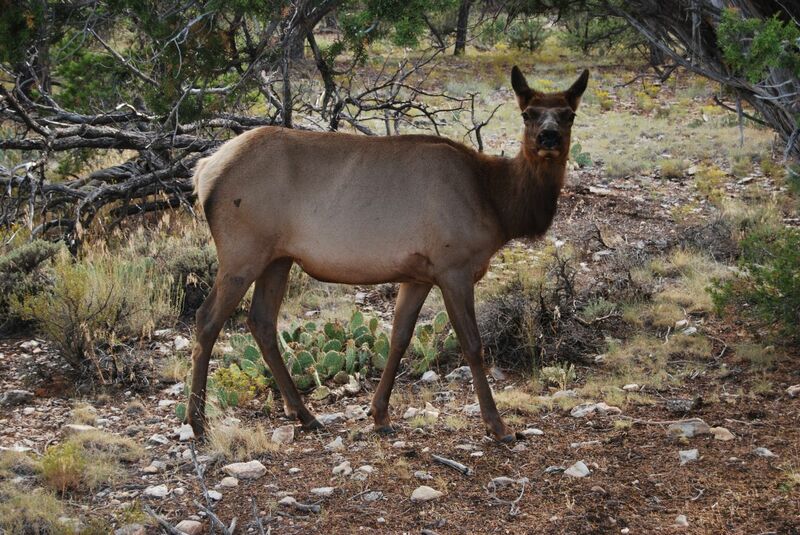 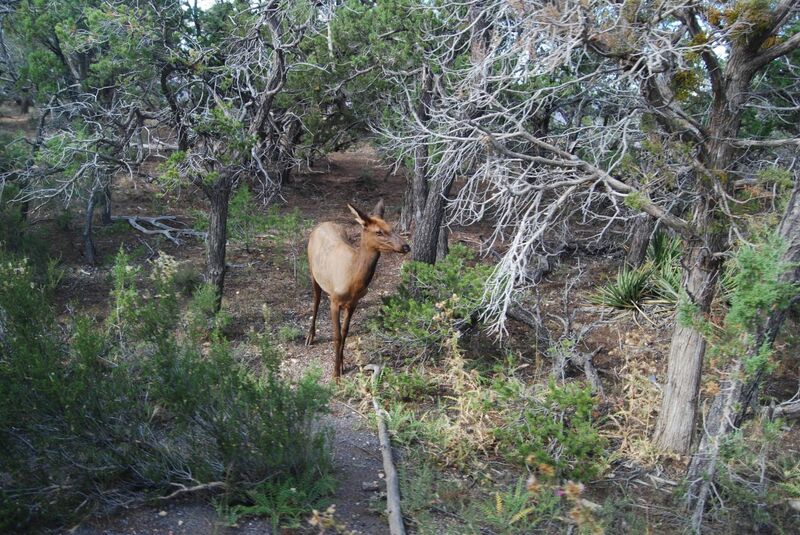 You have to park and they provide transport up and down the edge of the rim. 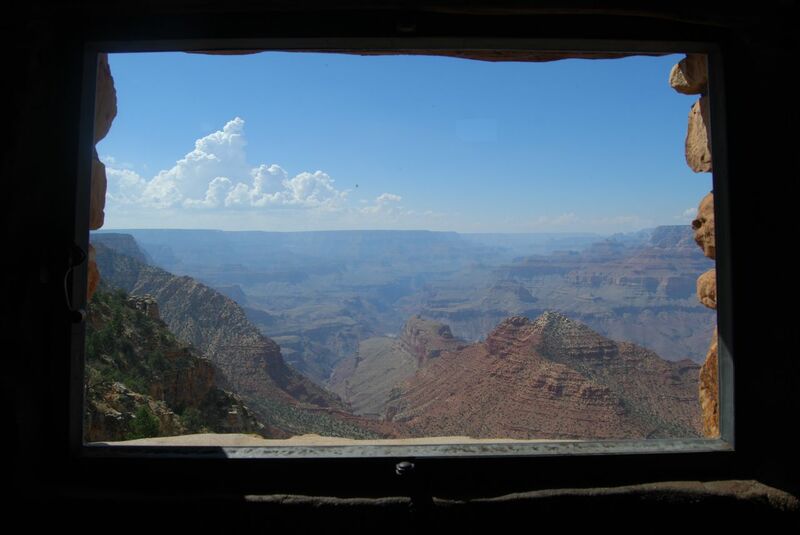 Free busses every few minutes. 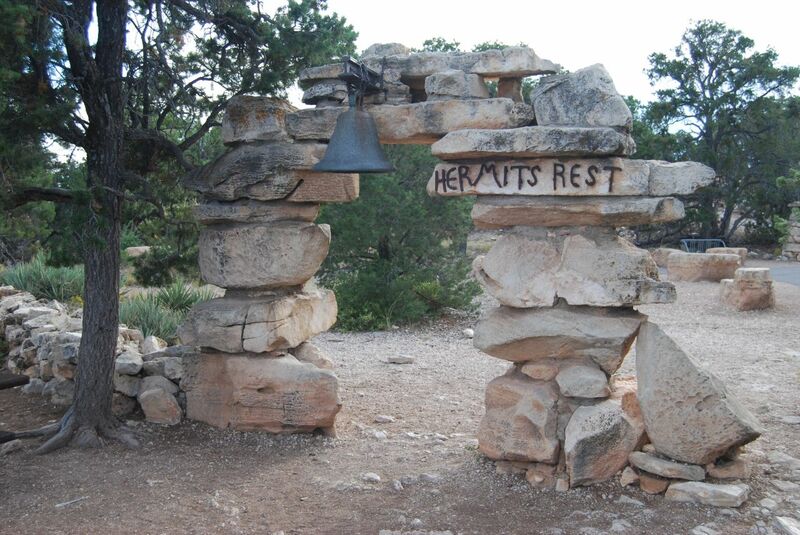 Get on at one stop and get off at another. 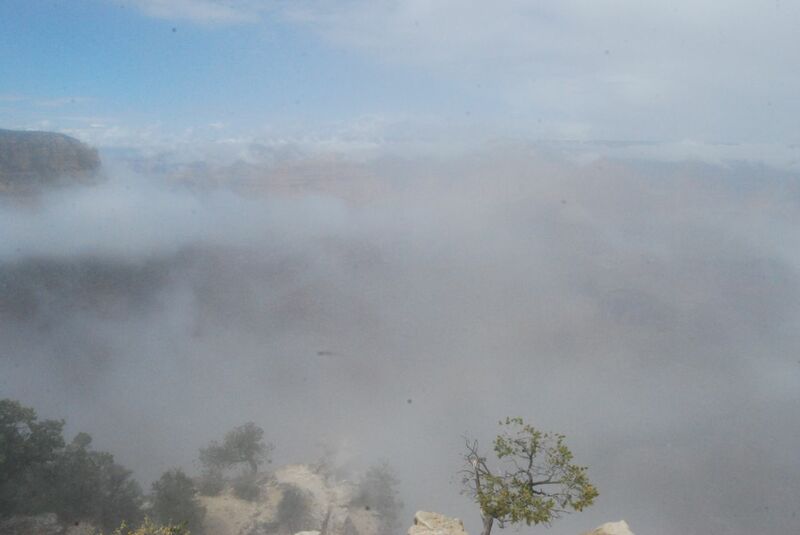 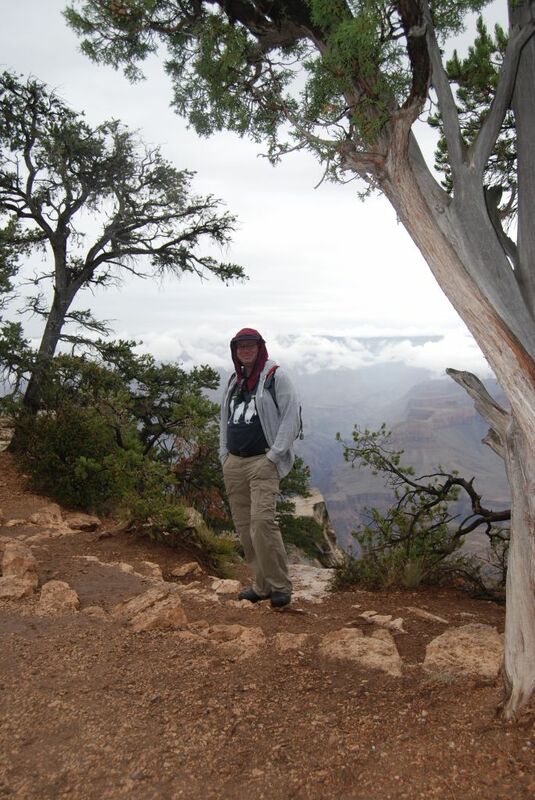 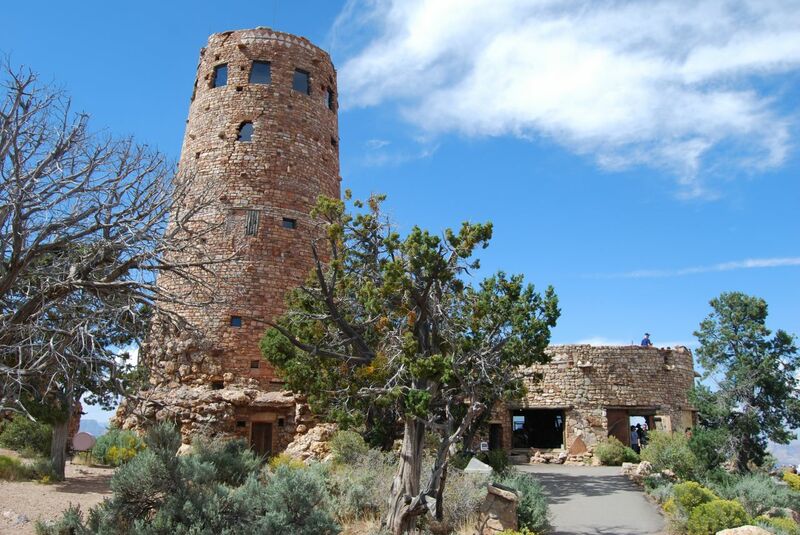 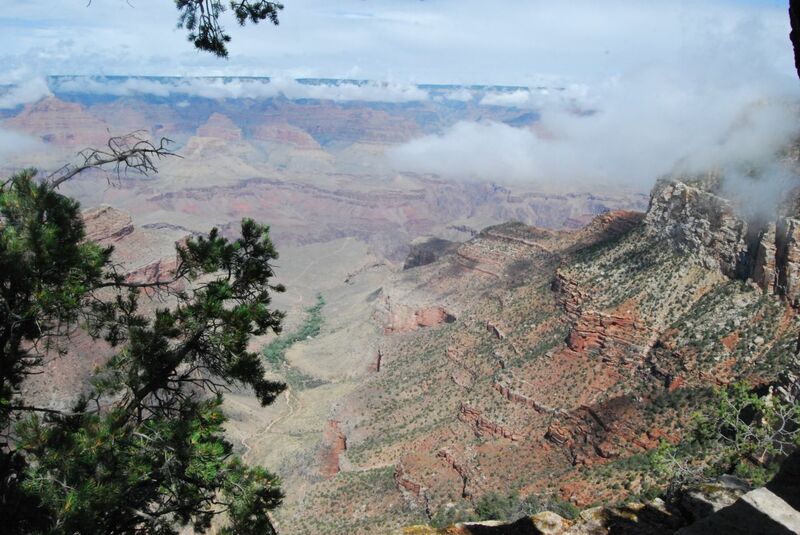 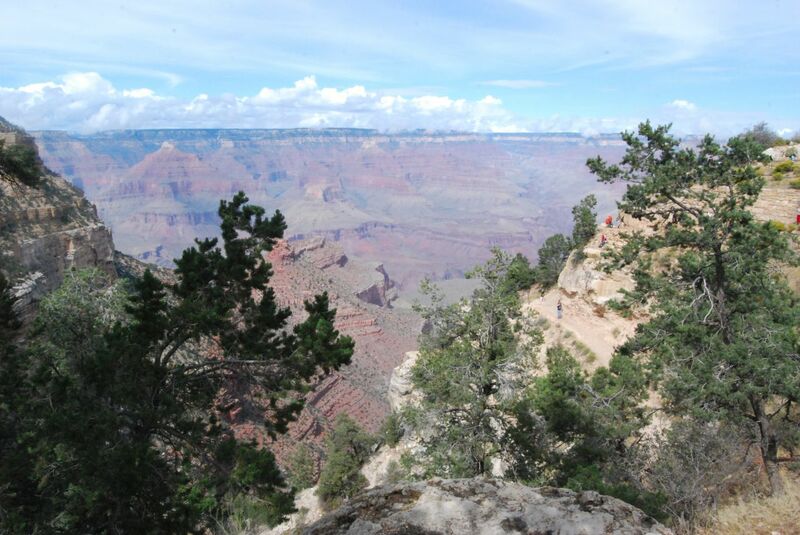 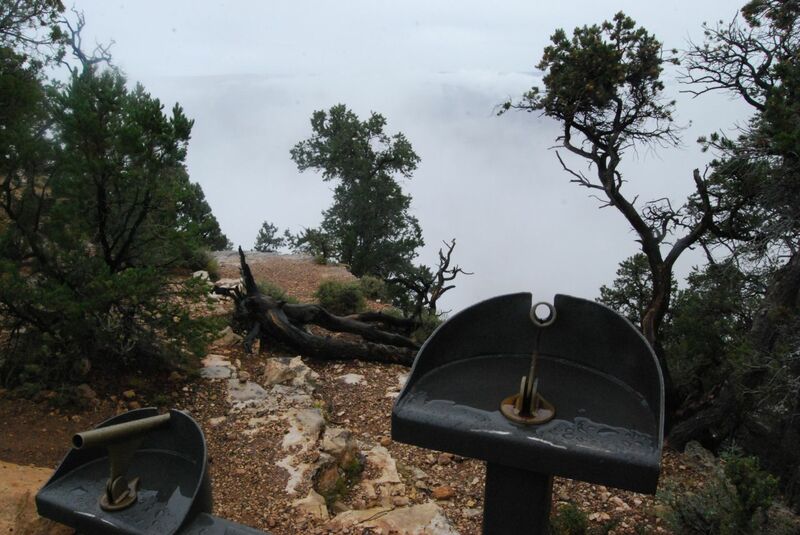 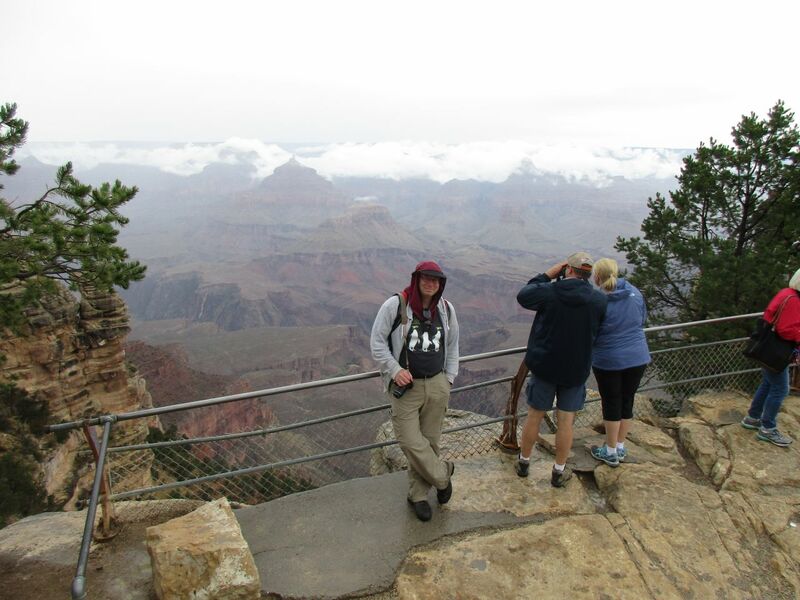 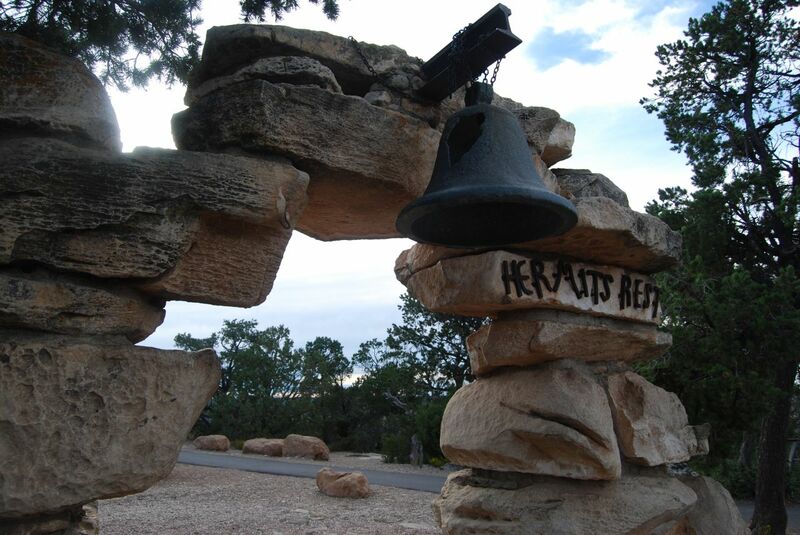 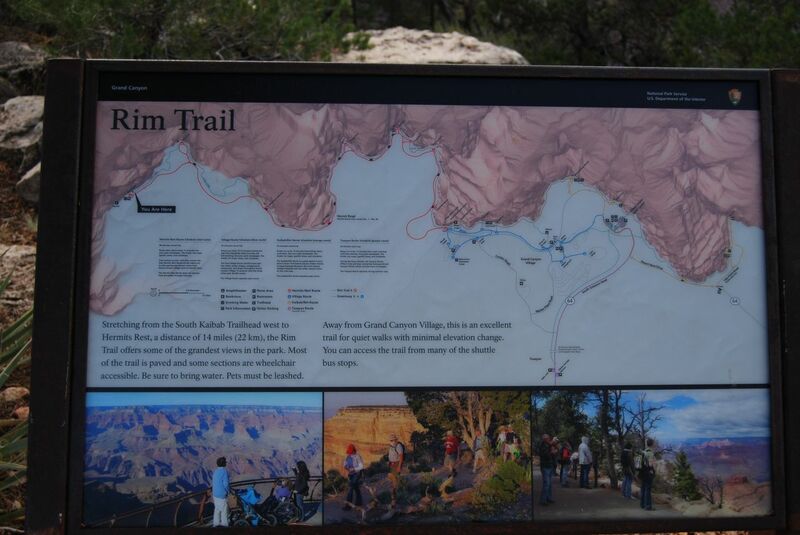 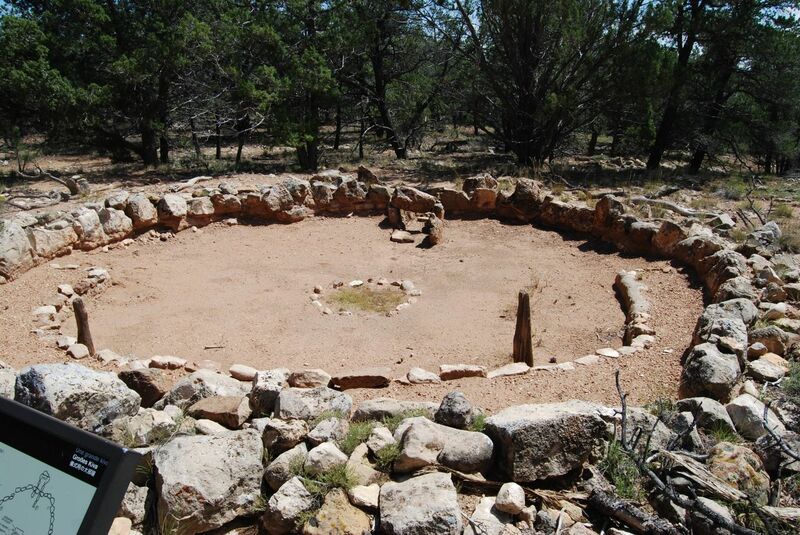 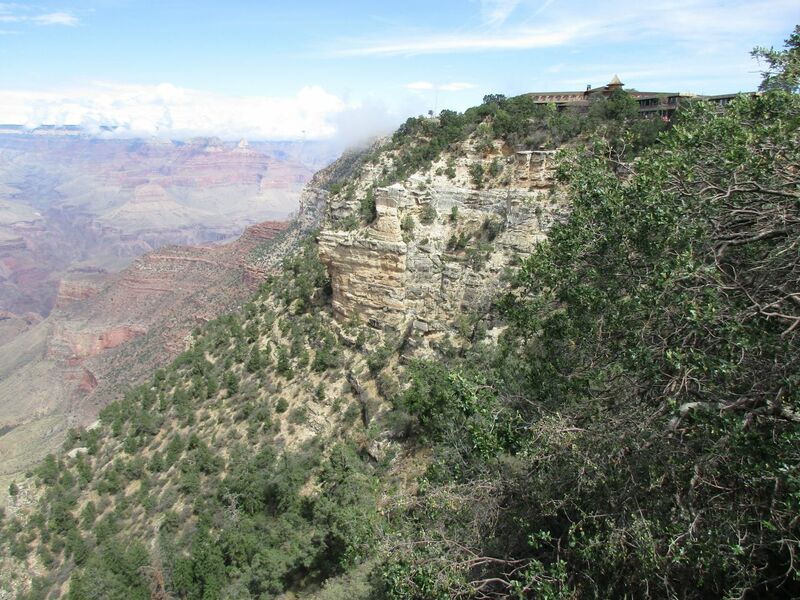 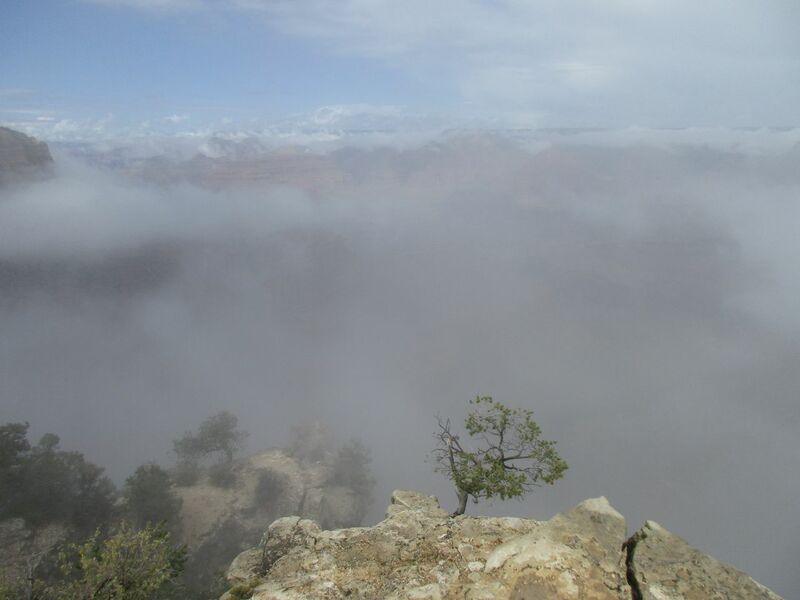 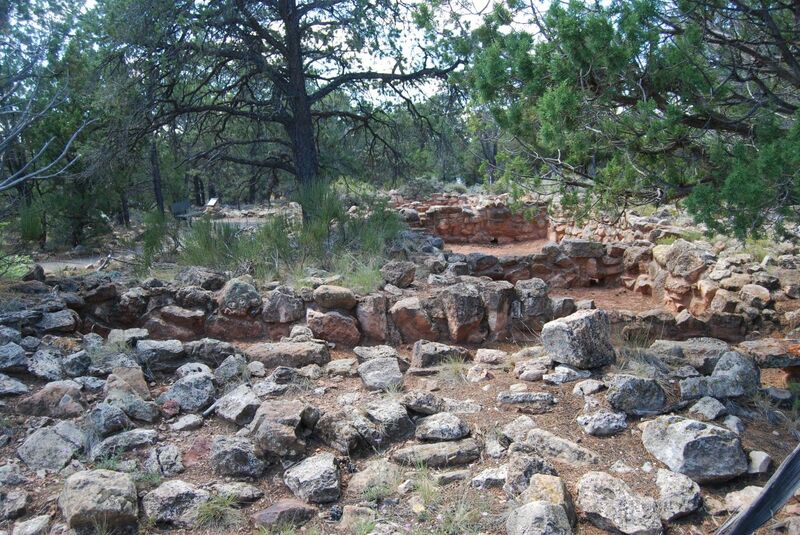 We started at Mather Point, walked around the edge of the rim, past Yavapai Point to the Bright Angel Trailhead, then caught the bus around to Trail View Point and walked to Marcopa Point and on to Powell Point and then Hopi Point before catching the bus down to Hermit's Rest. 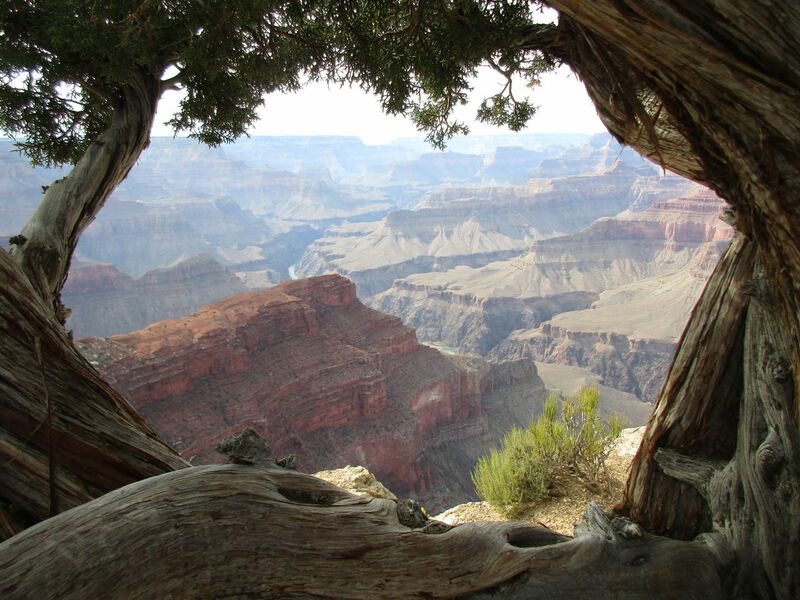 Incrediable view. 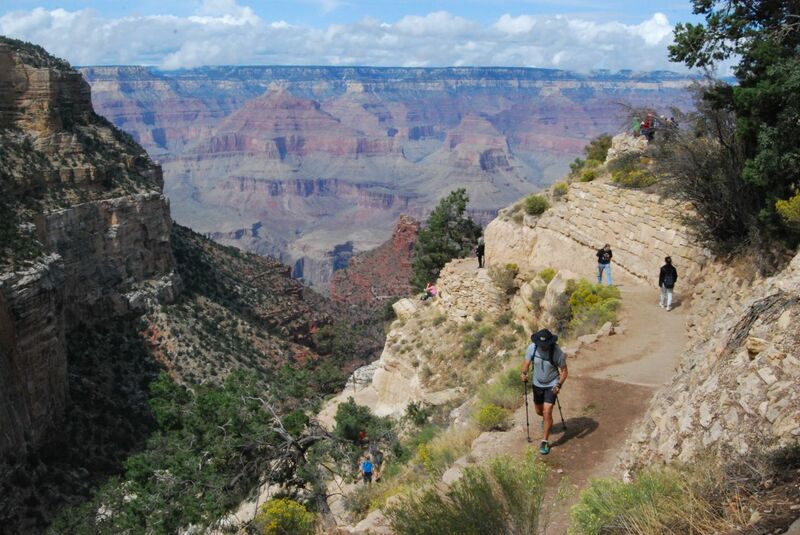 Catch the bus, but get in lots of walking too. 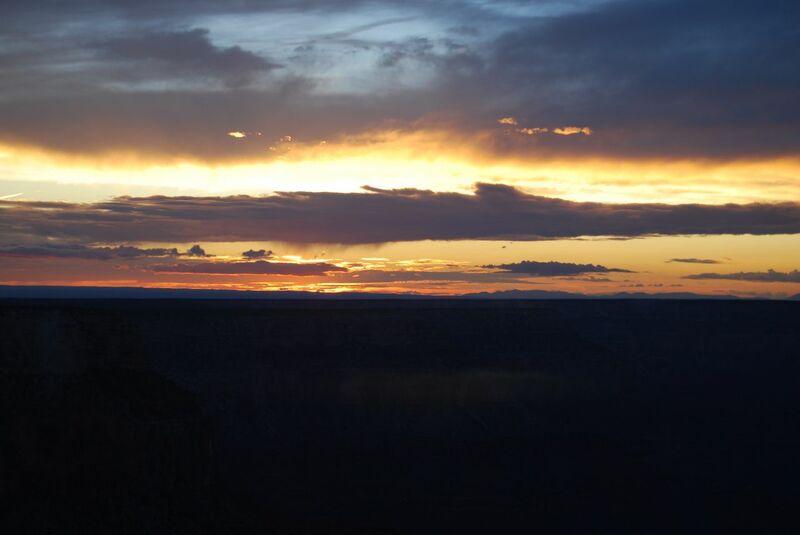 Last modified: October 14 2017 18:10:12.